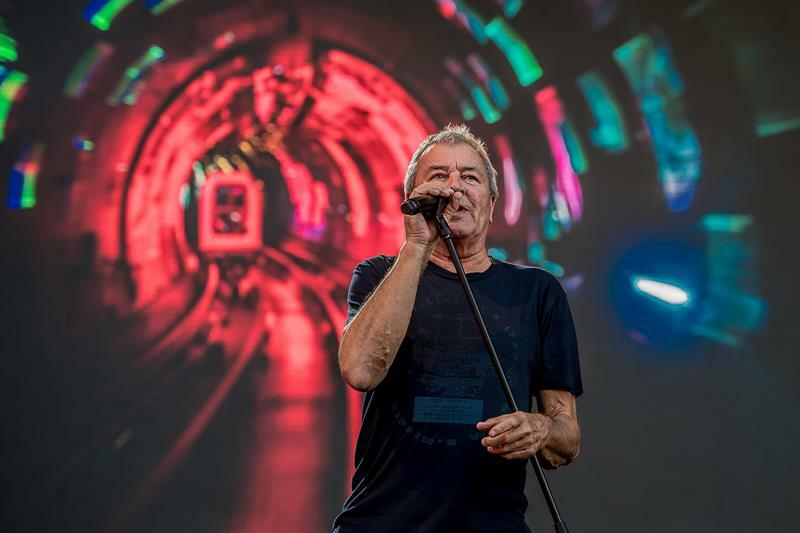 Three years after the release of ‘Now What? 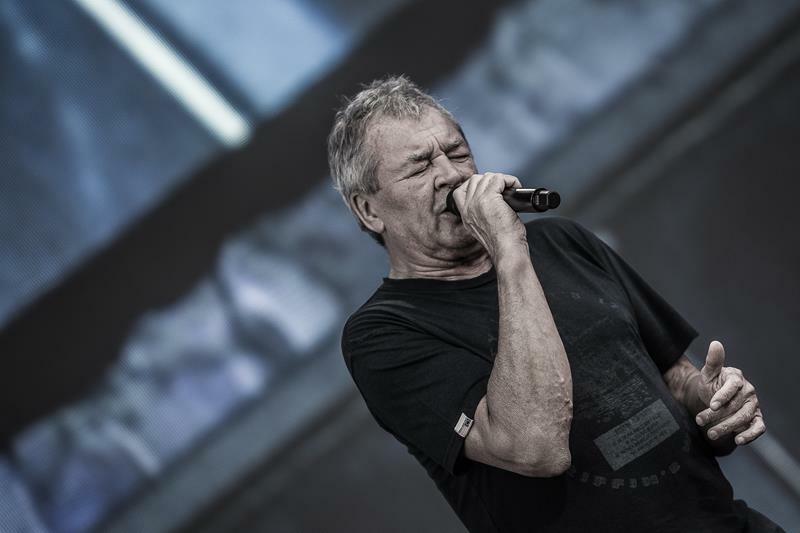 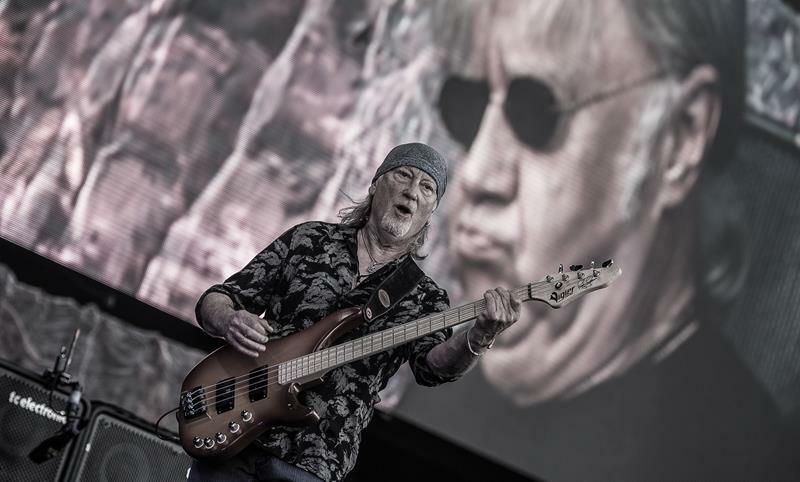 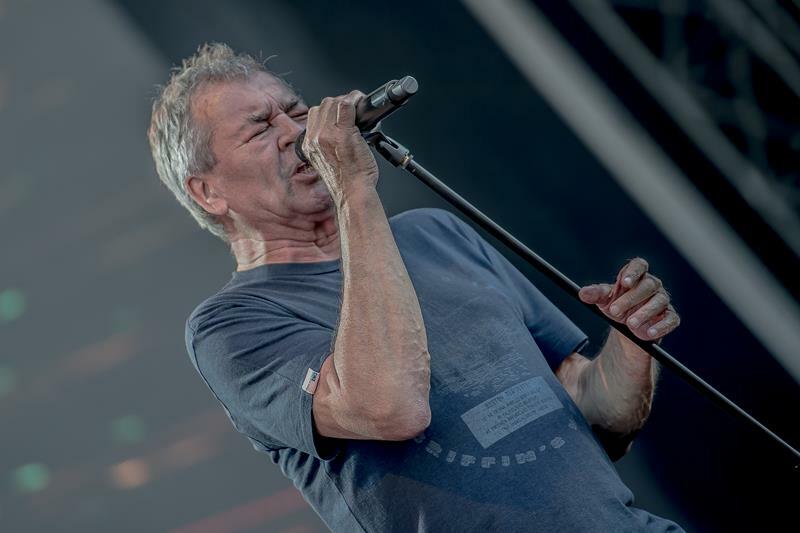 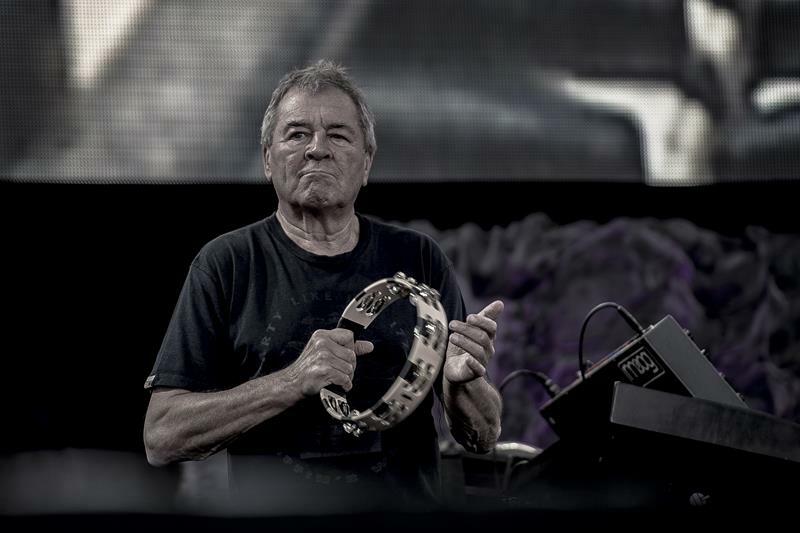 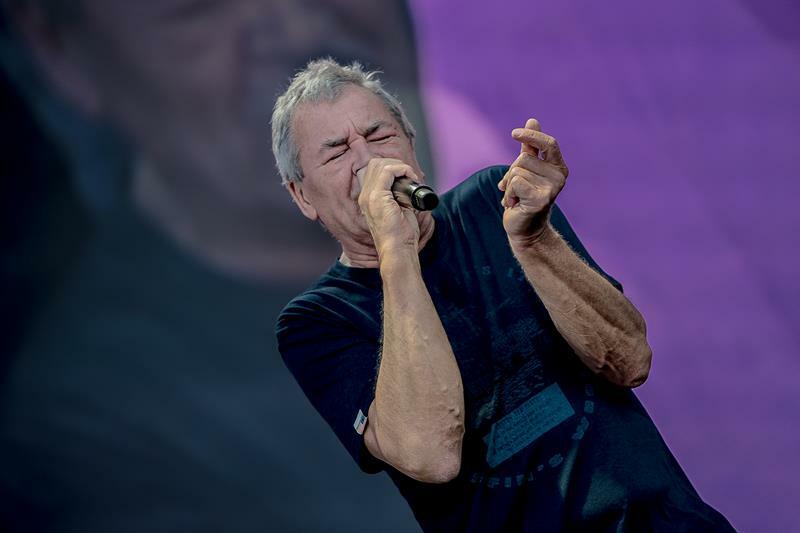 !’ - one of the most successful outputs of their history - the Hard Rockers of DEEP PURPLE were added to “Rock and Roll Hall of Fame” in 2016 and fixed their legendary status. 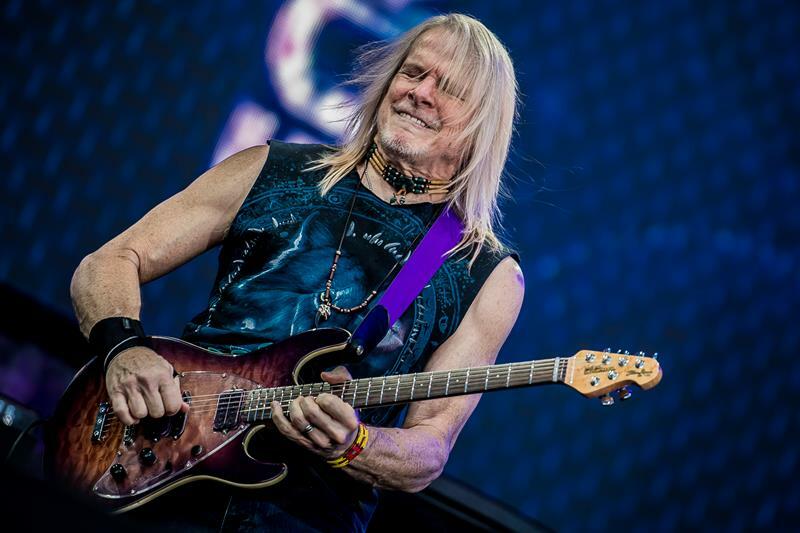 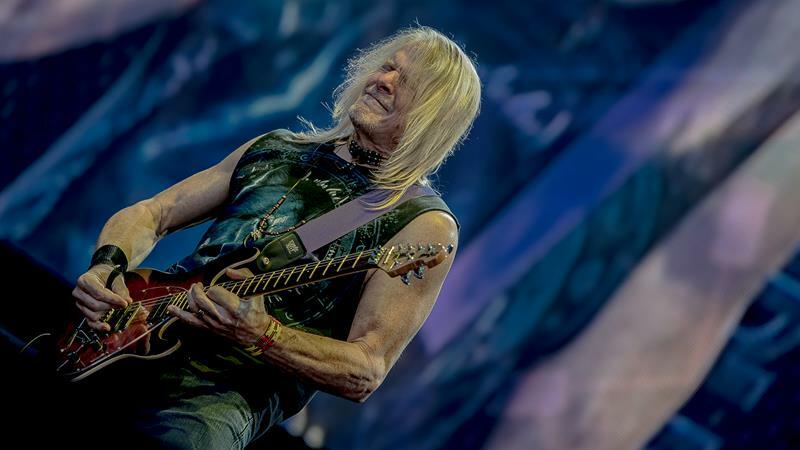 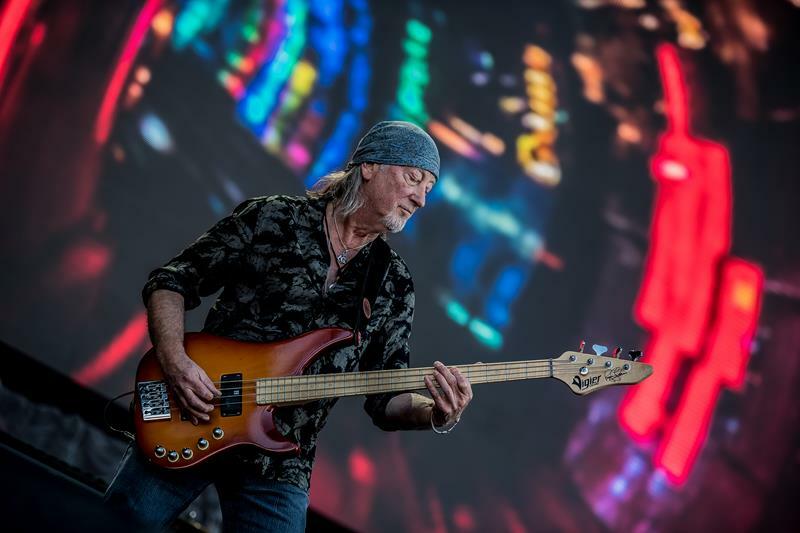 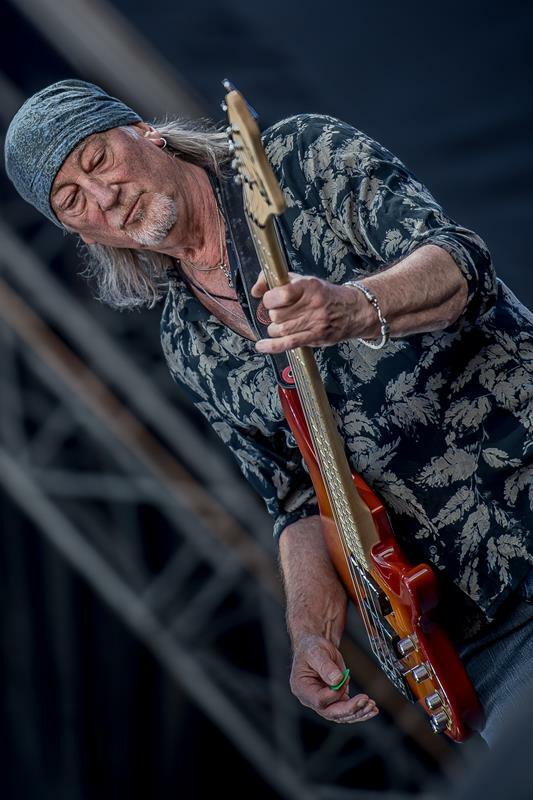 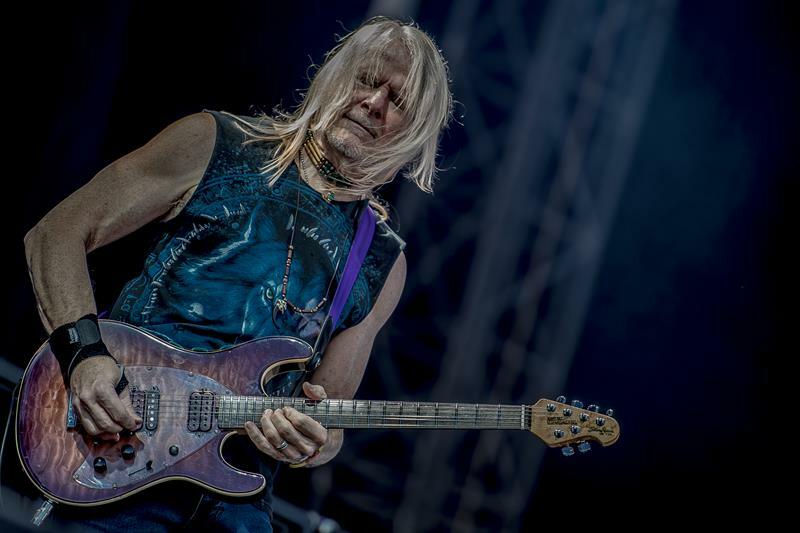 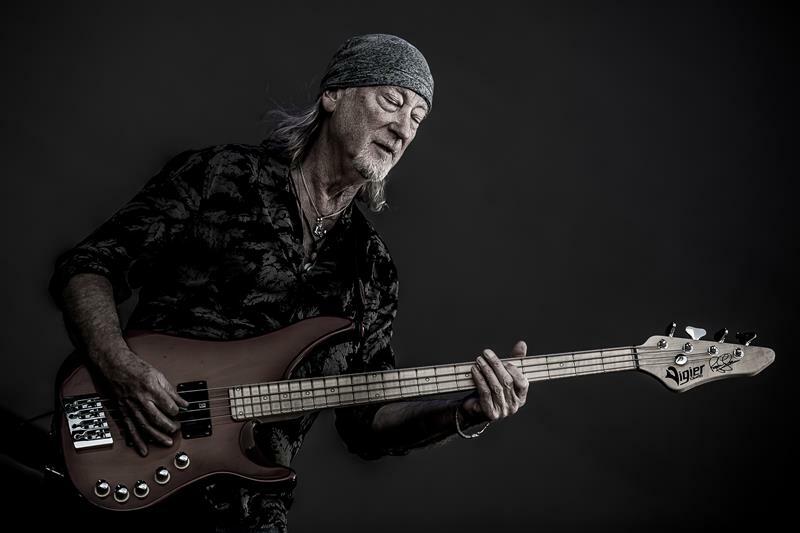 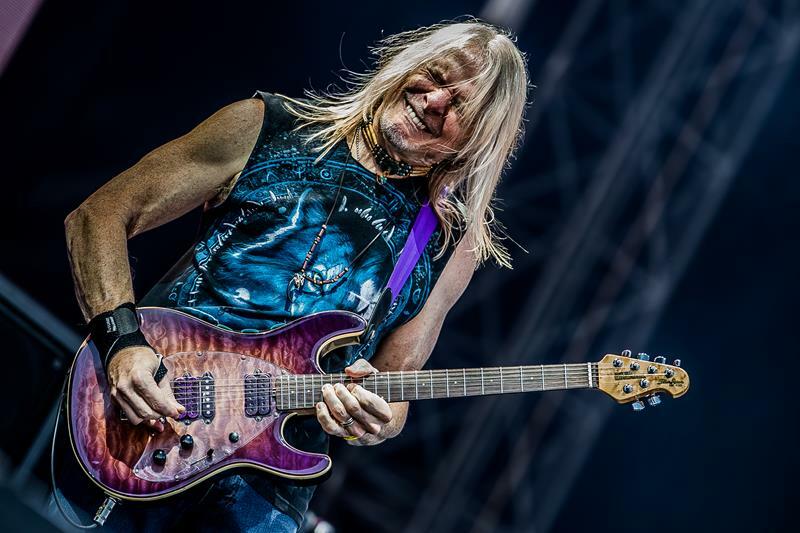 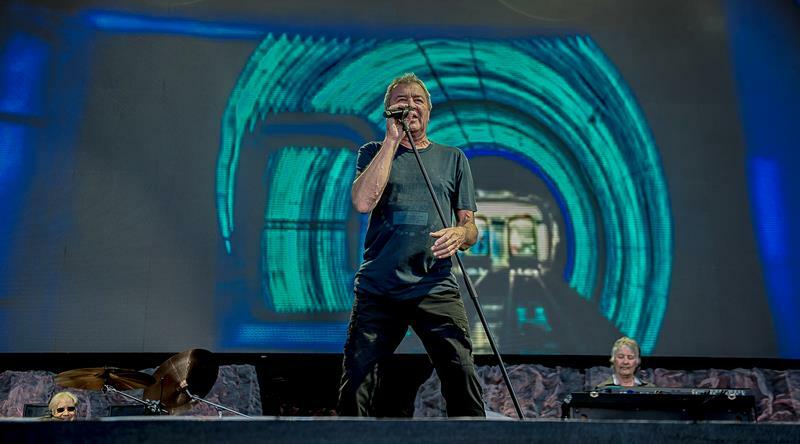 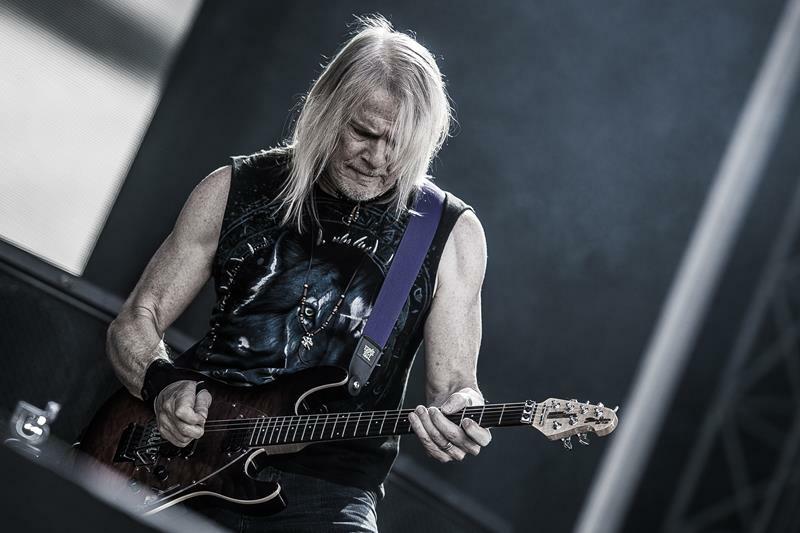 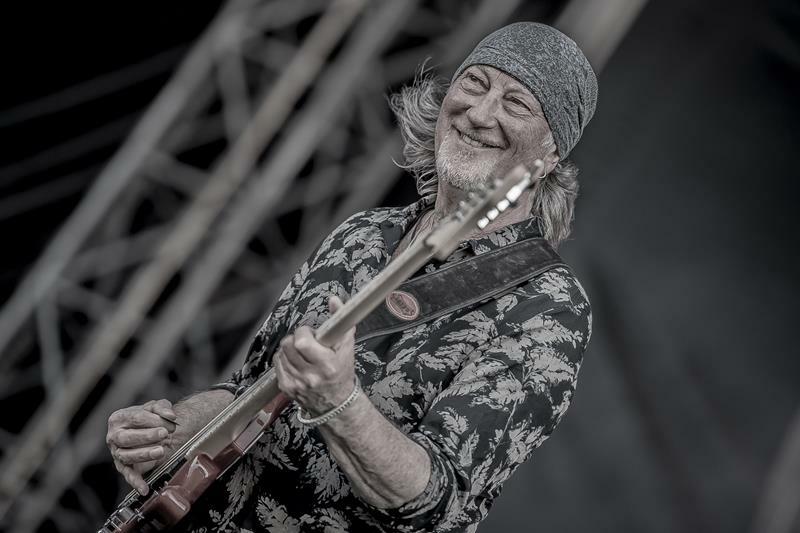 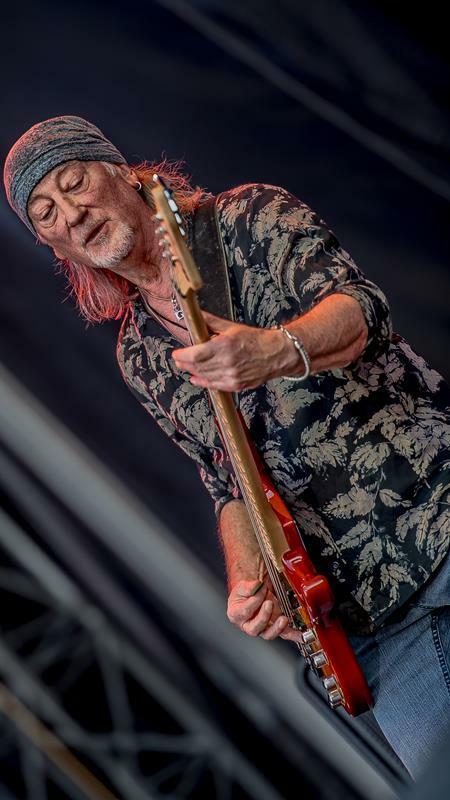 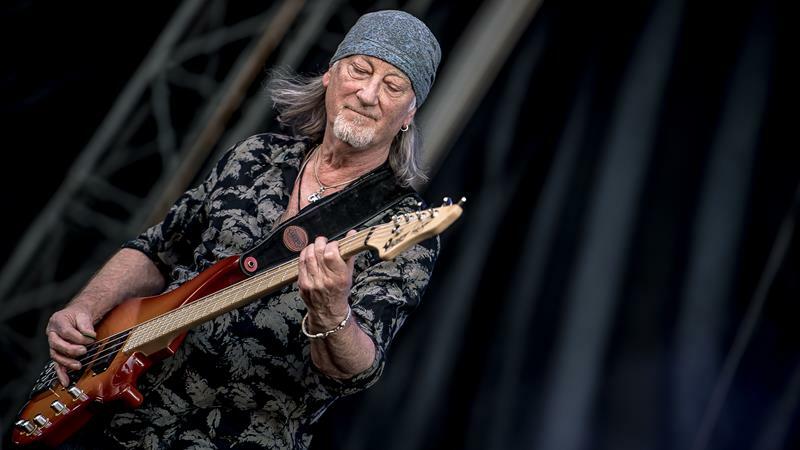 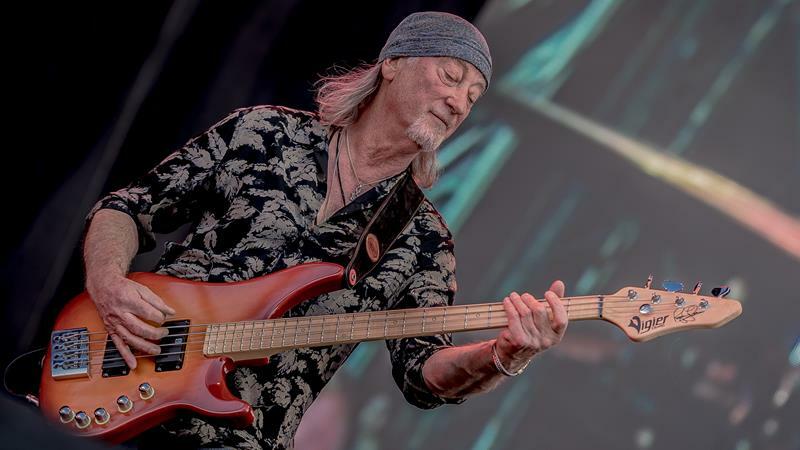 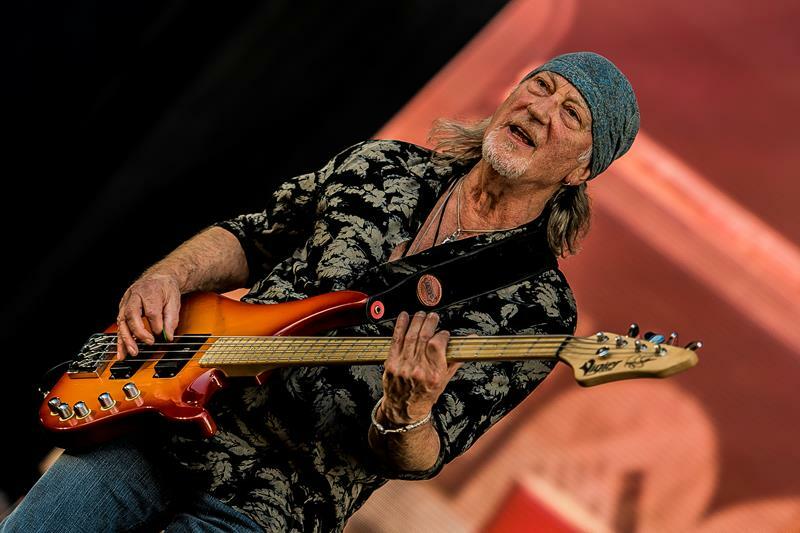 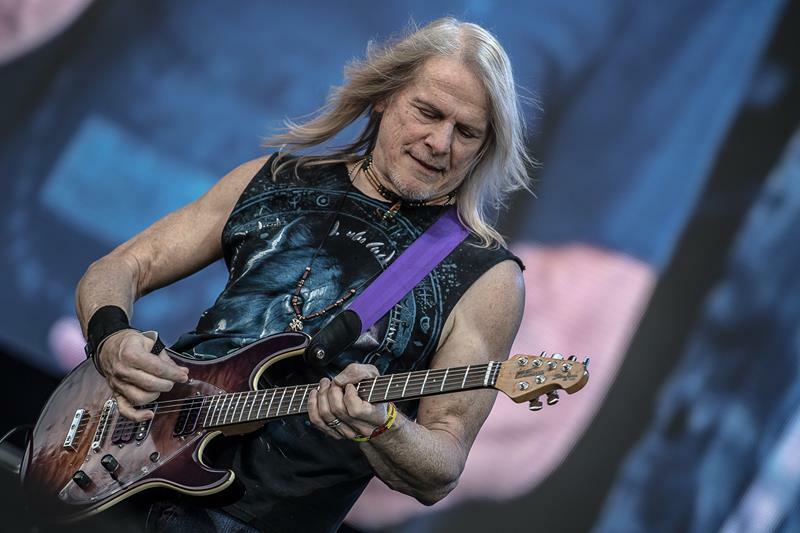 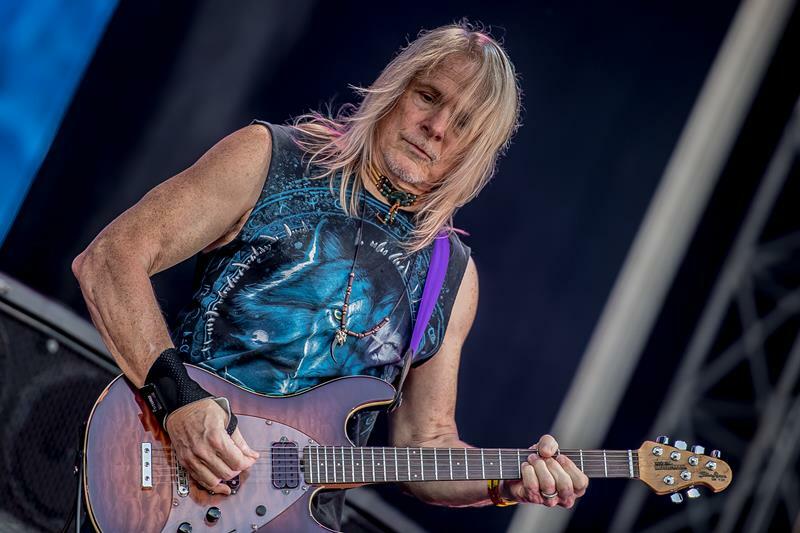 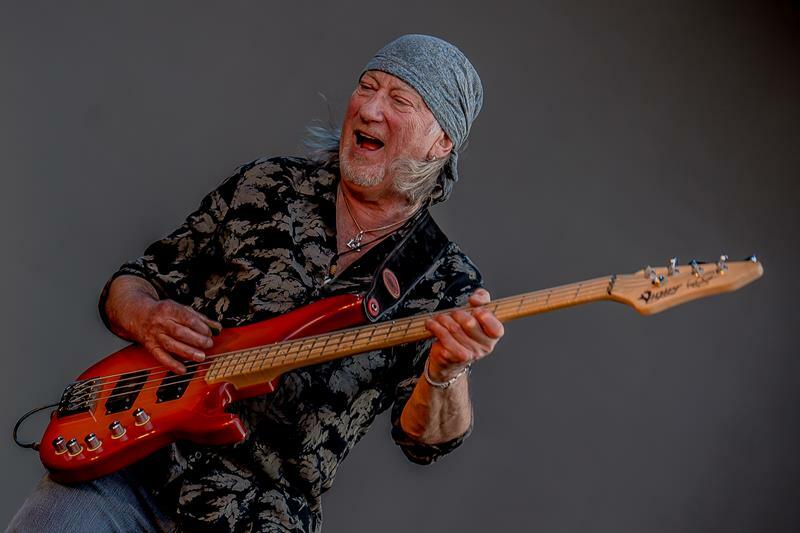 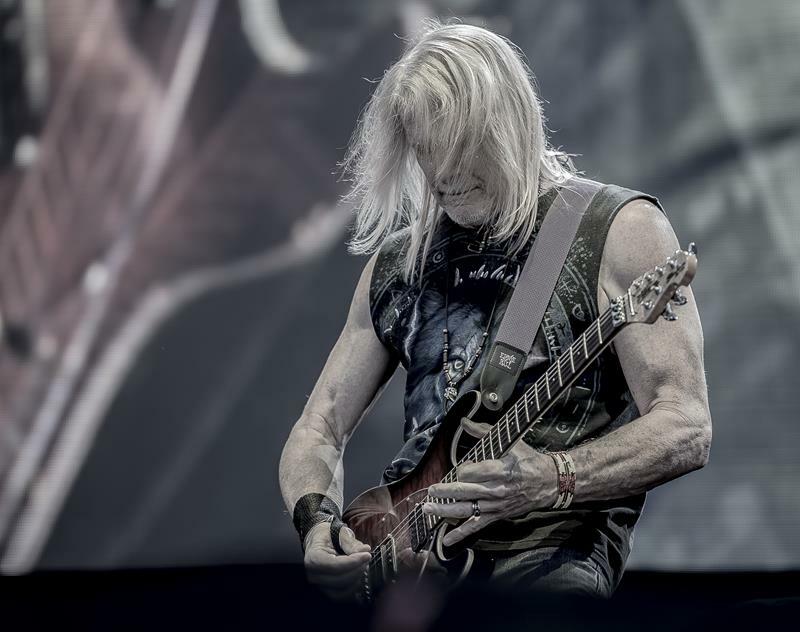 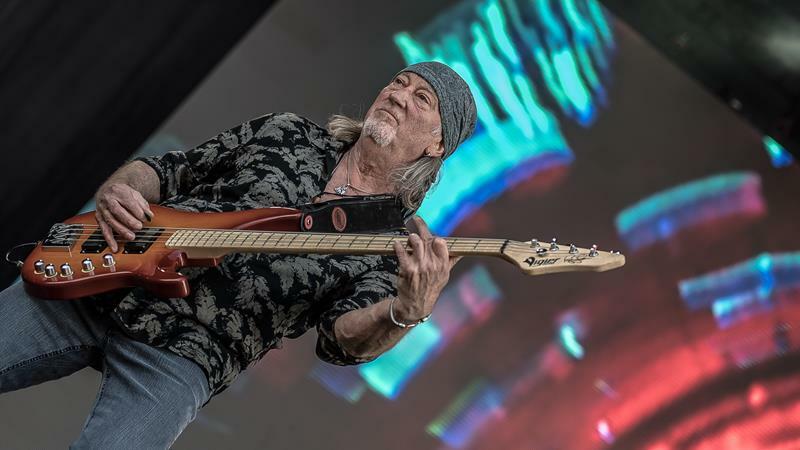 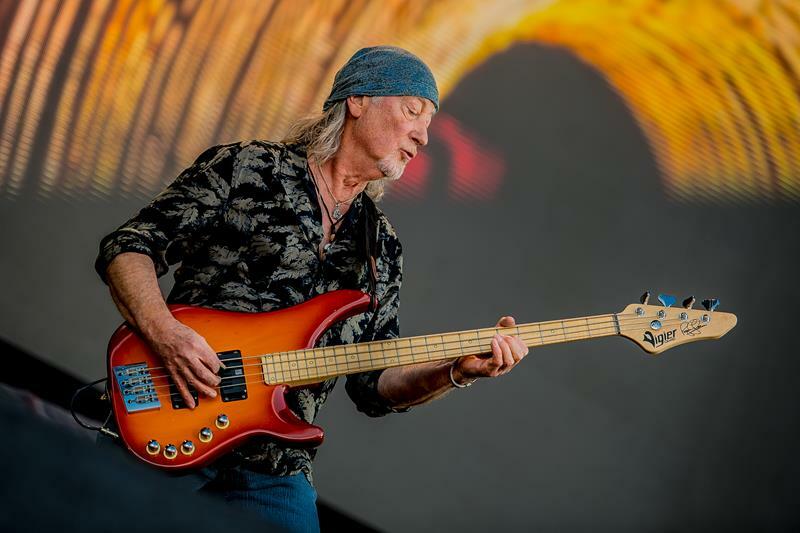 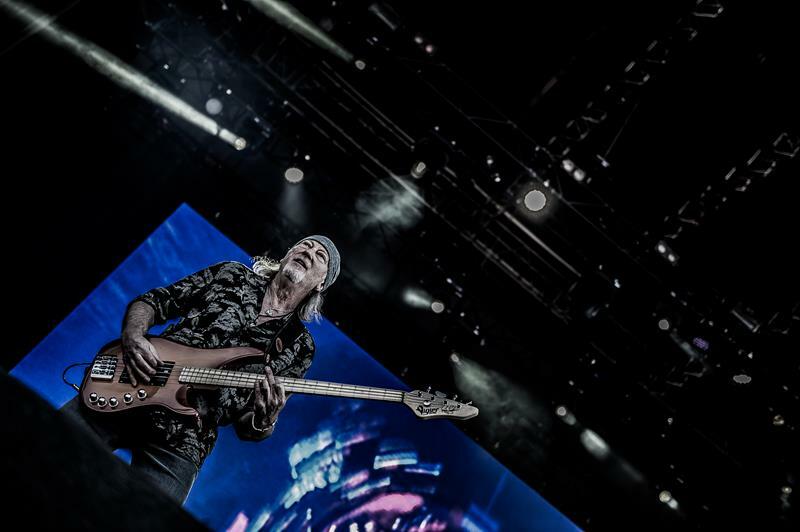 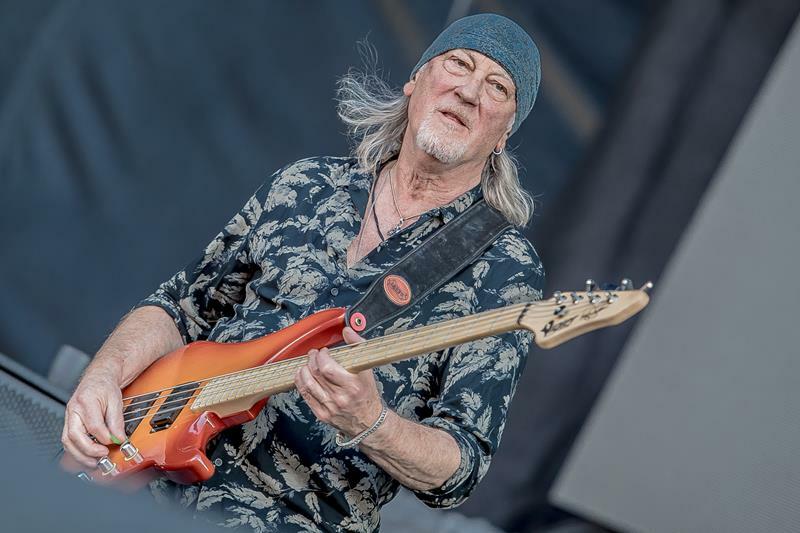 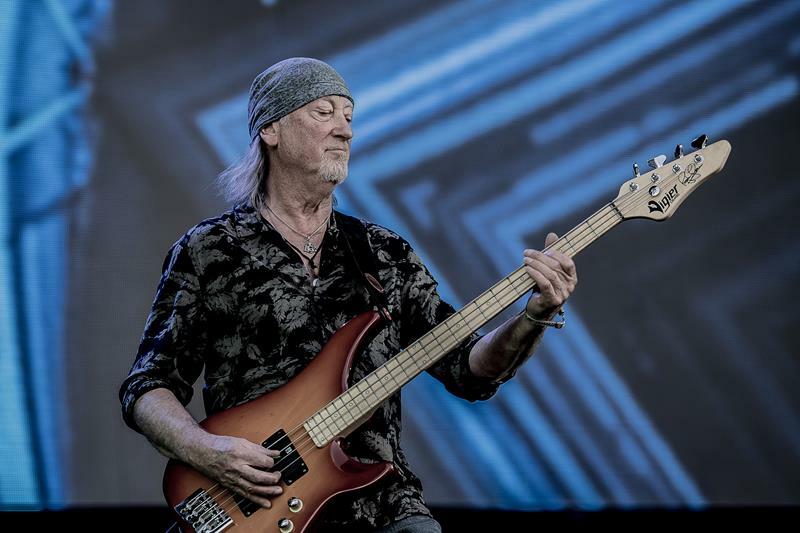 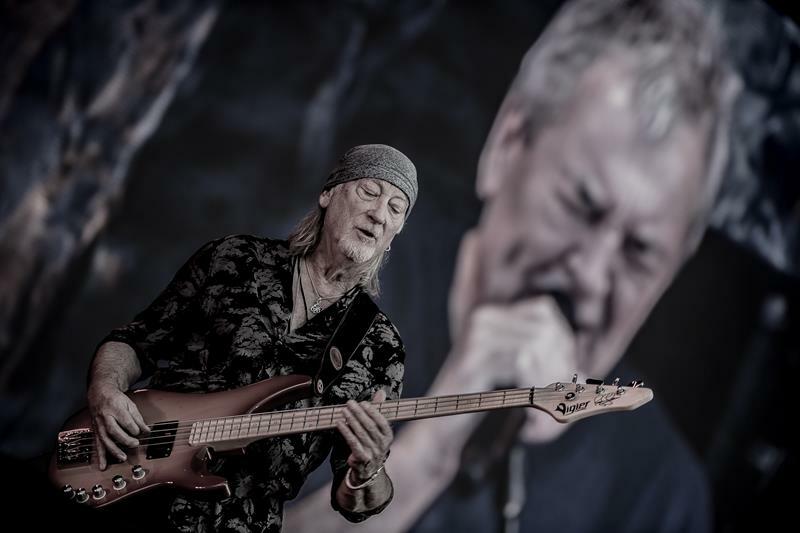 In spring 2017, the “Mark VIII” line-up with Ian Gillan (vocals), Roger Glover (bass), Ian Paice (drums), Steve Morse (guitar) and Don Airey (keyboards) came out with a new album, which is called ‘Infinite’ and the band promoted the new songs with a very special video clip to ‘The Surprising’. 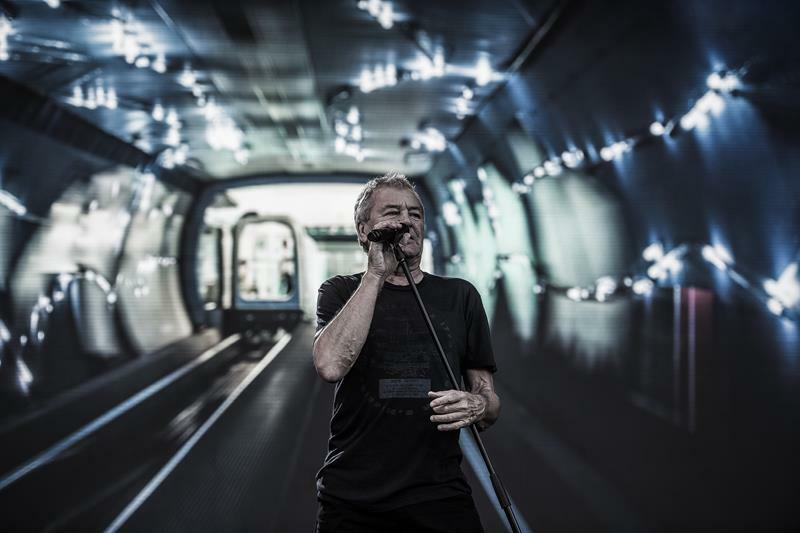 The accompanying tour started with some glorious visits in good old Germany. 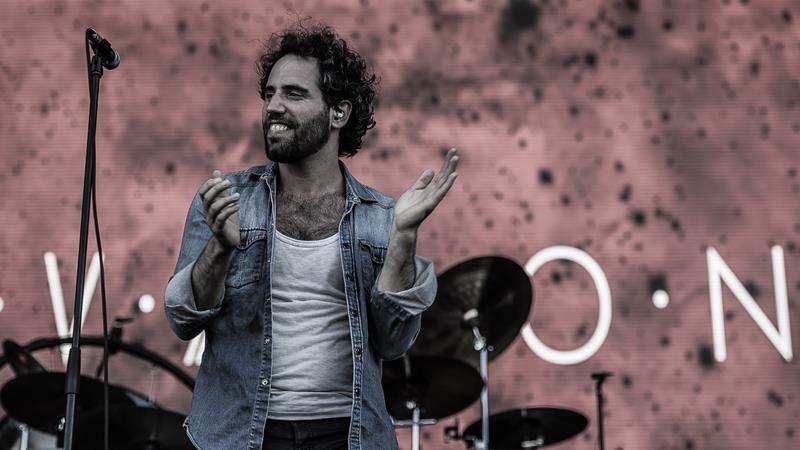 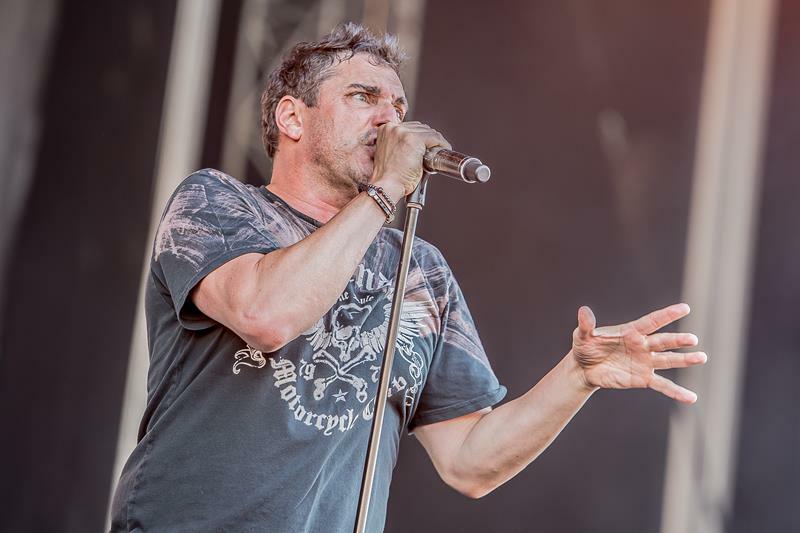 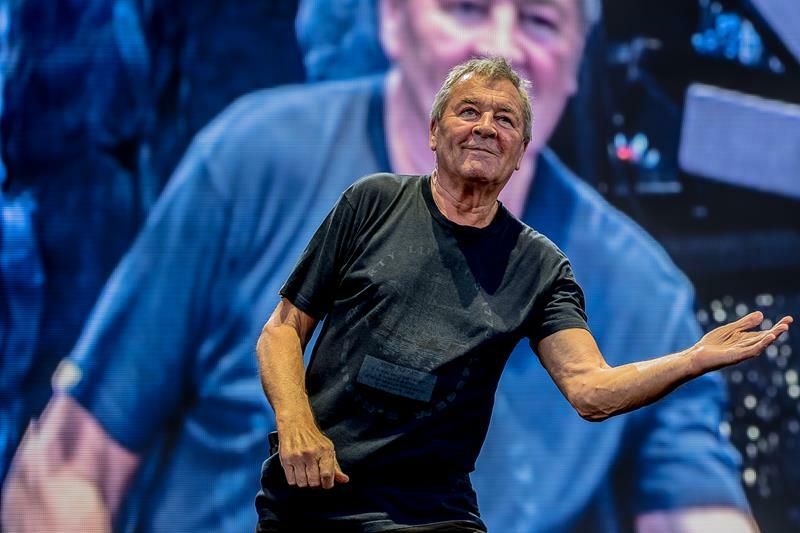 In fact “The Long Goodbye Tour” gradually comes to an end with an extraordinary gig in Mönchengladbach, which is concurrently the only show in North Rhine Westphalia. 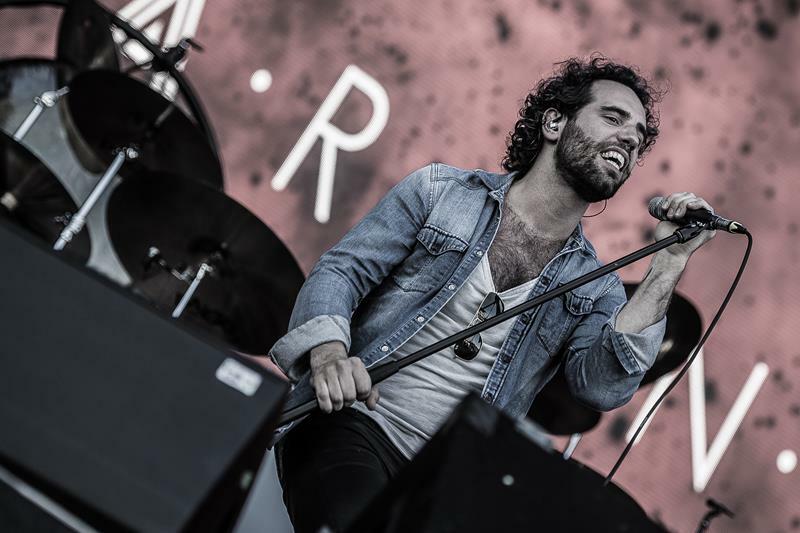 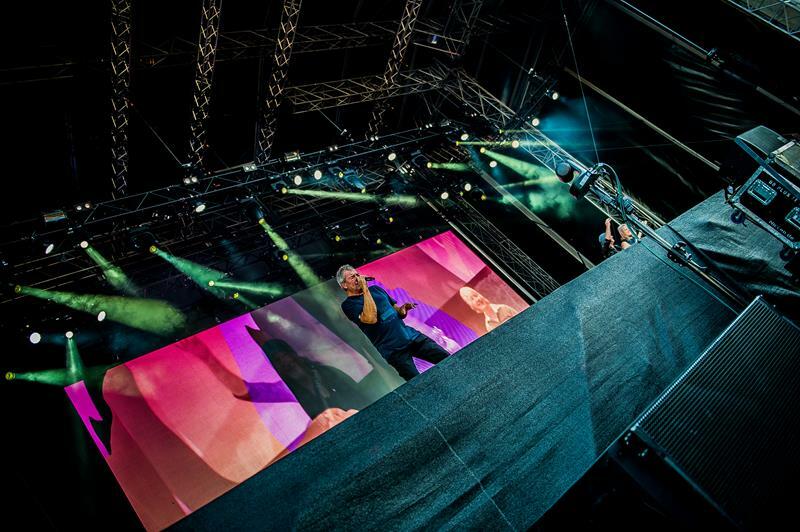 The concert was enjoyed by an average attendance with some thousand visitors. 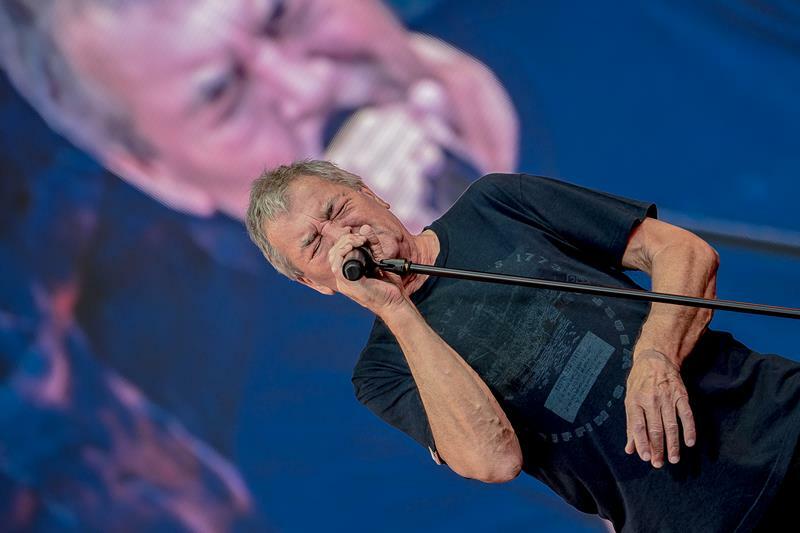 Unfortunately the concert was not sold-out and the average age of the guests should be round 50 - 55 years. 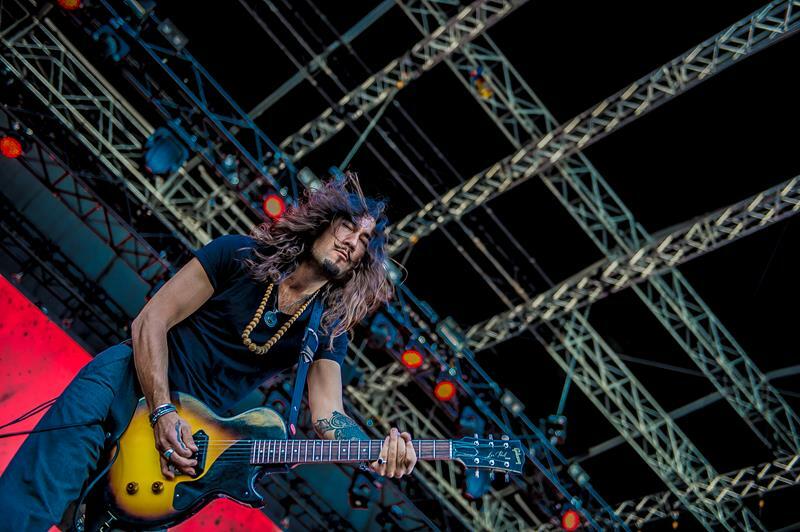 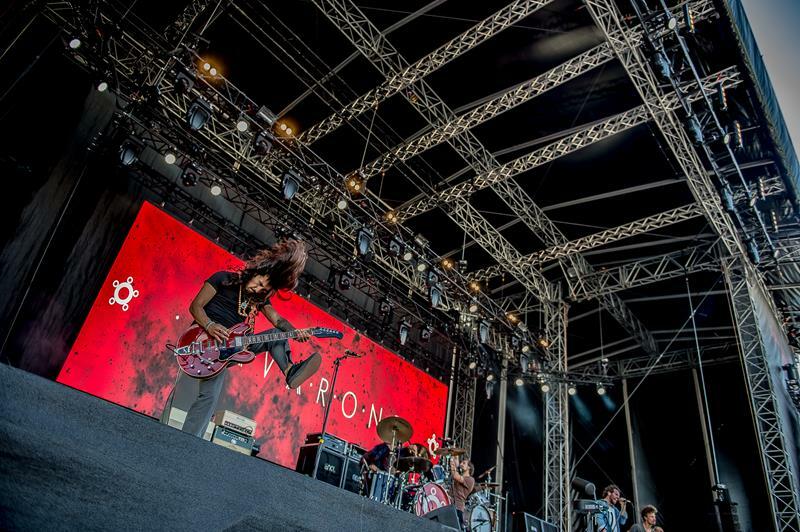 The heroes of Rock made a very good show with a fat and dynamic sound. 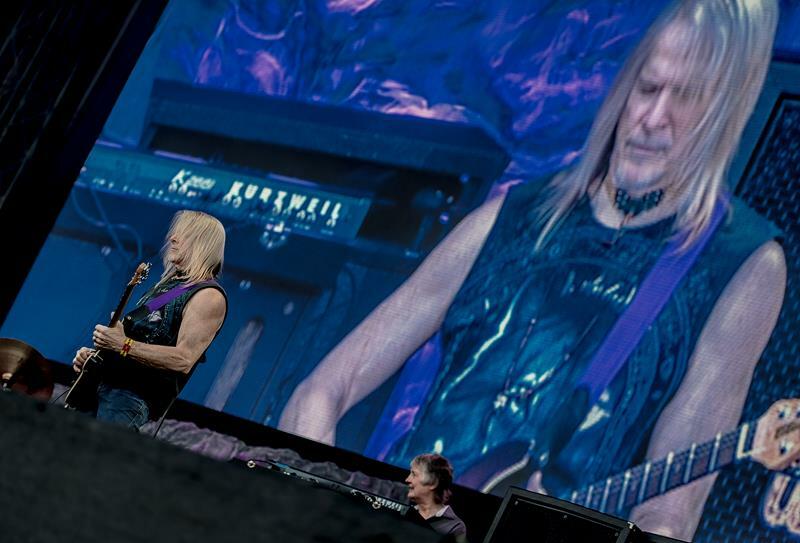 The fans were very impressed but applauded not spontaneously but only at the end of the songs. 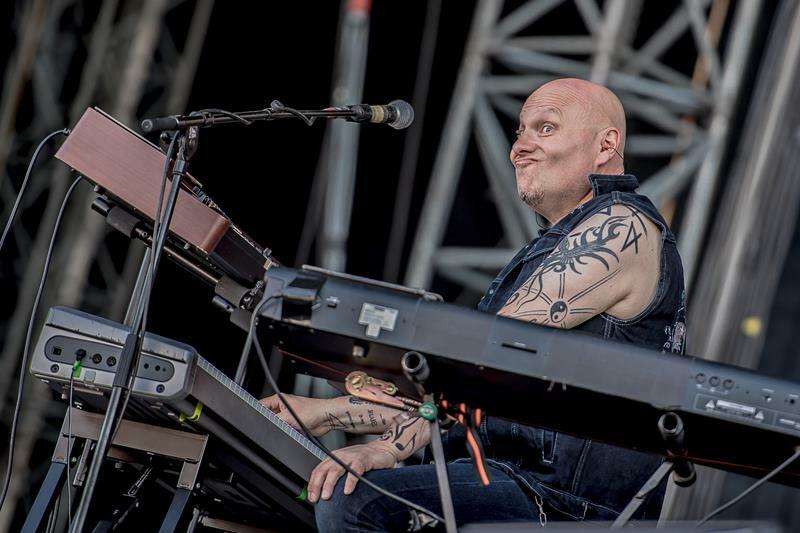 So it was a quite positive but not an outstanding mood. 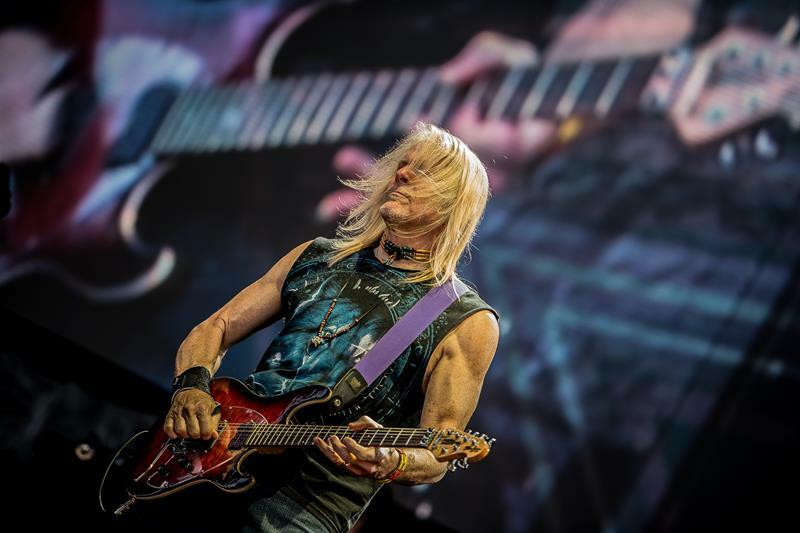 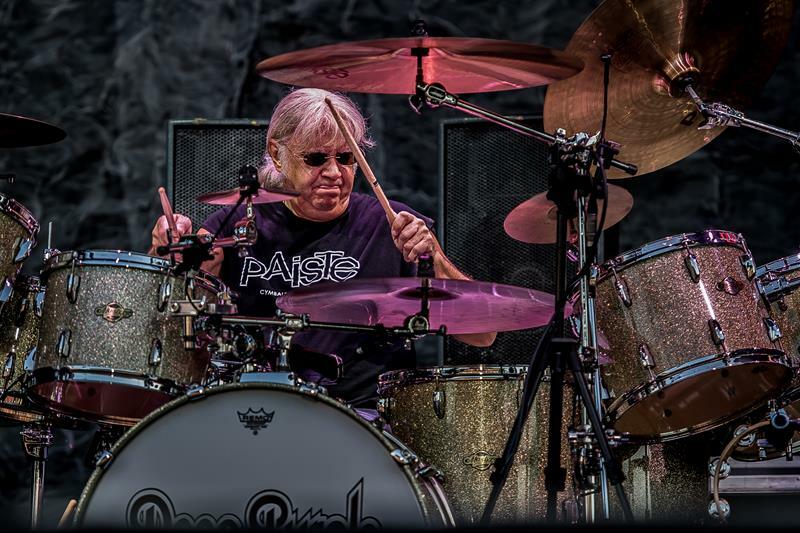 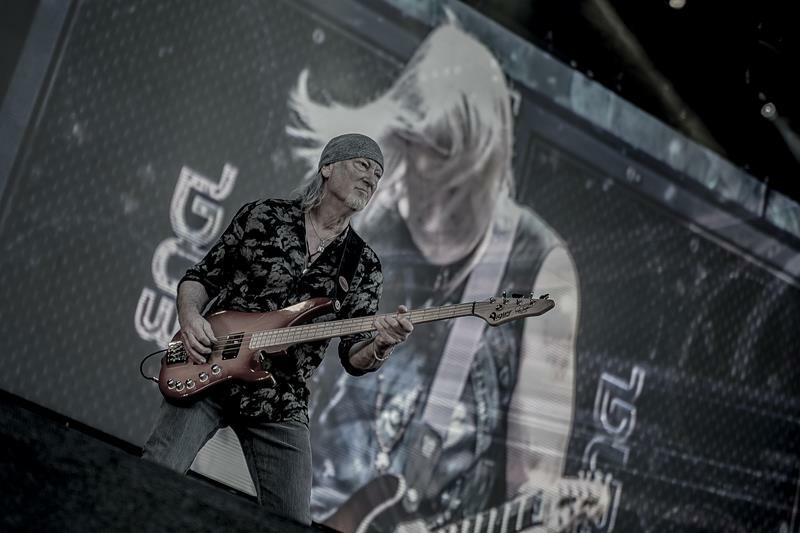 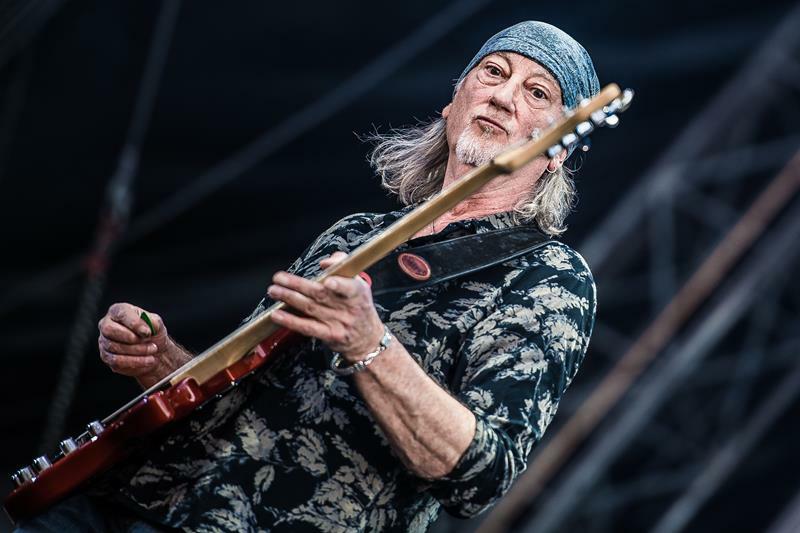 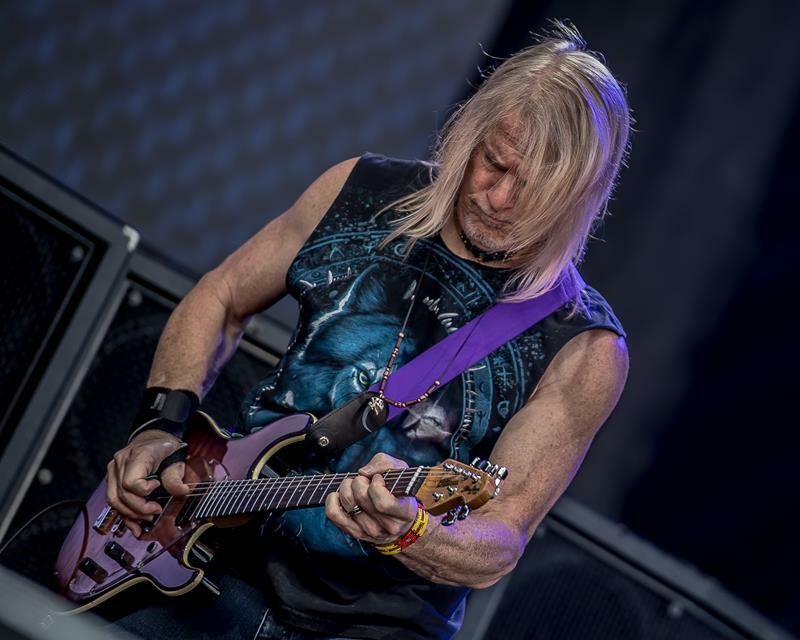 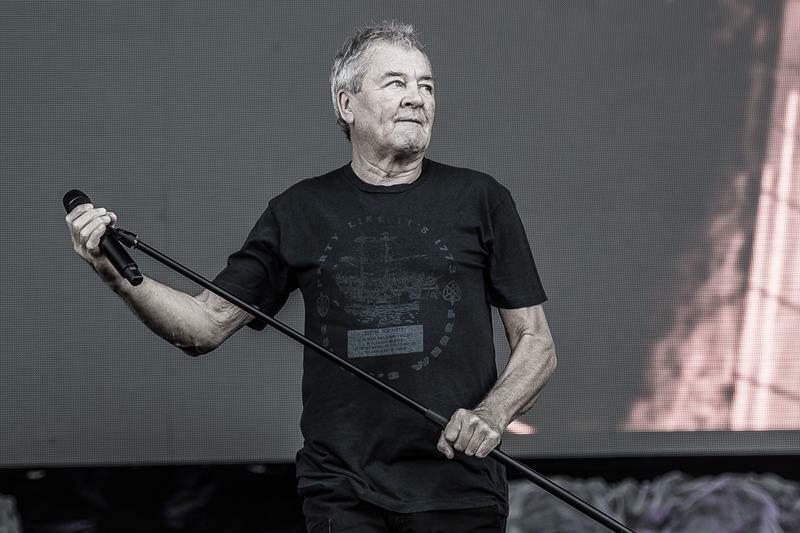 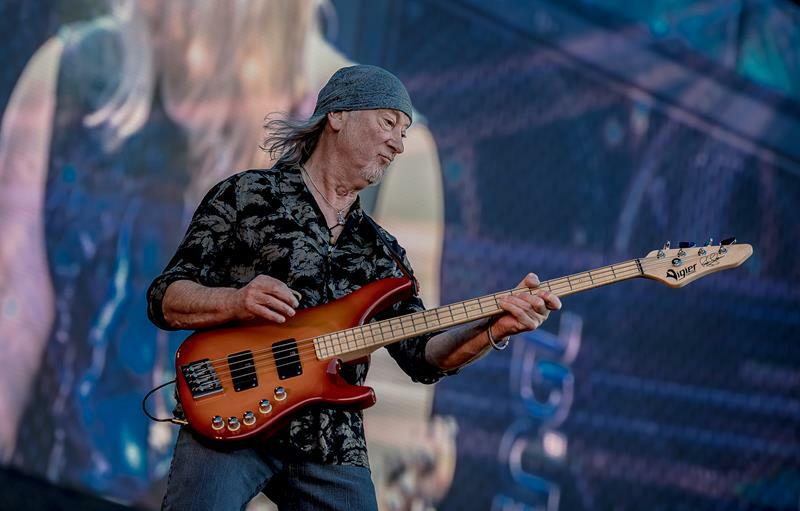 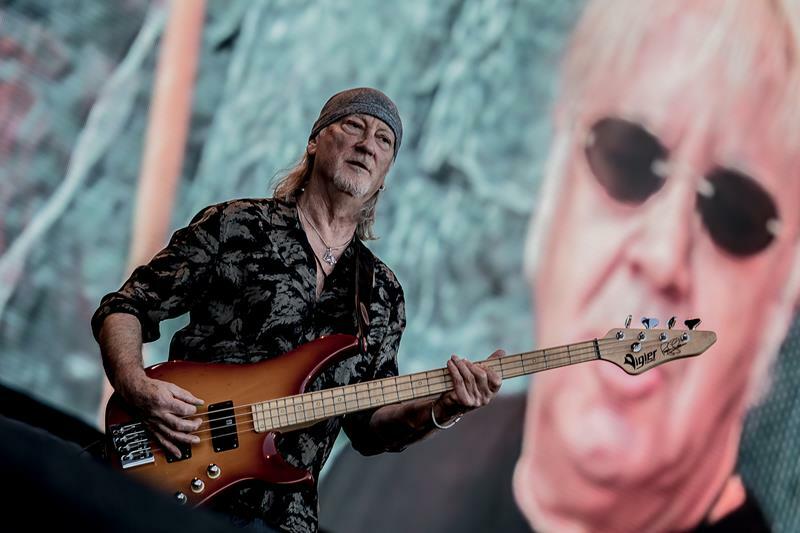 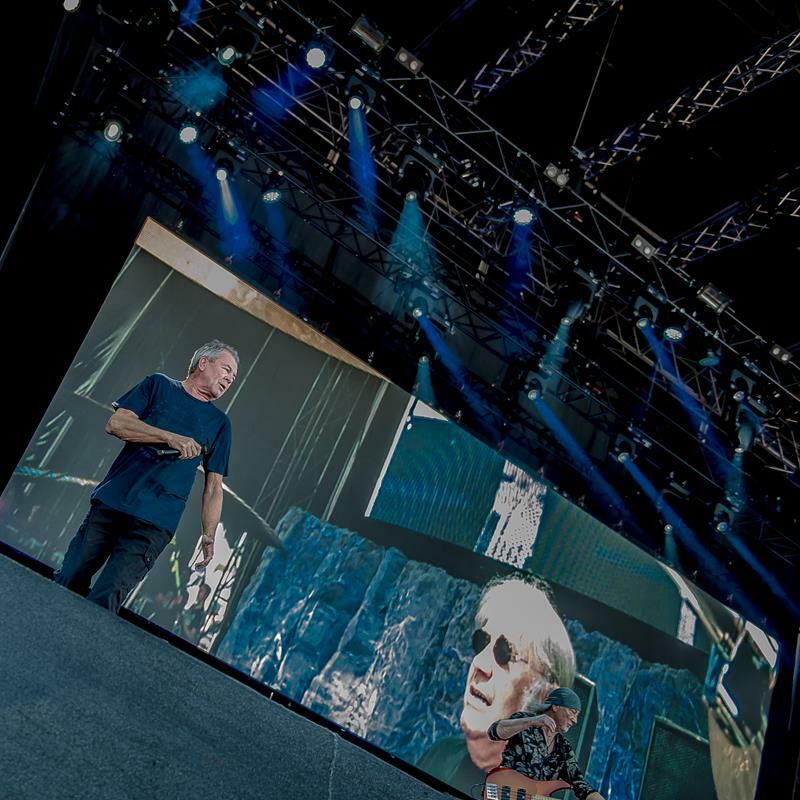 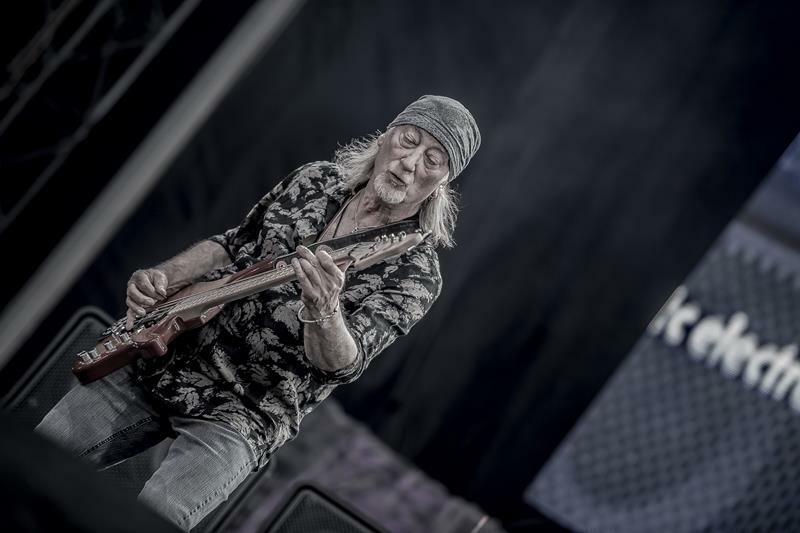 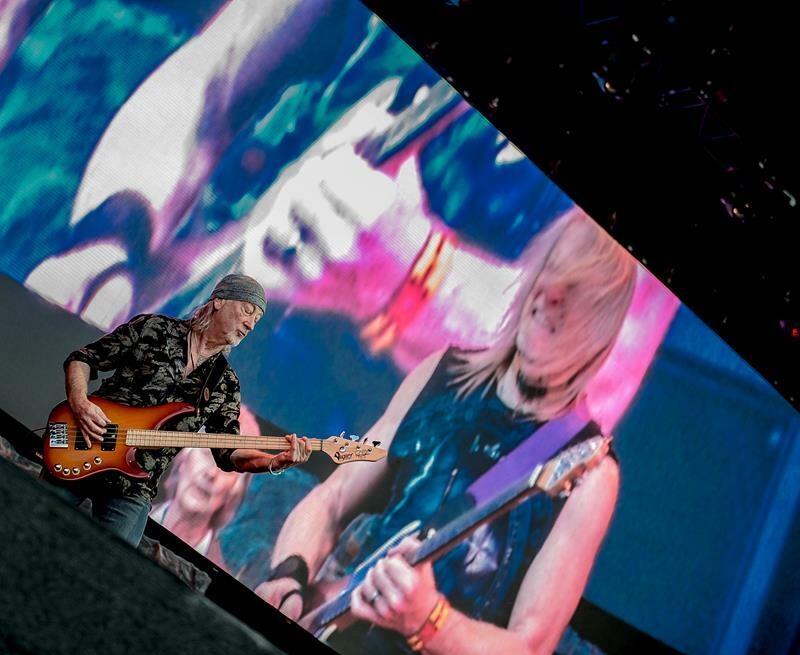 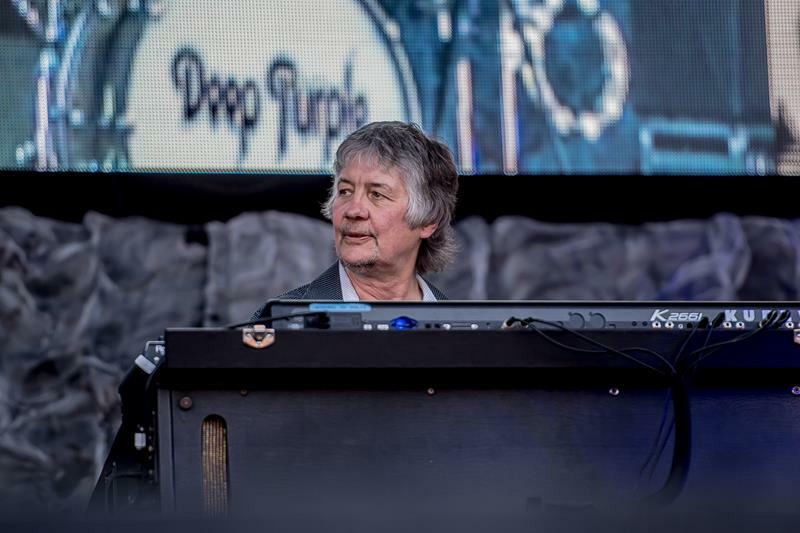 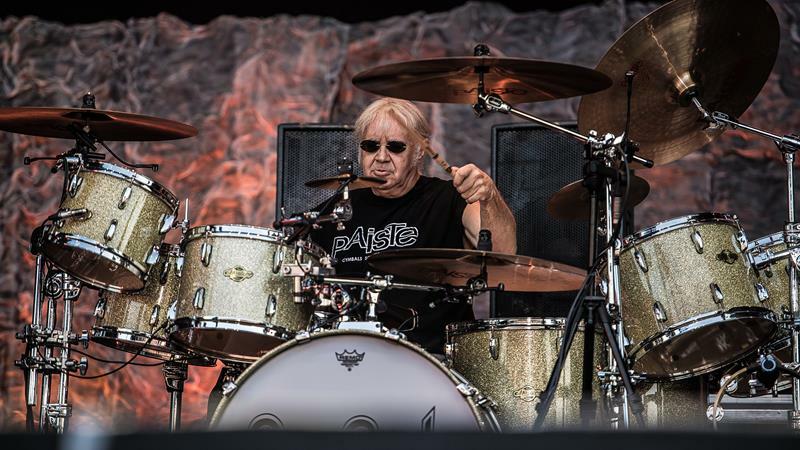 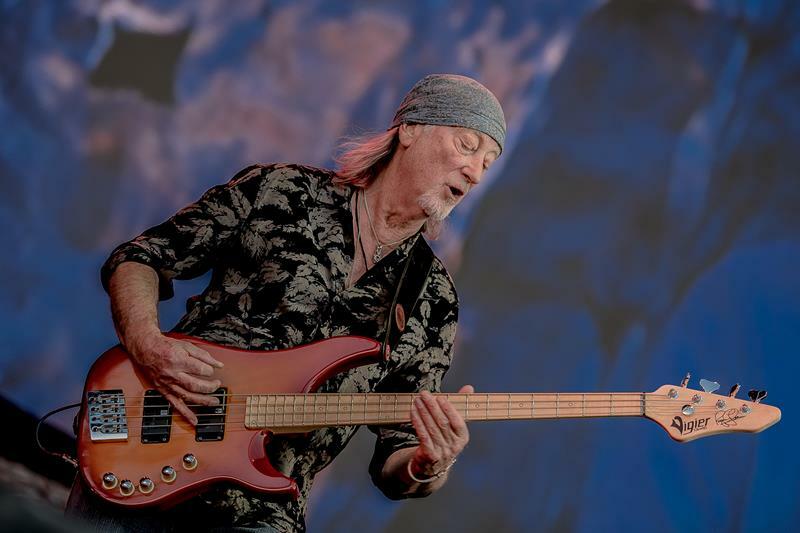 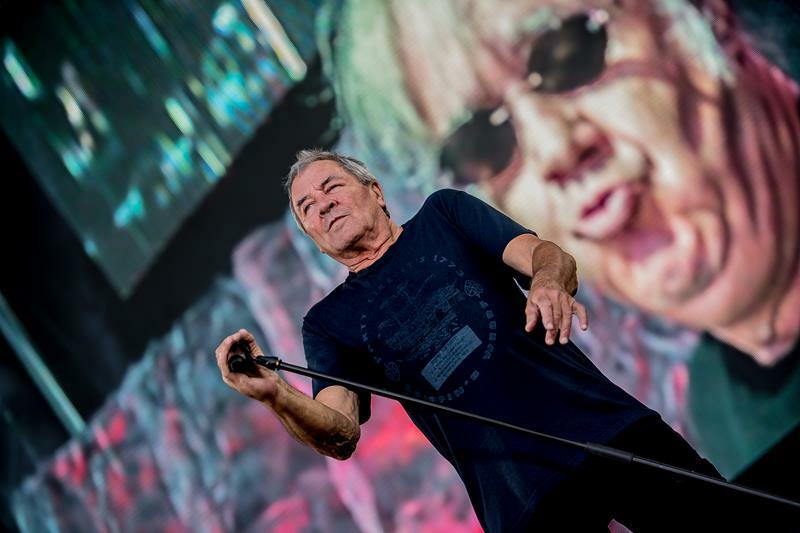 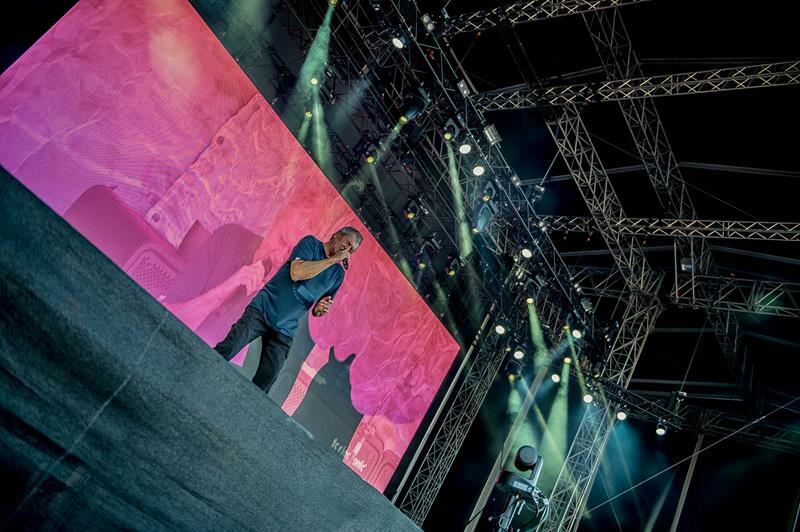 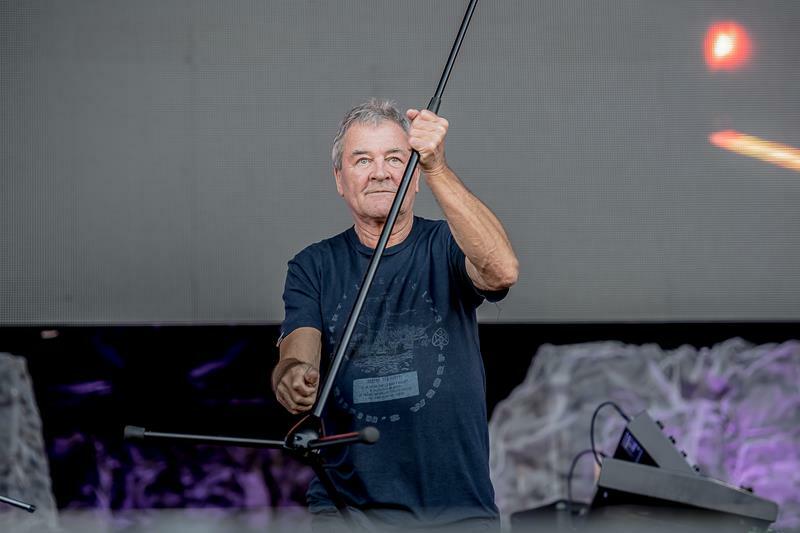 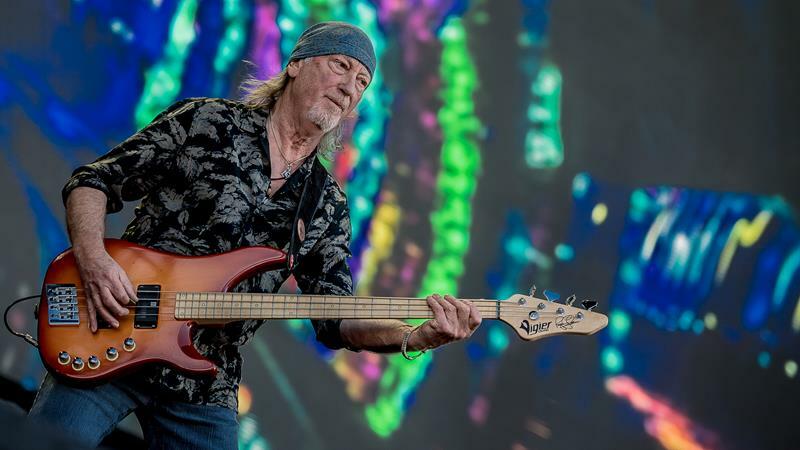 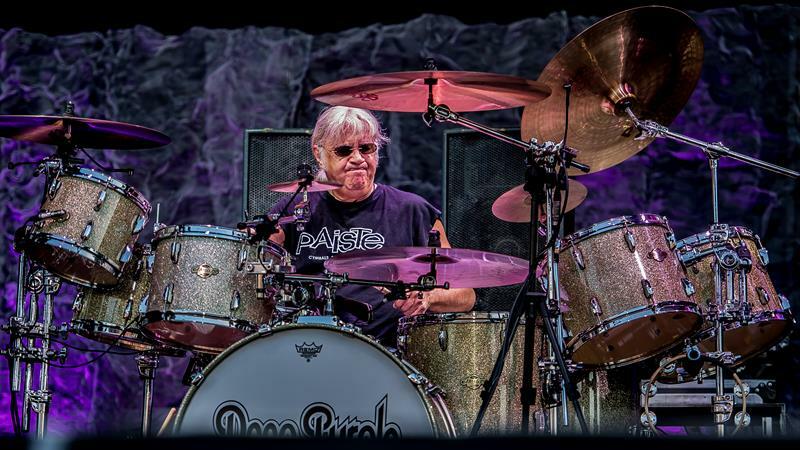 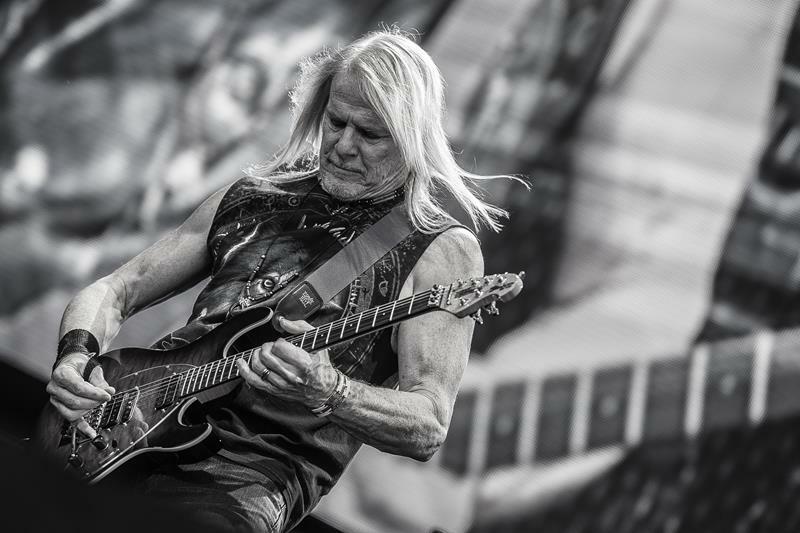 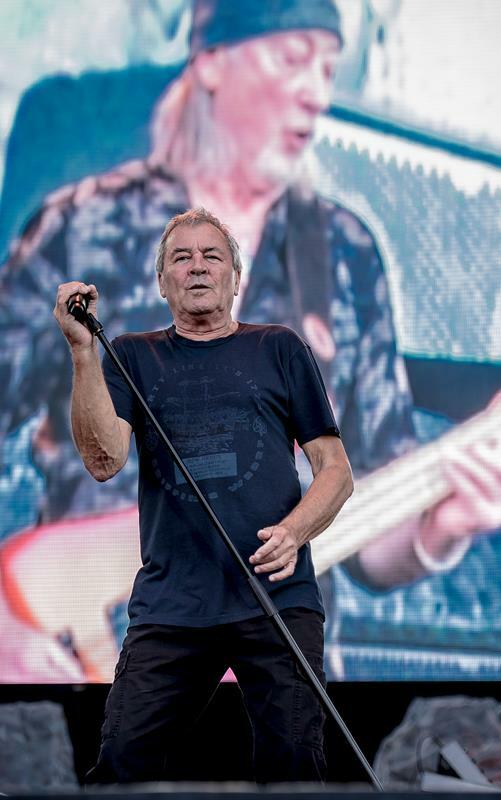 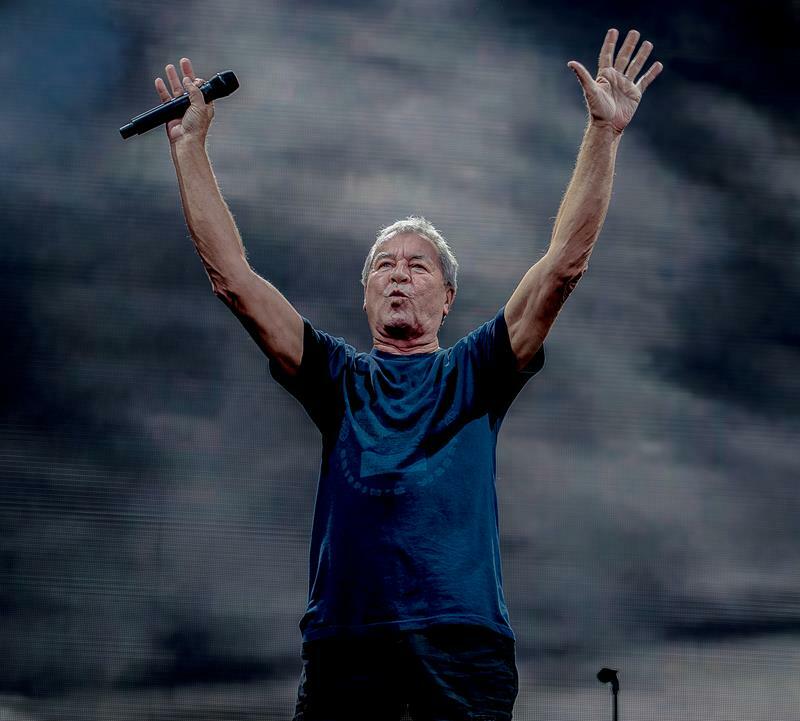 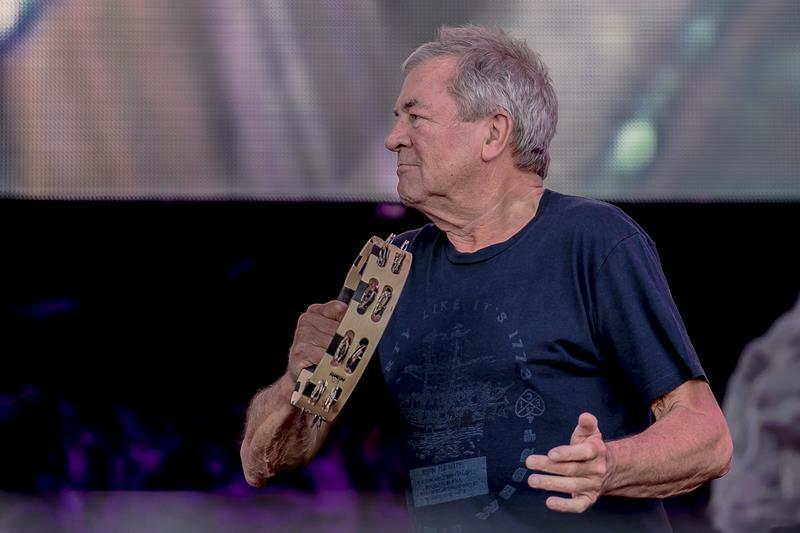 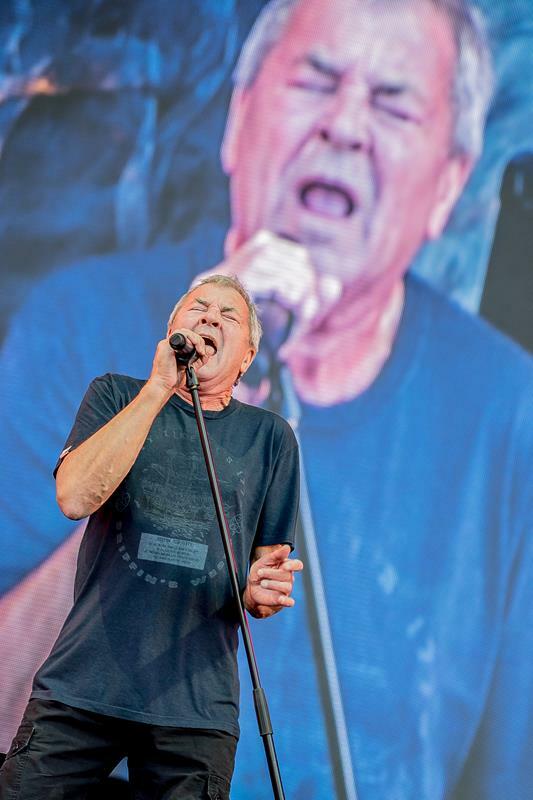 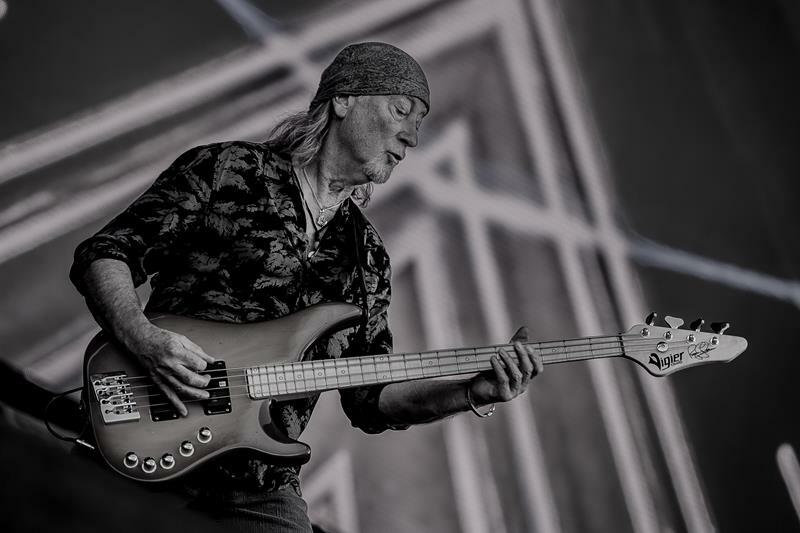 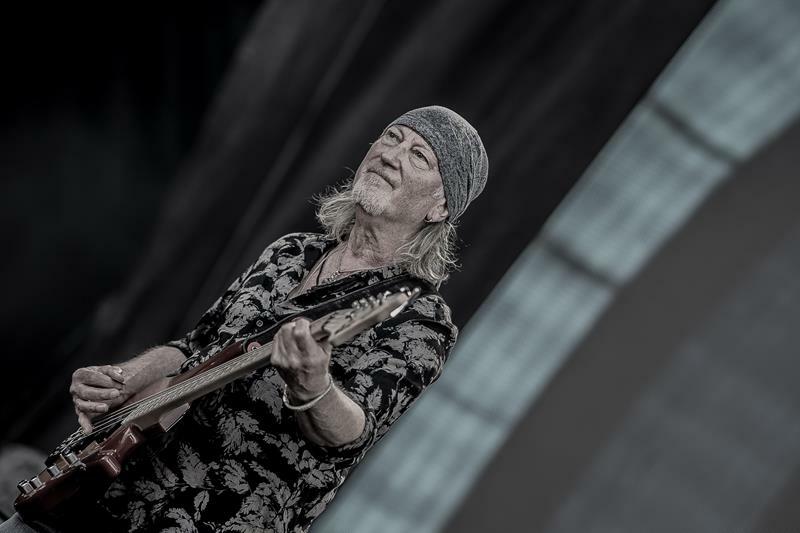 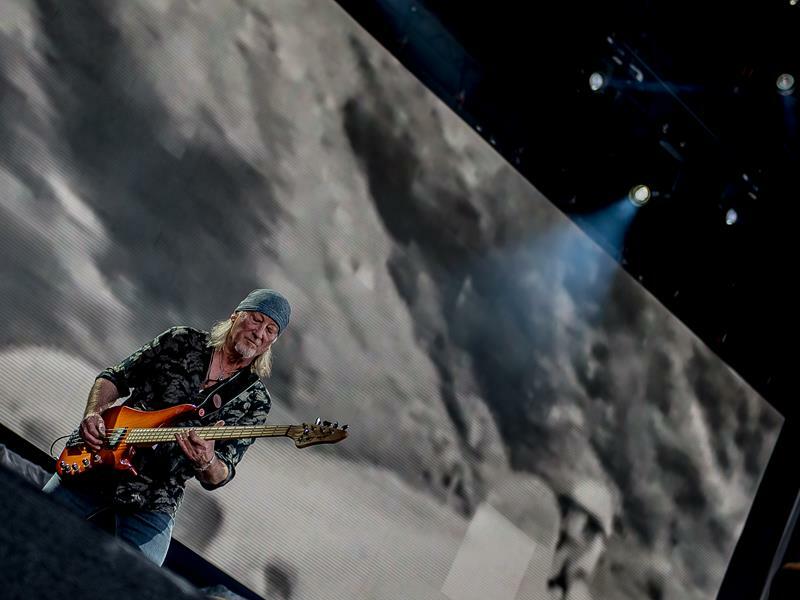 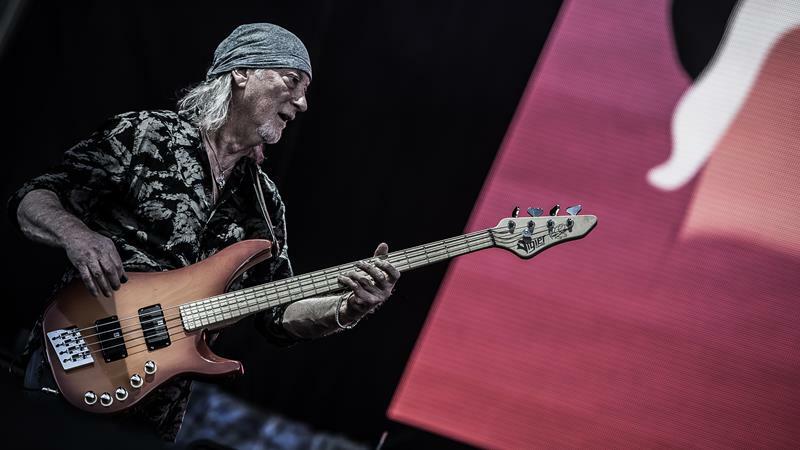 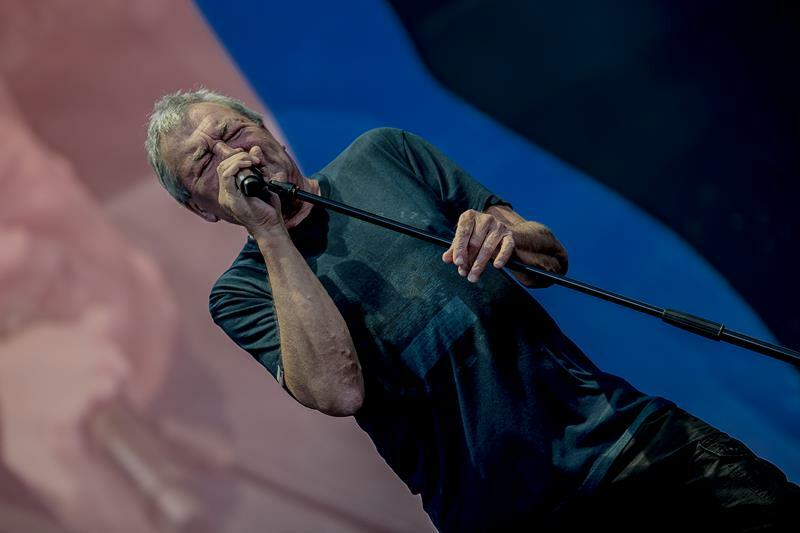 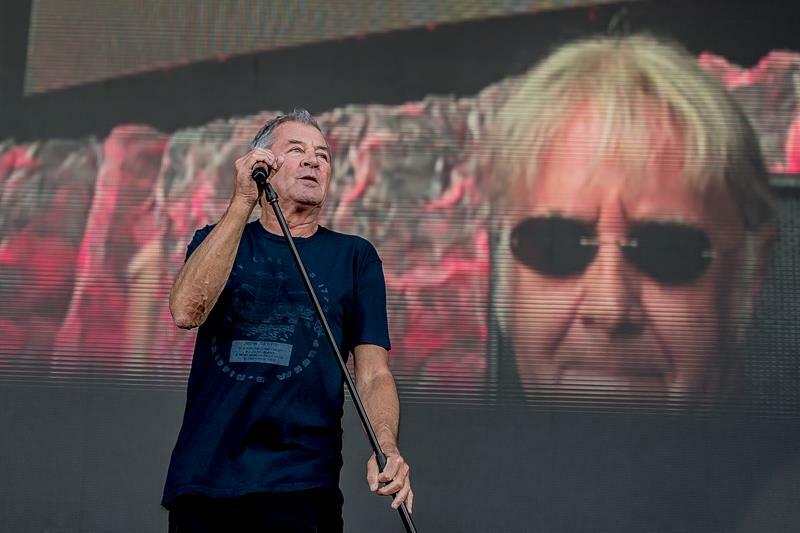 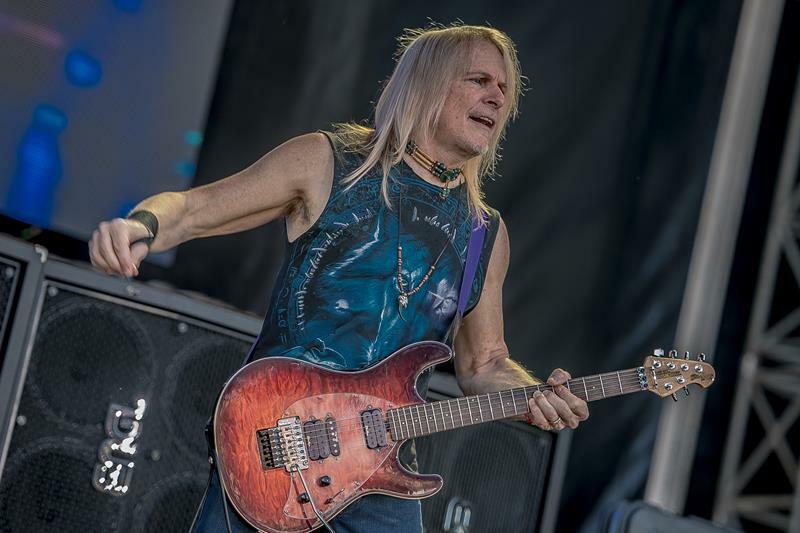 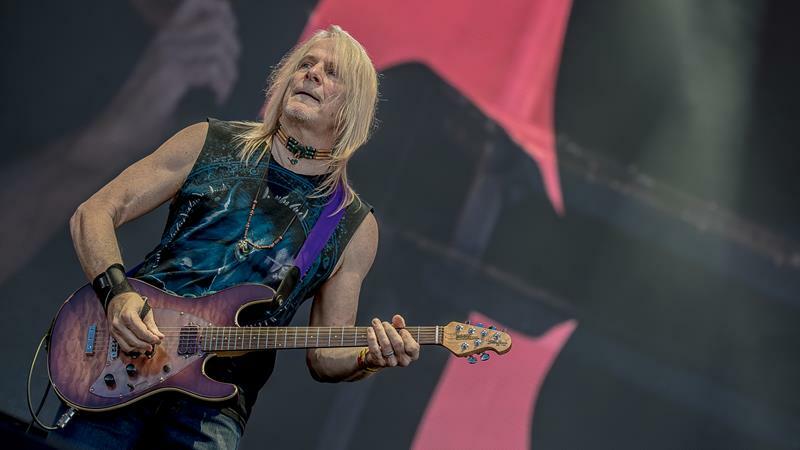 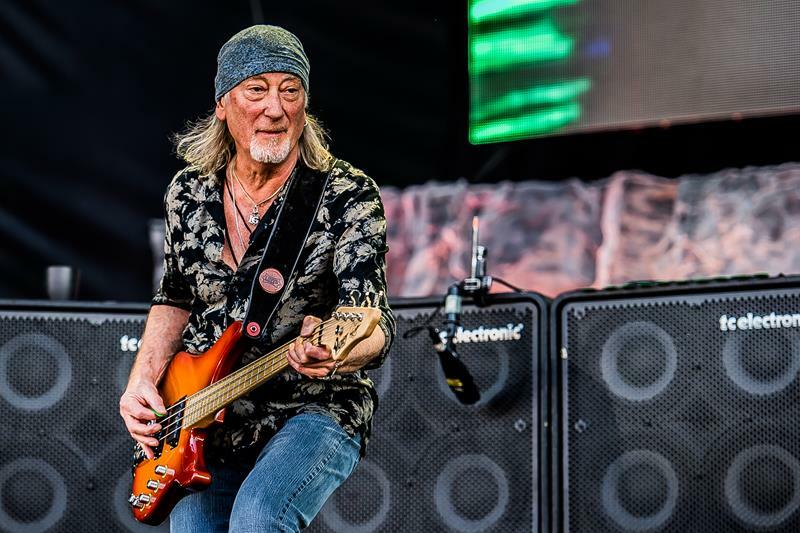 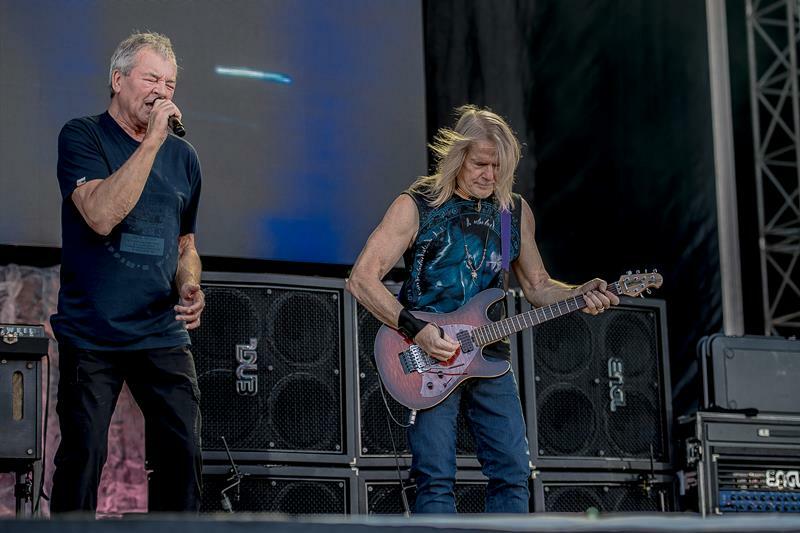 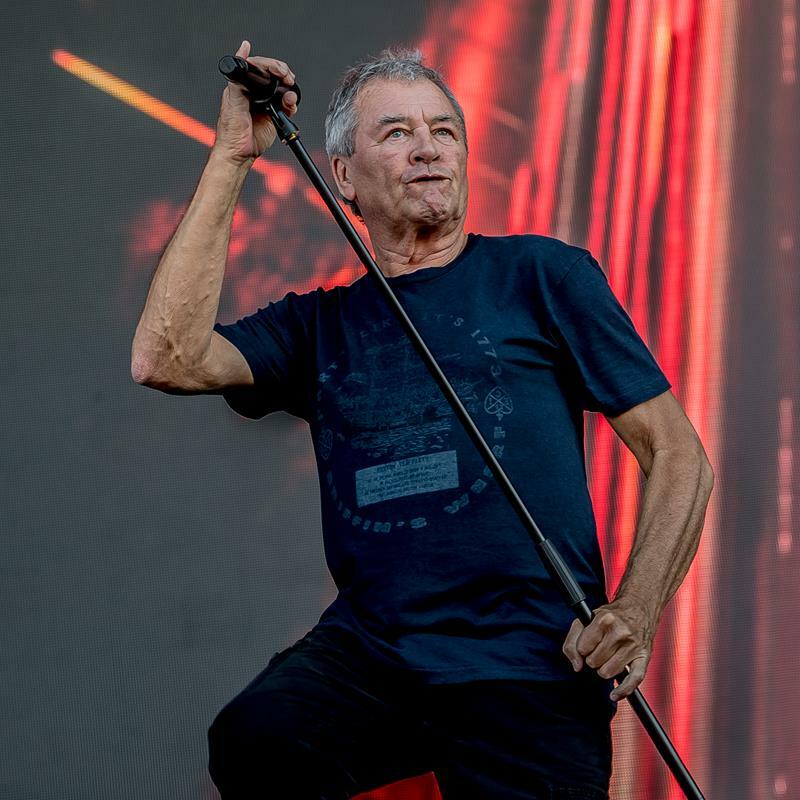 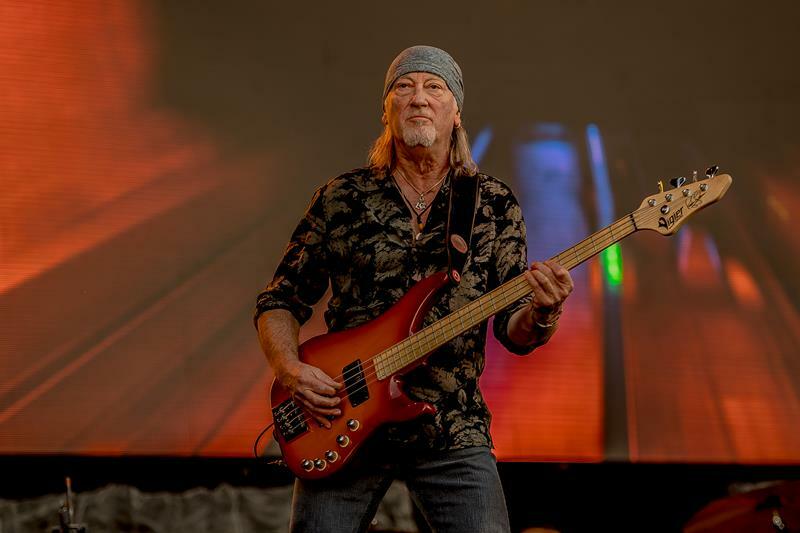 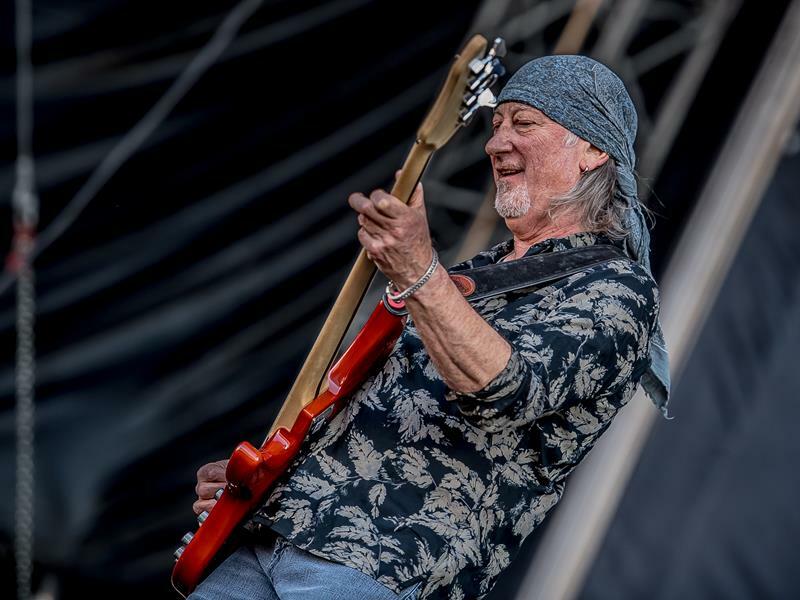 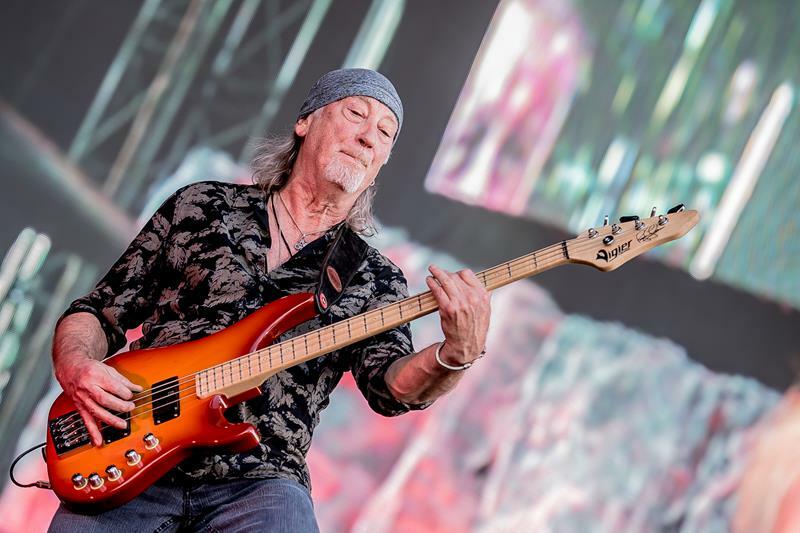 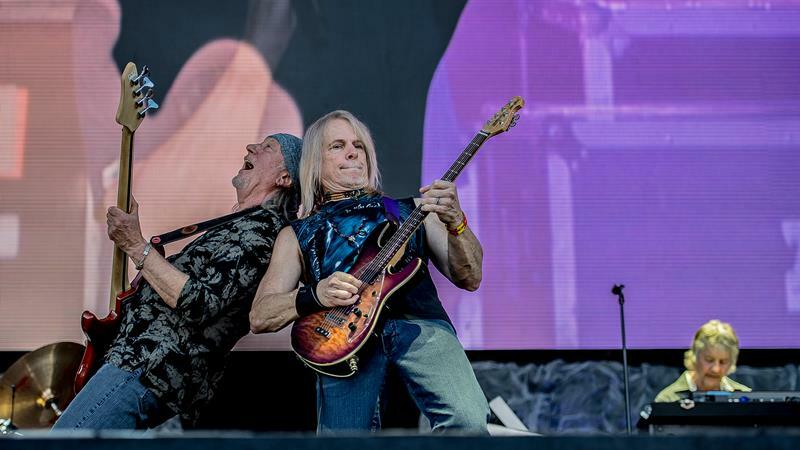 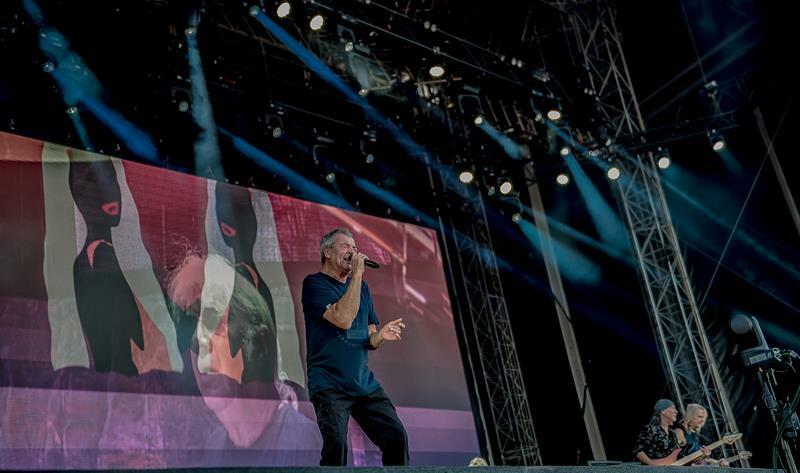 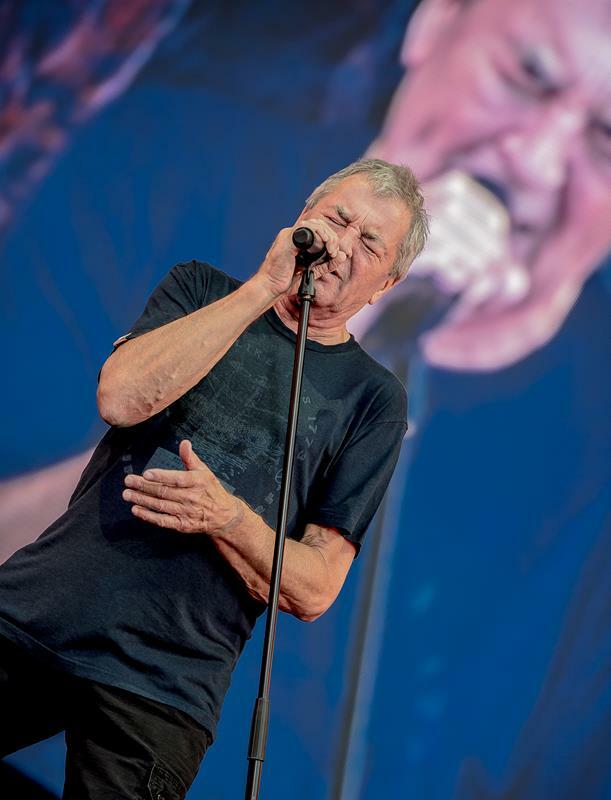 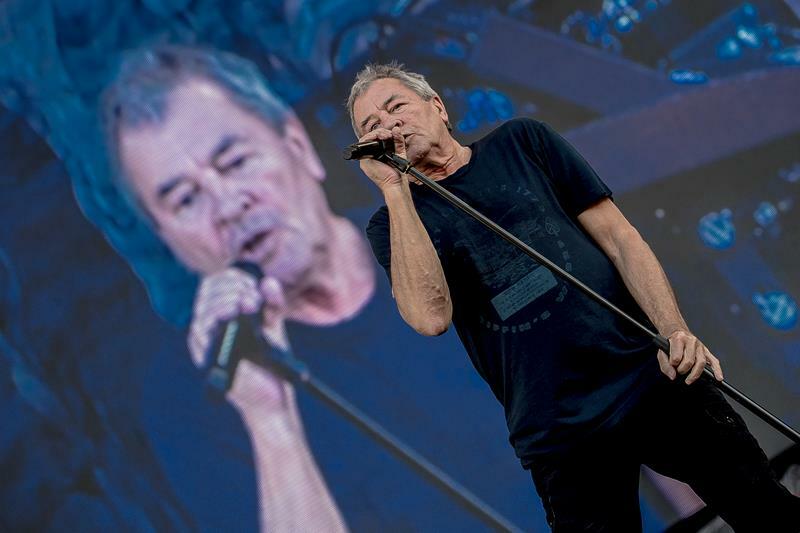 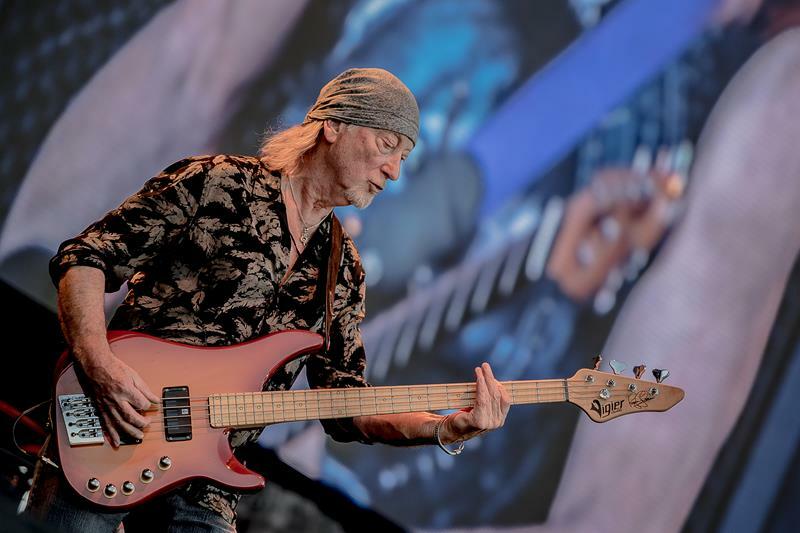 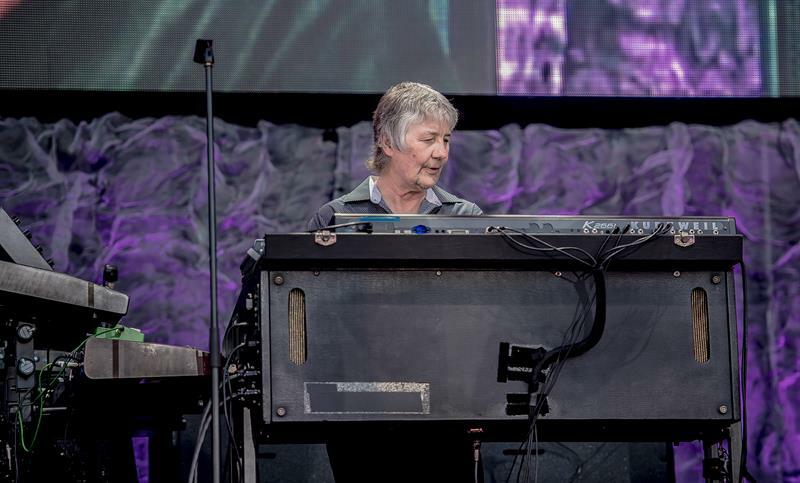 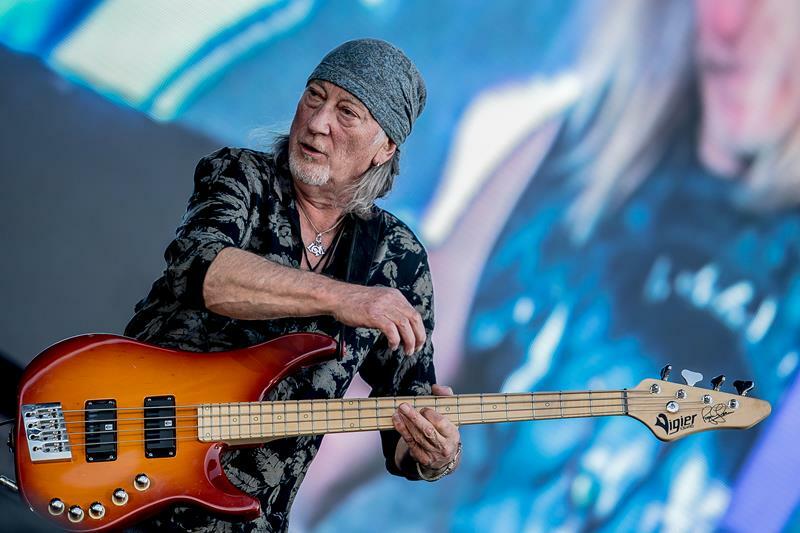 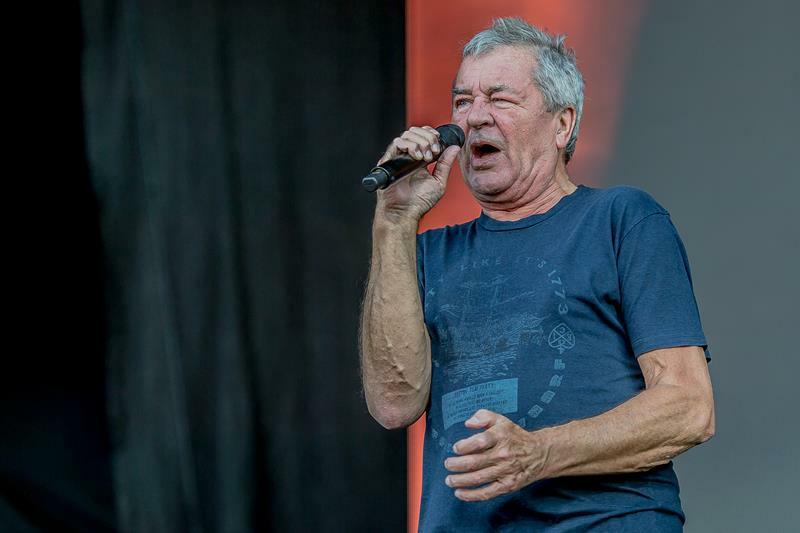 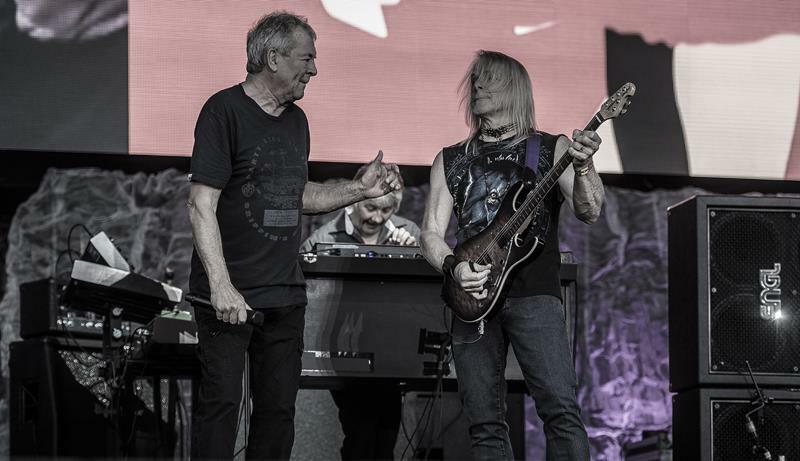 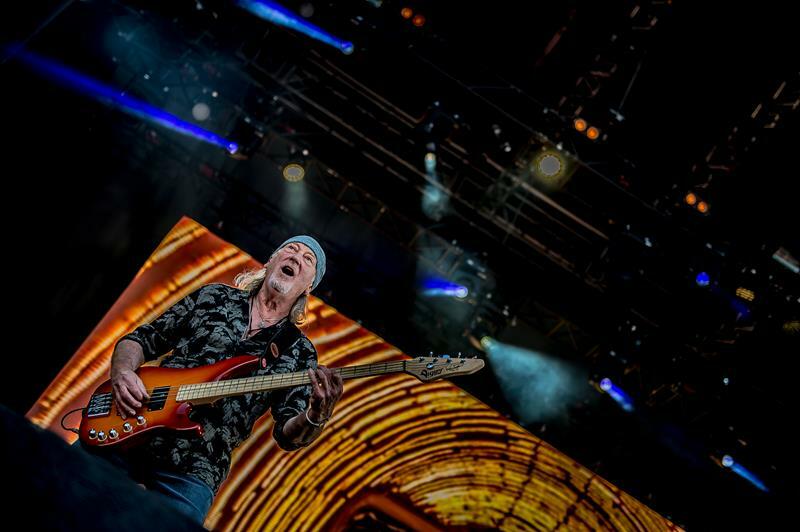 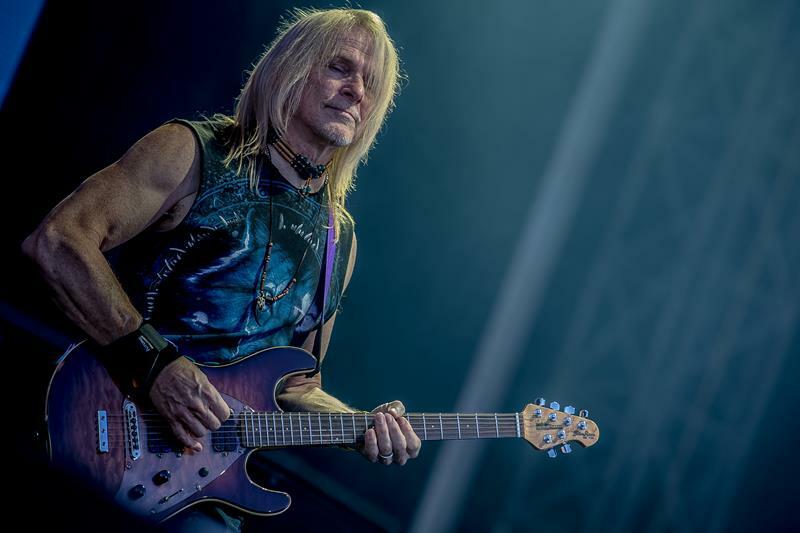 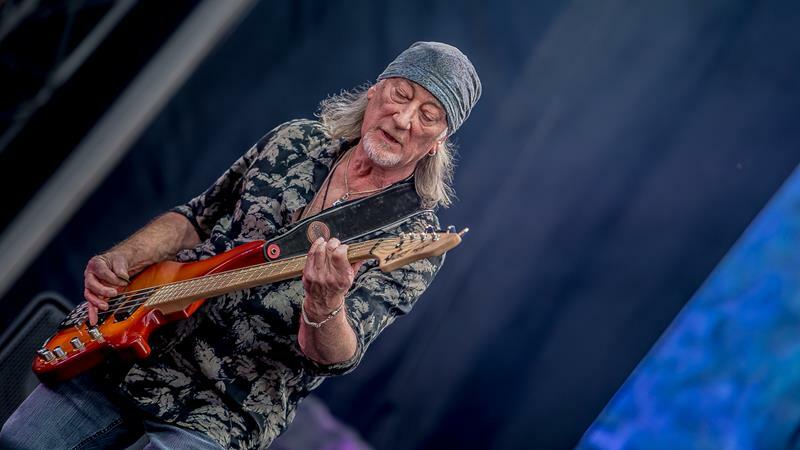 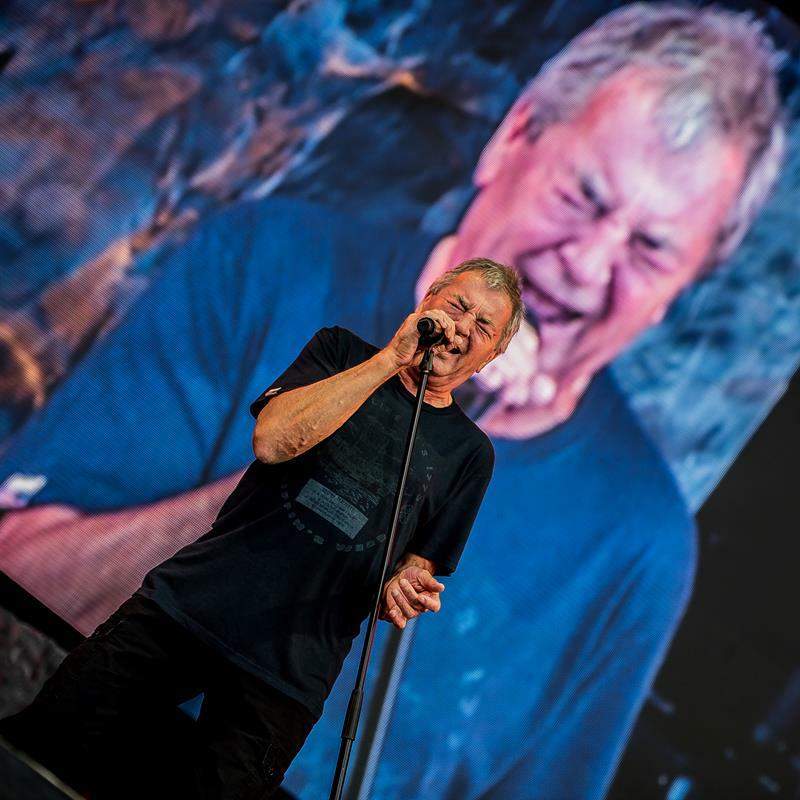 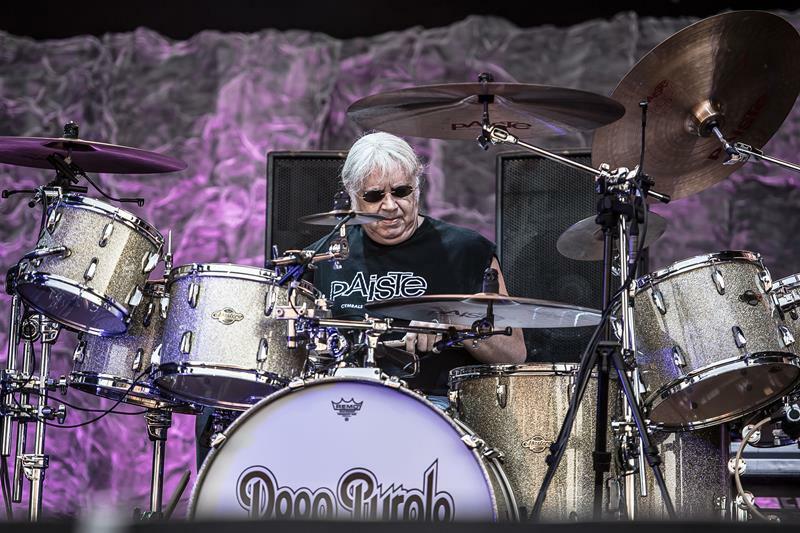 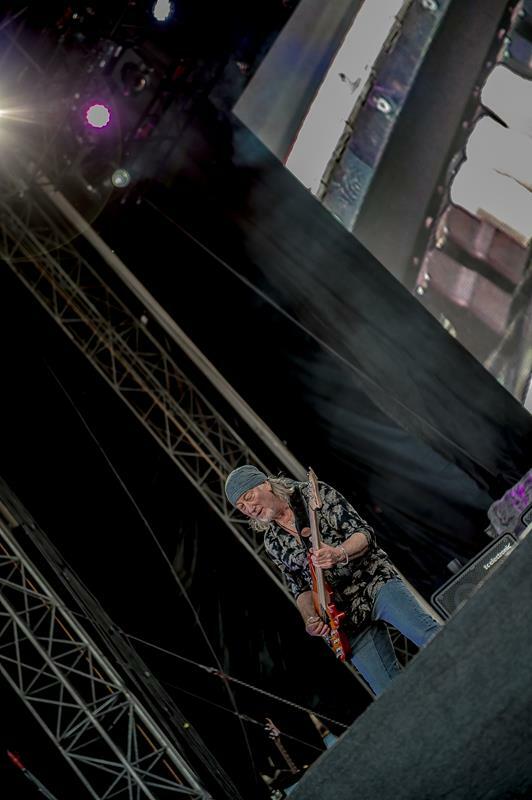 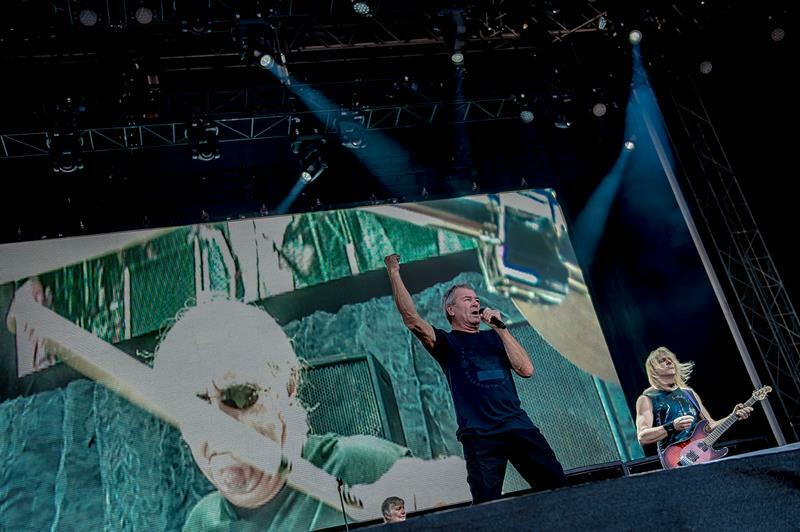 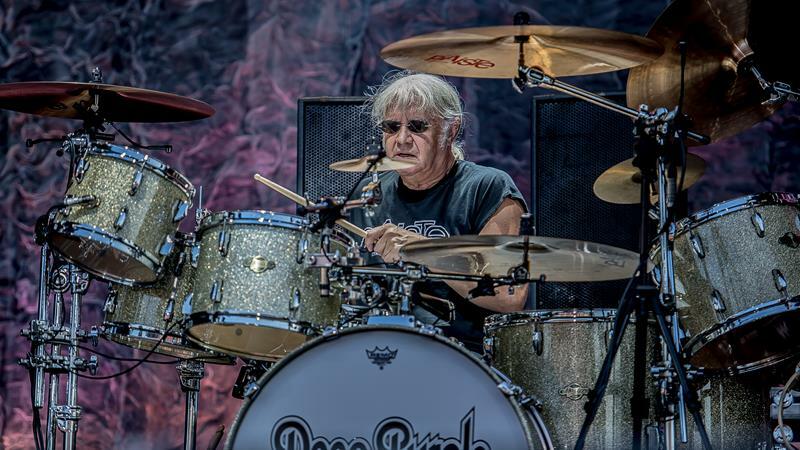 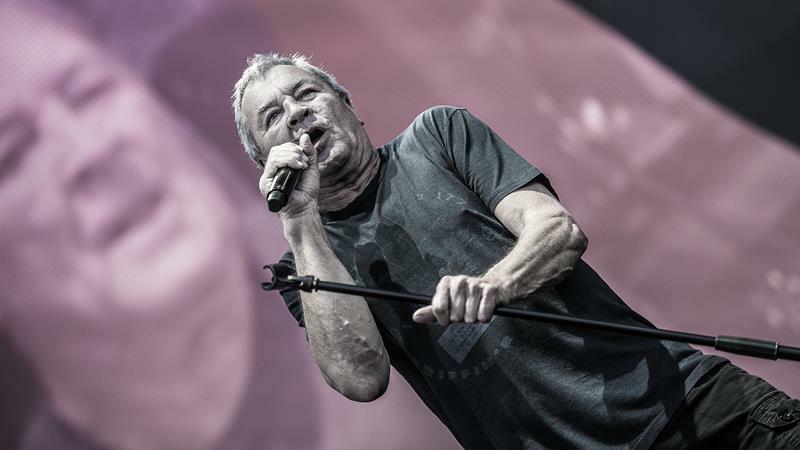 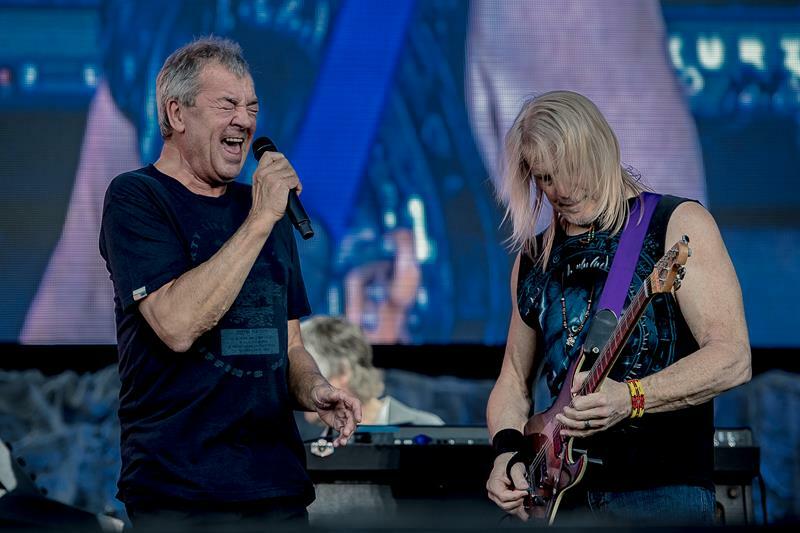 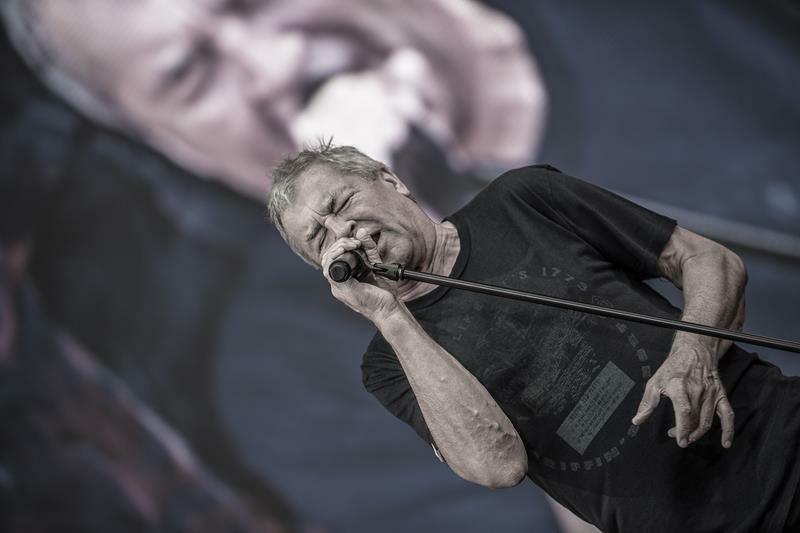 DEEP PURPLE played a well-chosen mix of new songs and older hits, similar to their last shows in 2017. 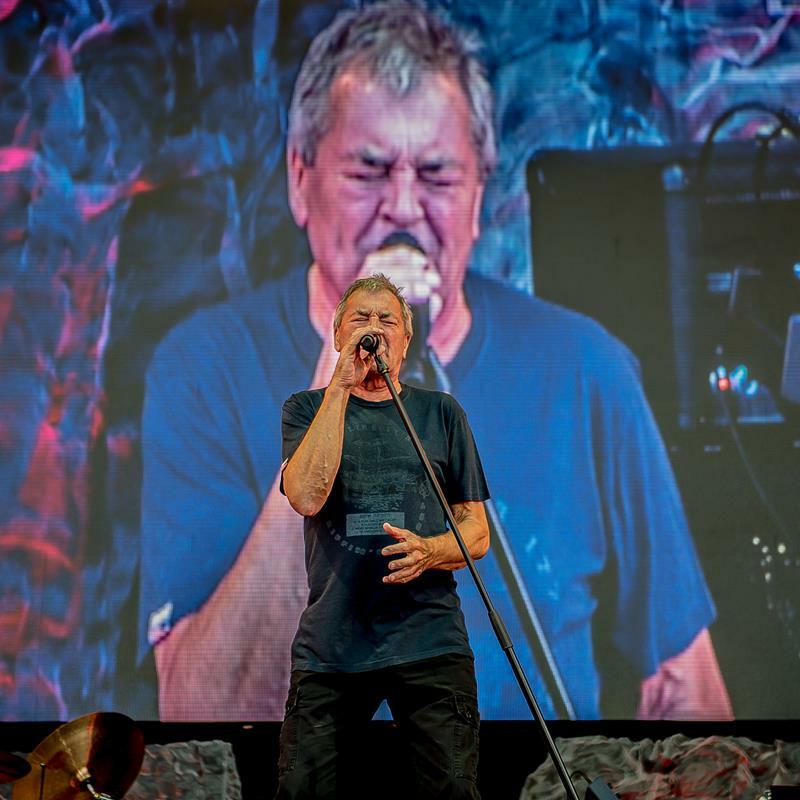 The gig started at 8 pm with ‘Highway Star’, followed by more old gems like ‘Pictures Of Home’ and ‘Bloodsucker’. 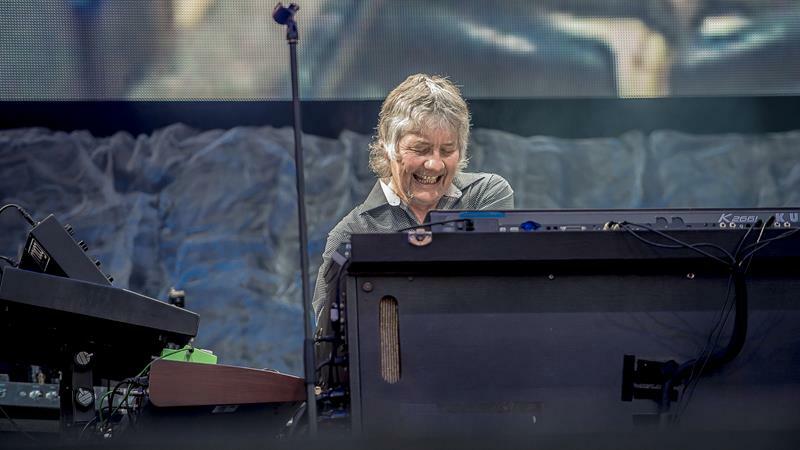 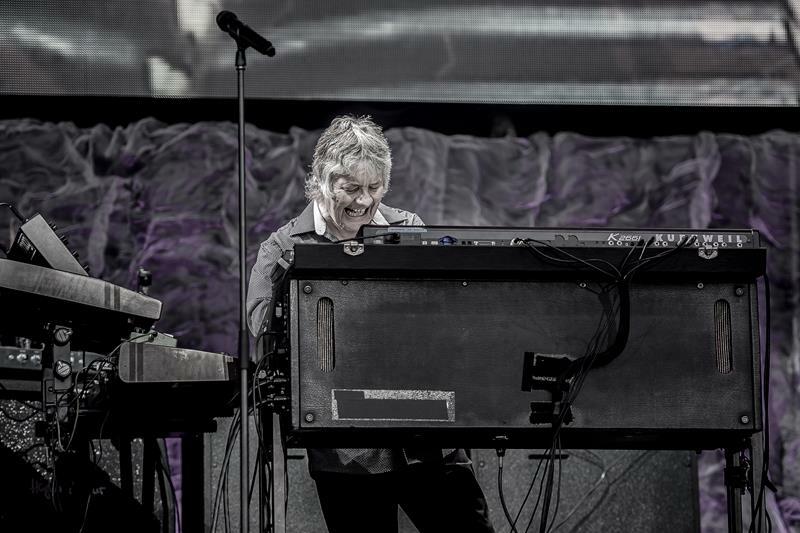 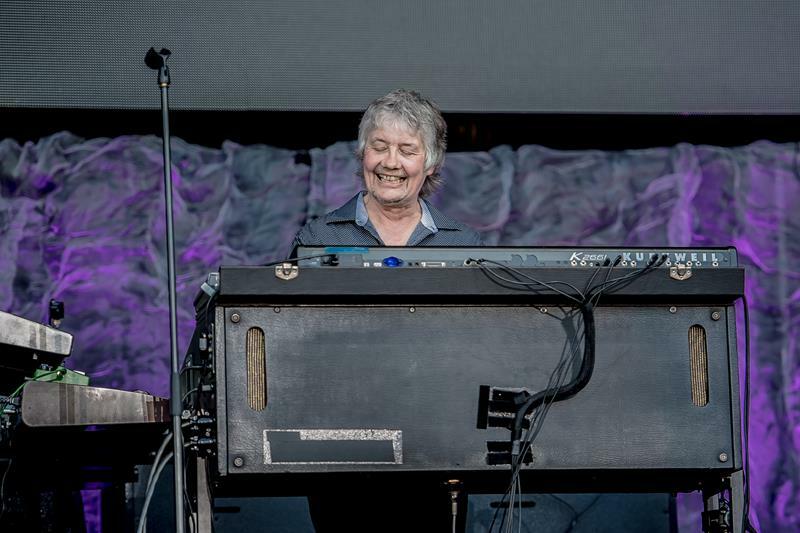 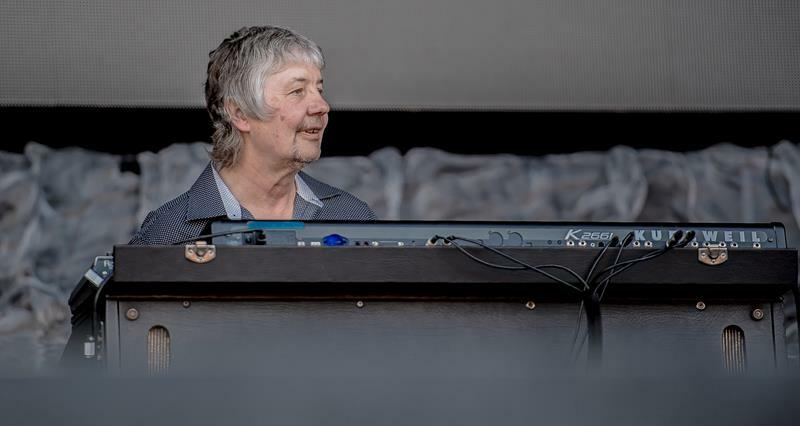 With a classical keyboard solo, Mister Don Airey introduced the frenetically celebrated ‘Perfect Strangers’. 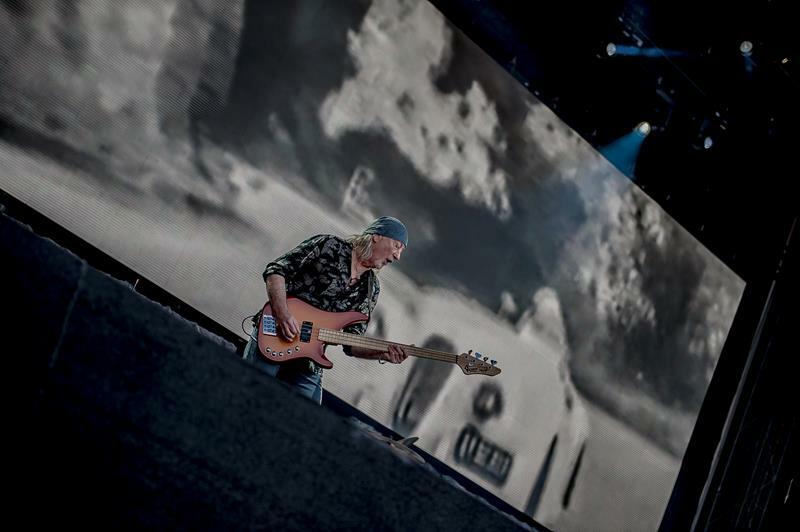 The official playlist ended with ‘Smoke On The Water’. 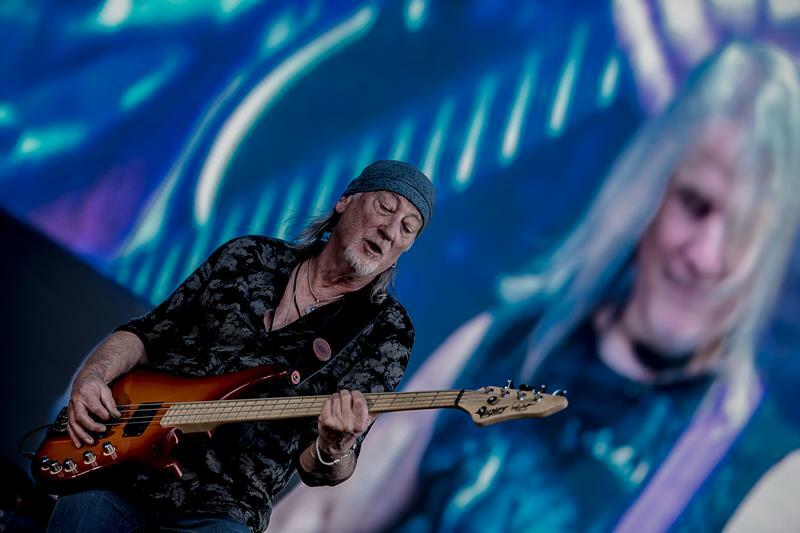 The encore consisted of the JOE SOUTH cover ‘Hush’, a thrilling solo of Roger Glover on his four strings and at the end ‘Black Night’. 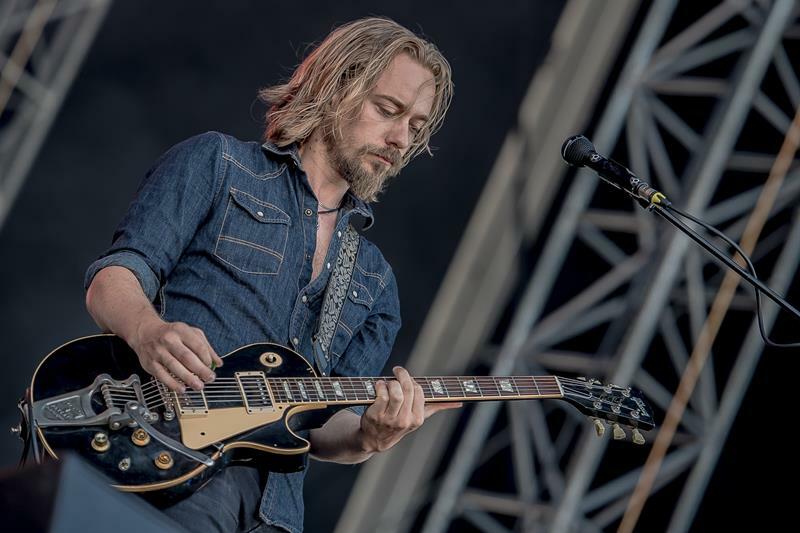 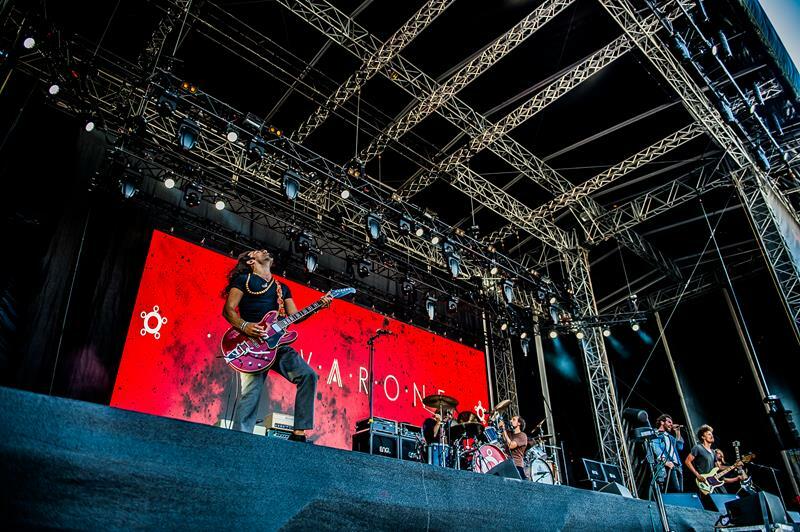 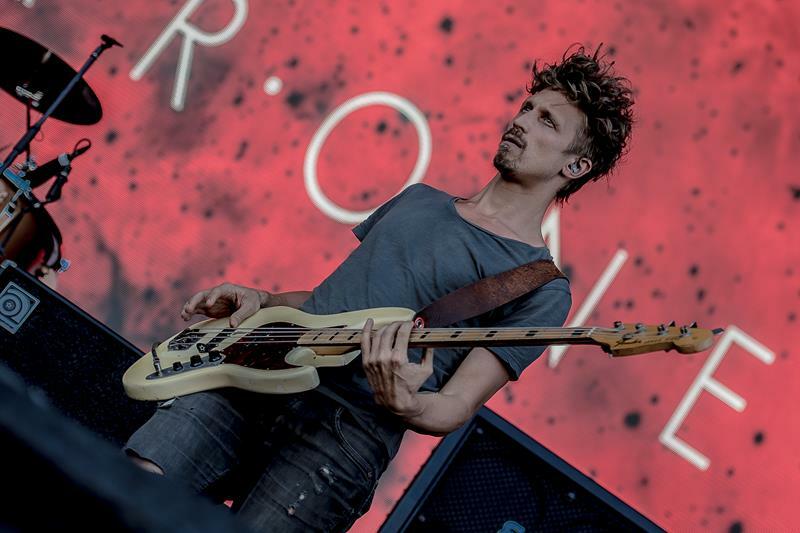 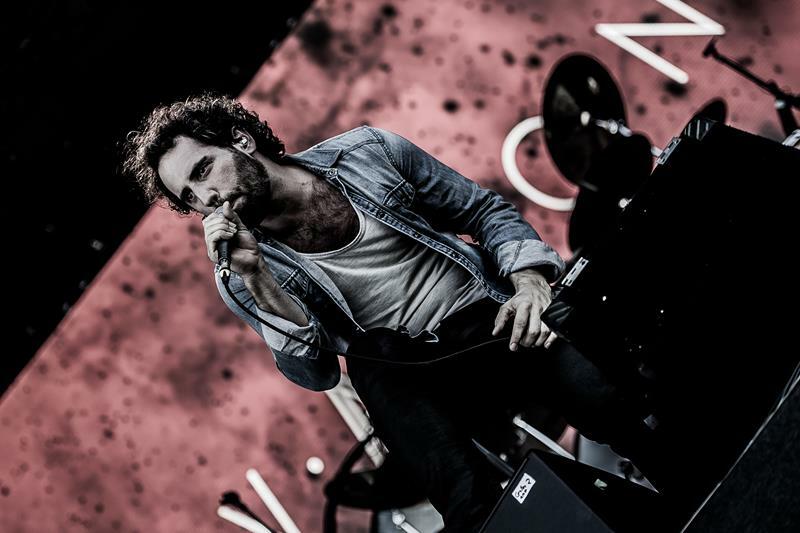 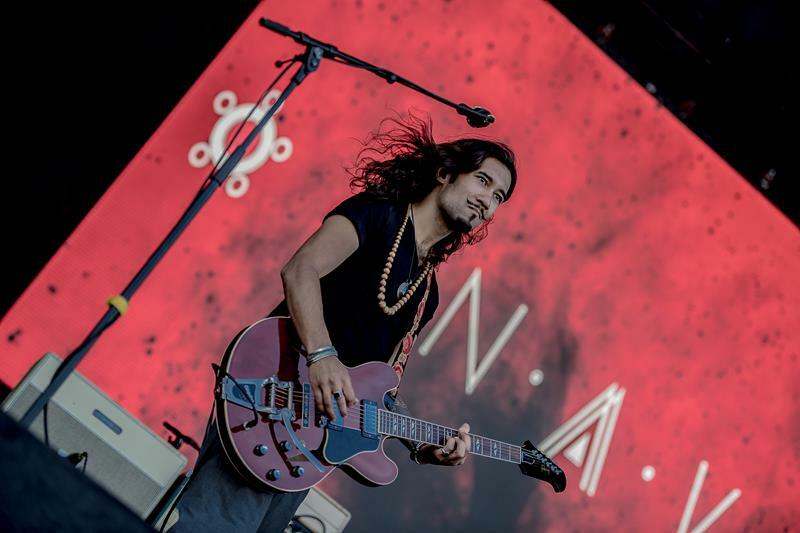 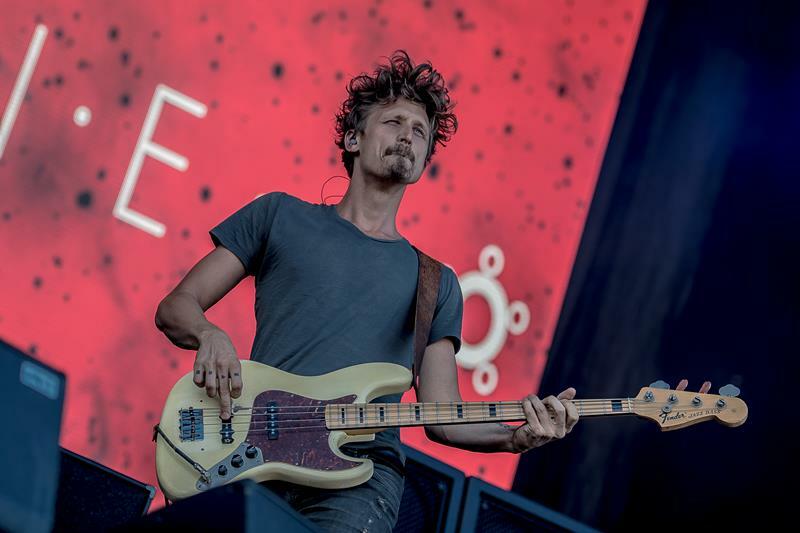 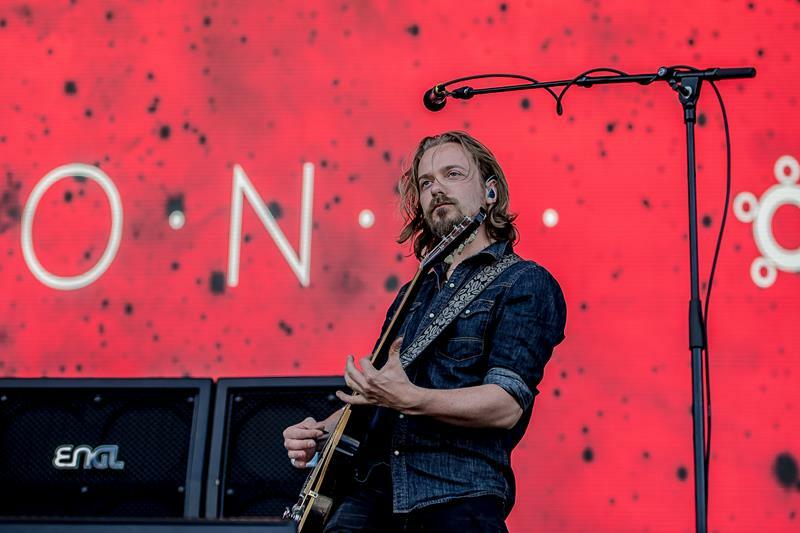 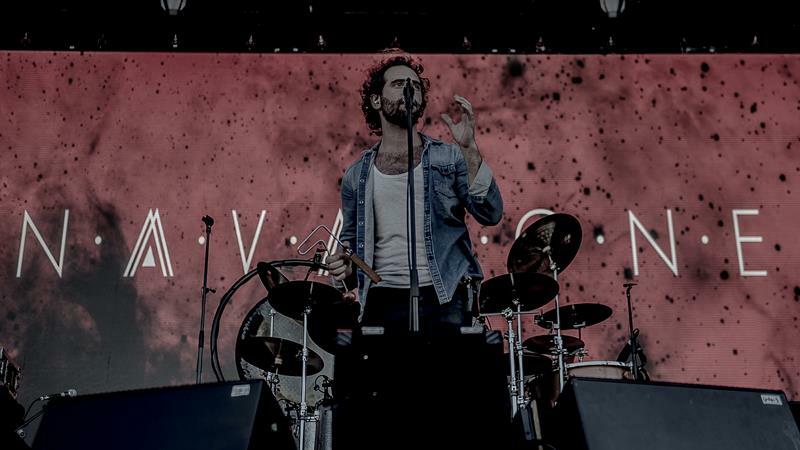 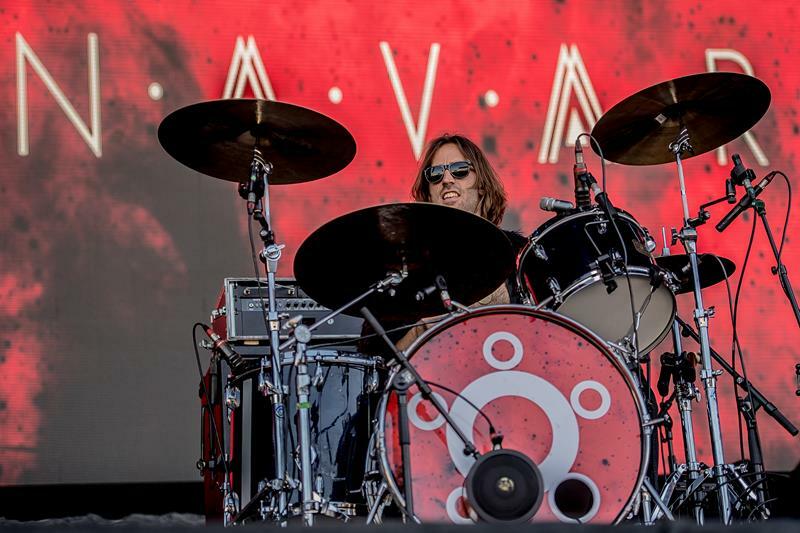 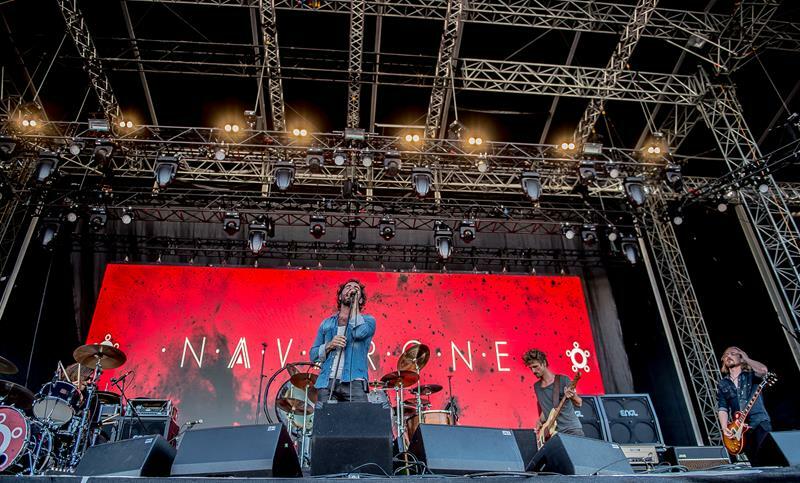 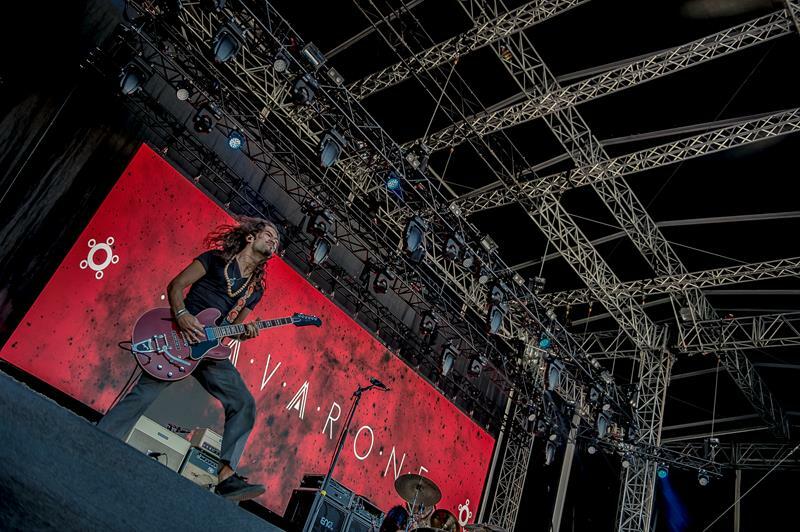 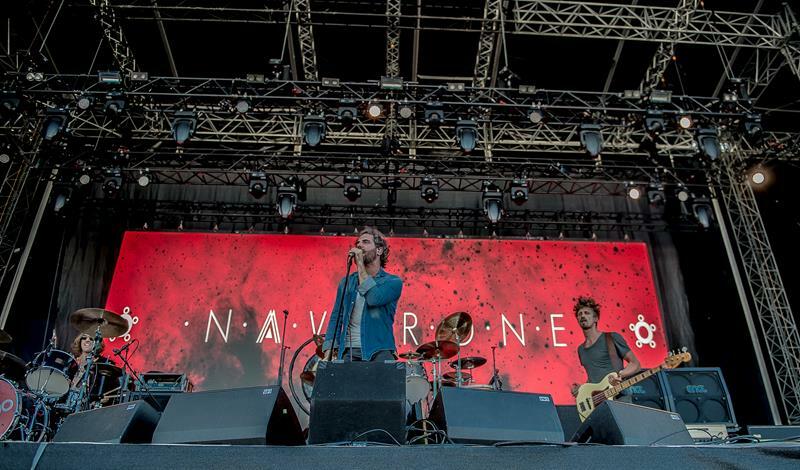 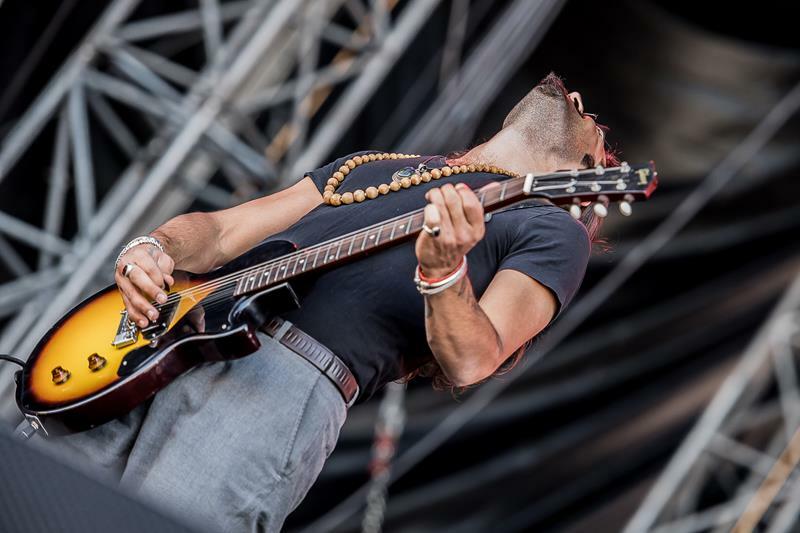 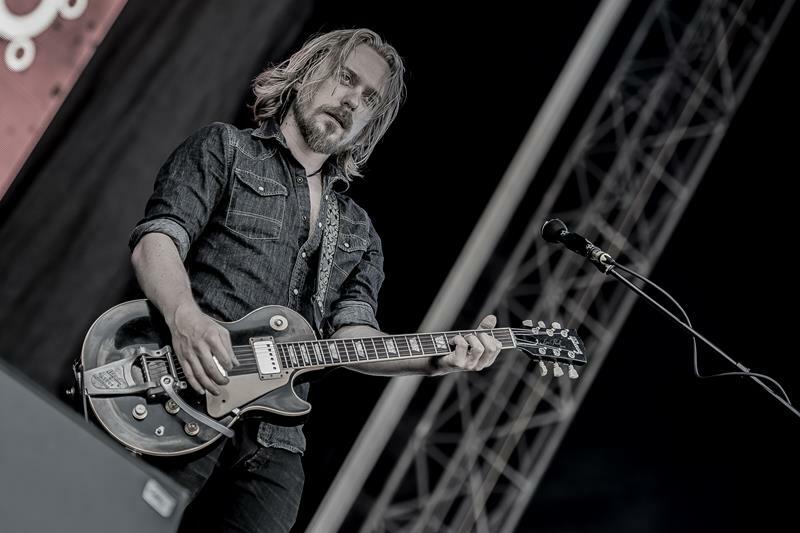 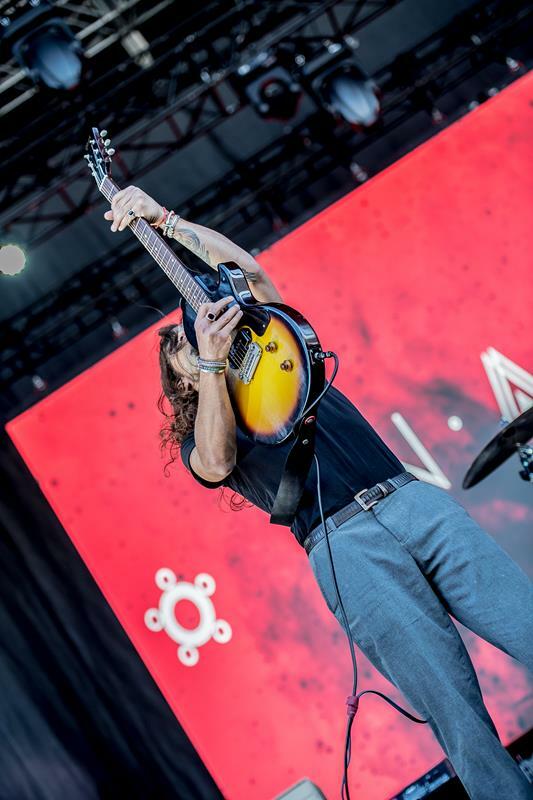 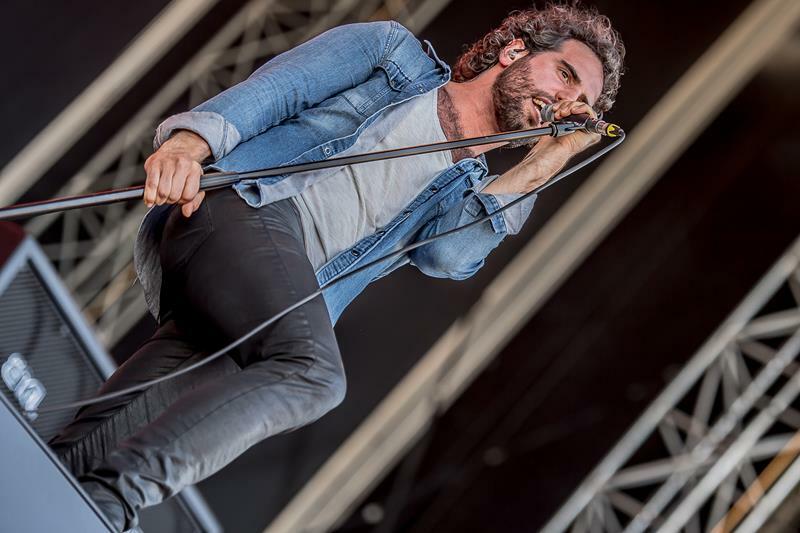 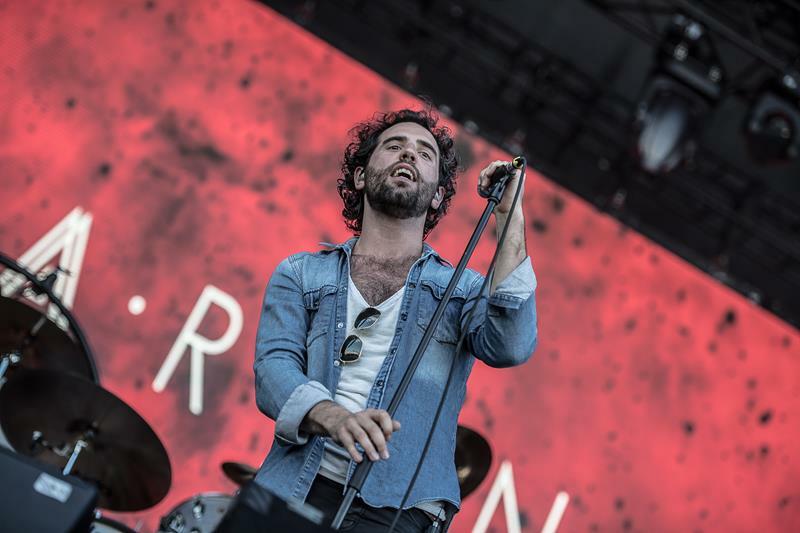 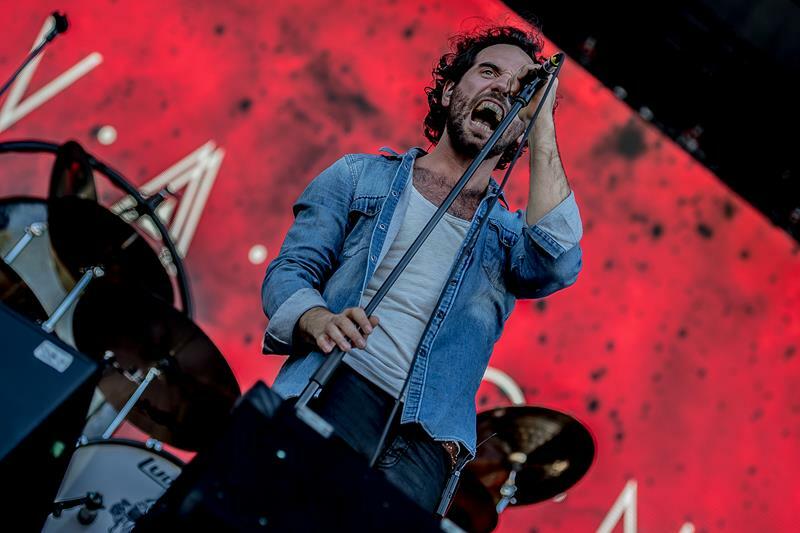 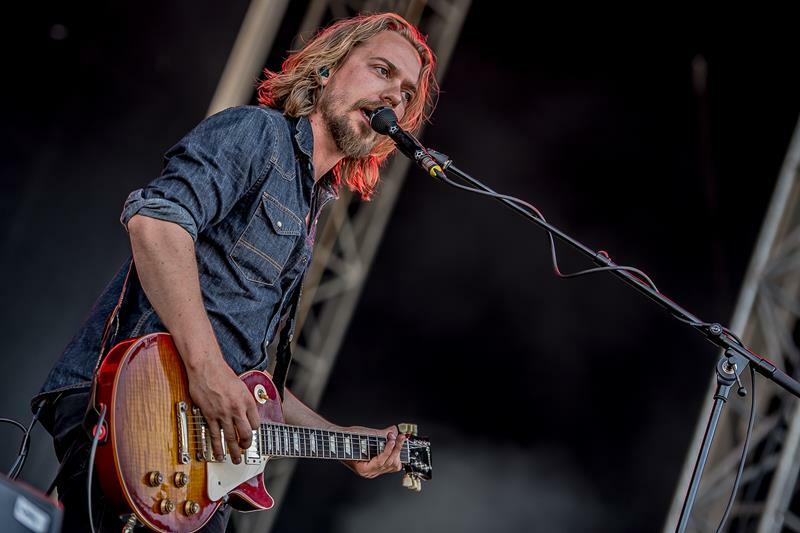 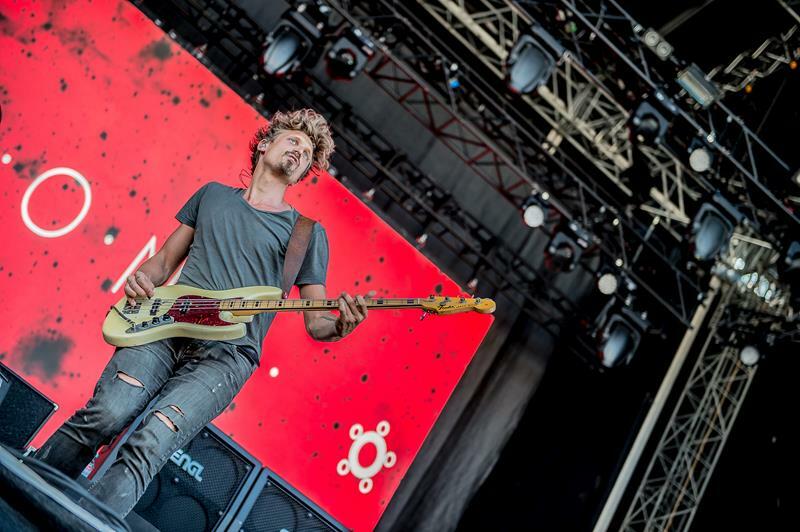 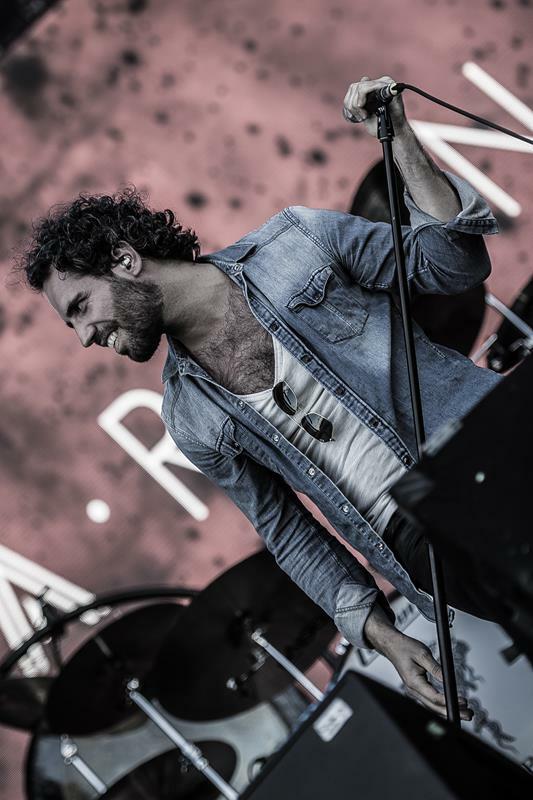 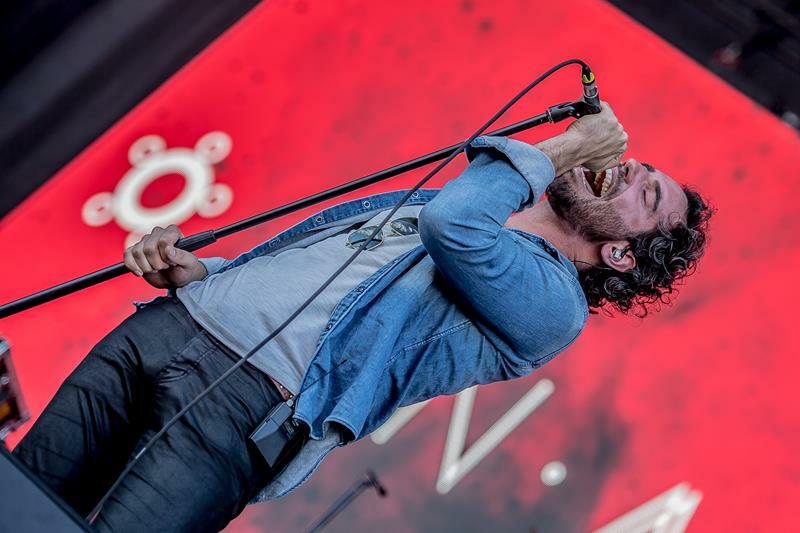 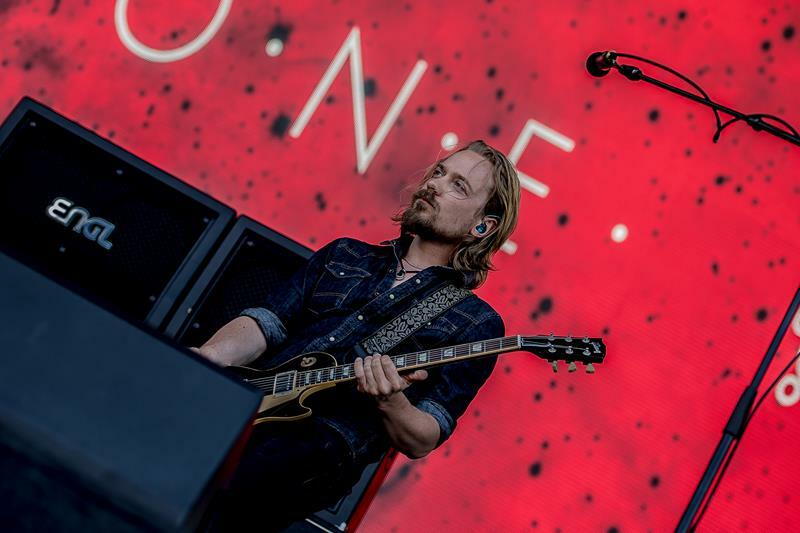 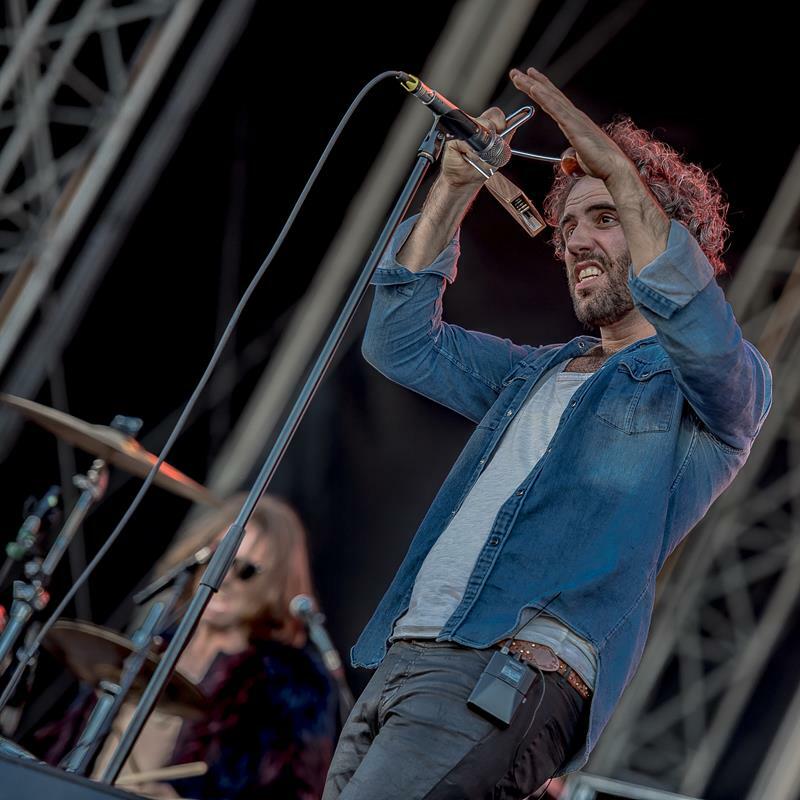 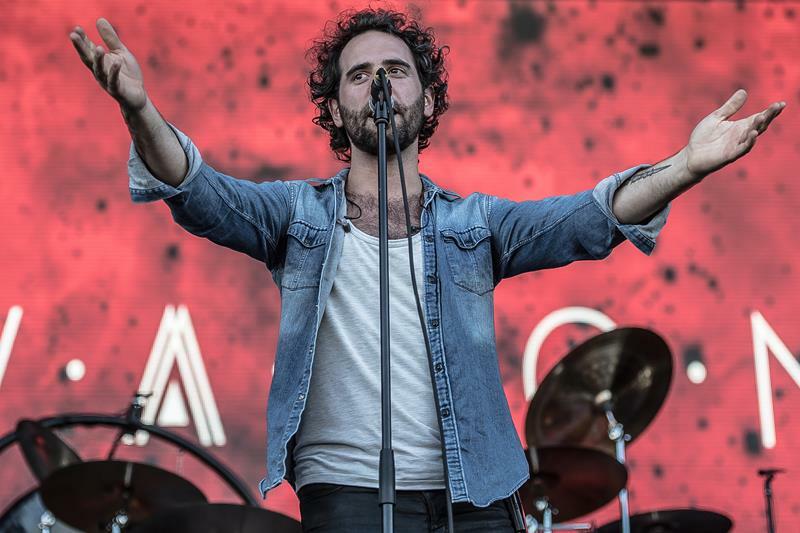 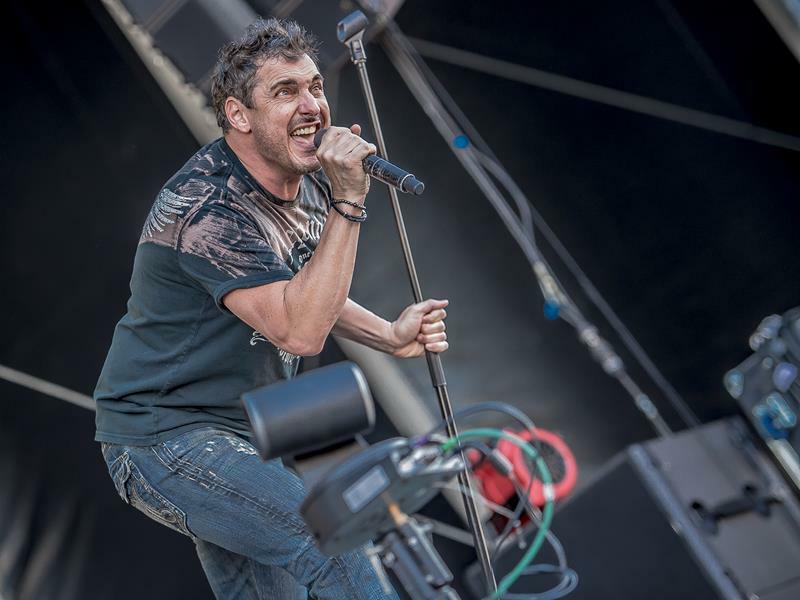 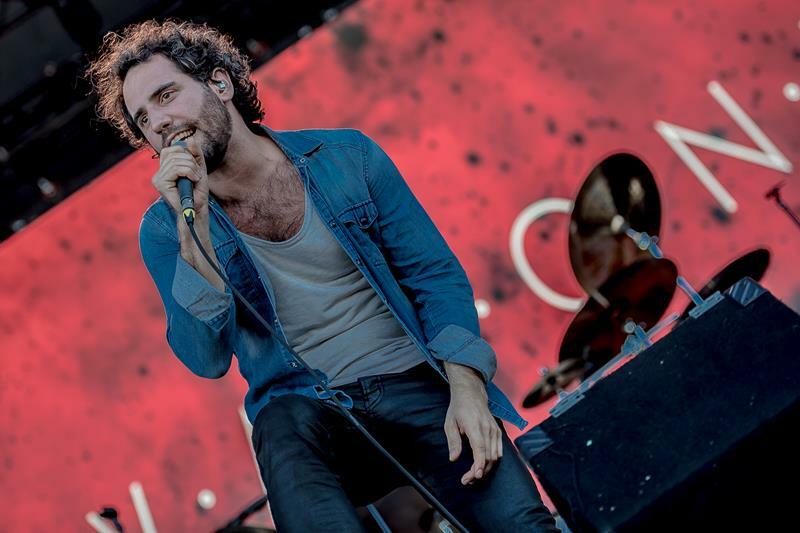 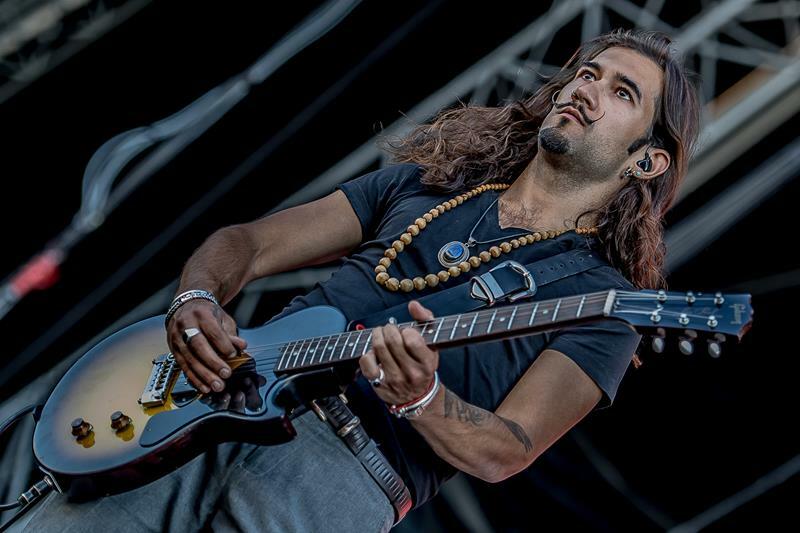 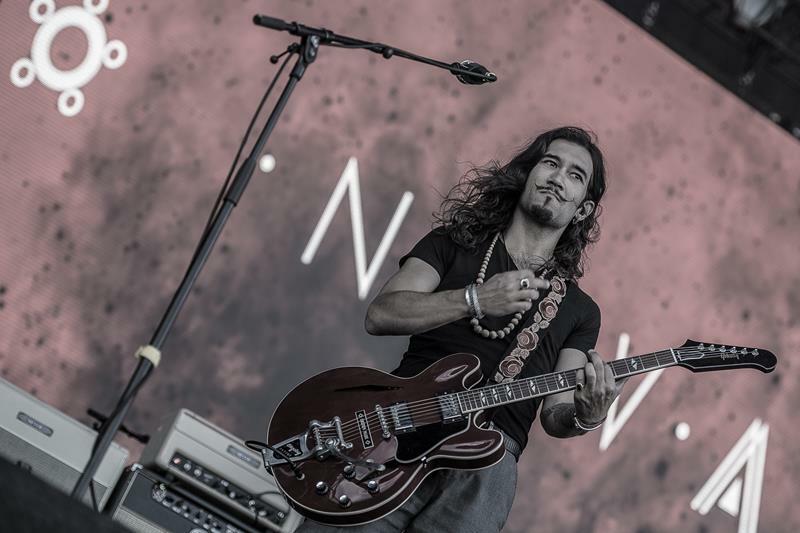 The opener NAVARONE is a Dutch, so-called Alternative Rock band, formed in Nijmegen in 2008. 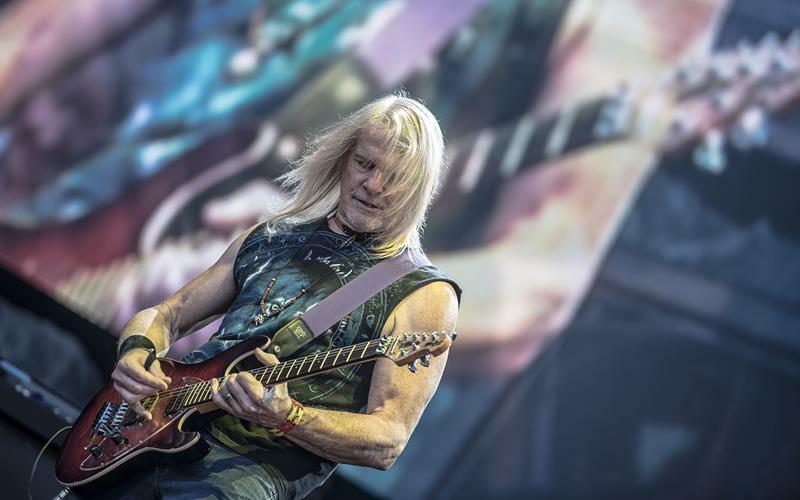 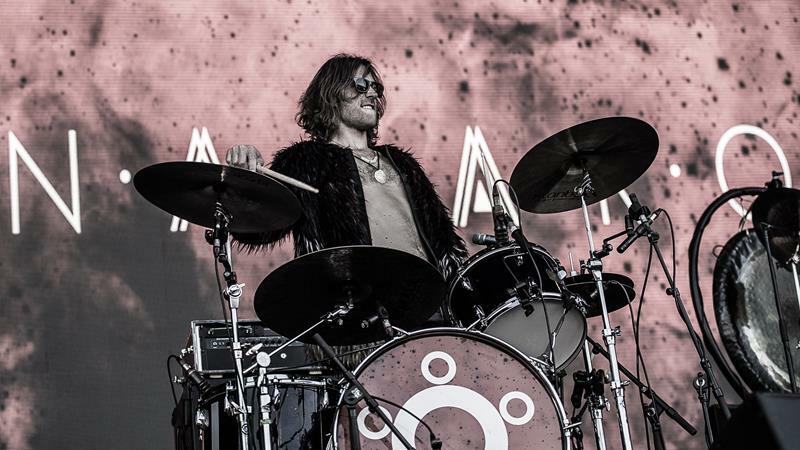 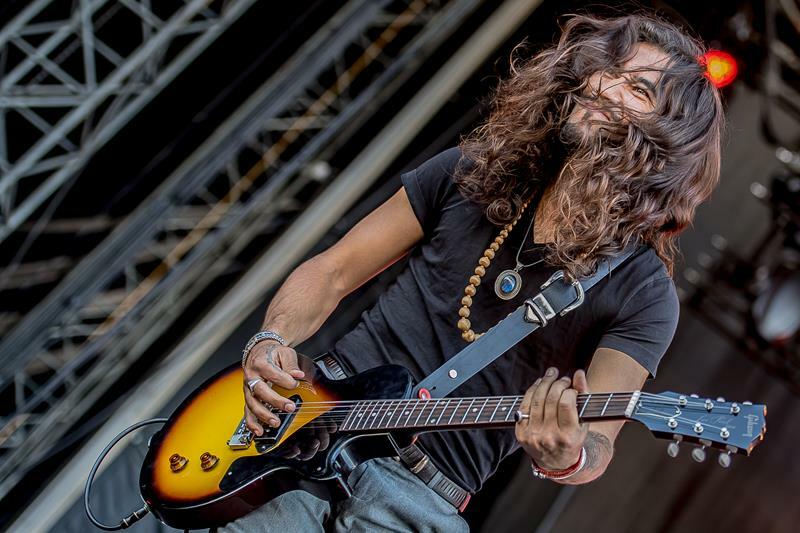 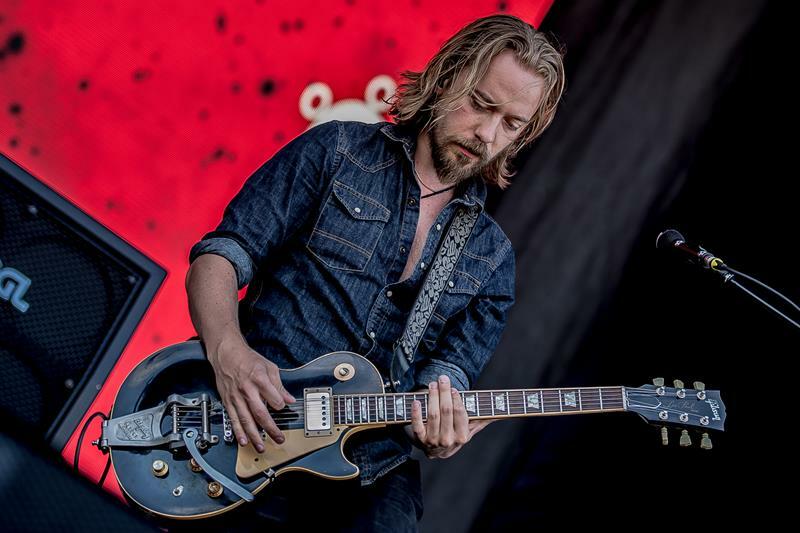 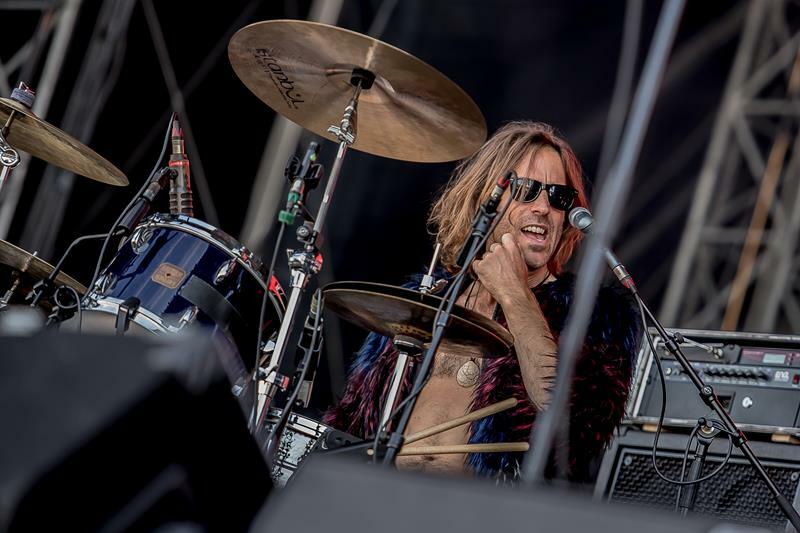 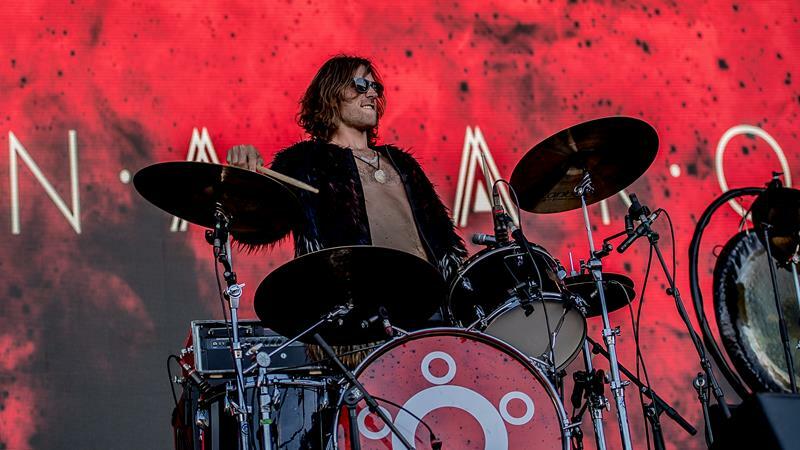 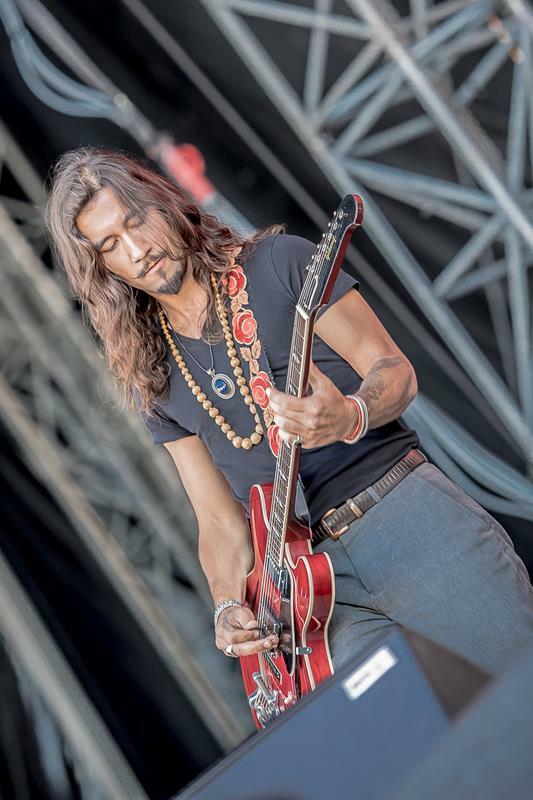 The five members started at 17:30 pm and warmed up the audience with impressive Stoner Rock to make them ready for the following special guest. 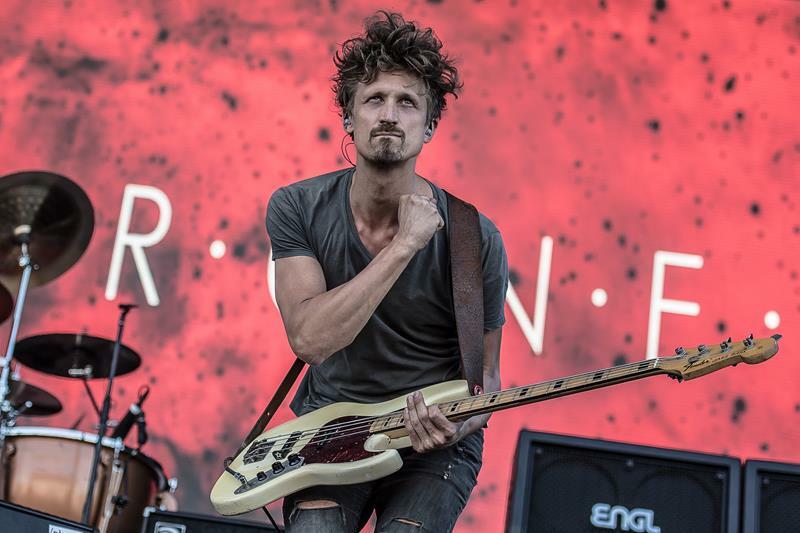 Most people did not know the band und so the audience did not catch fire. 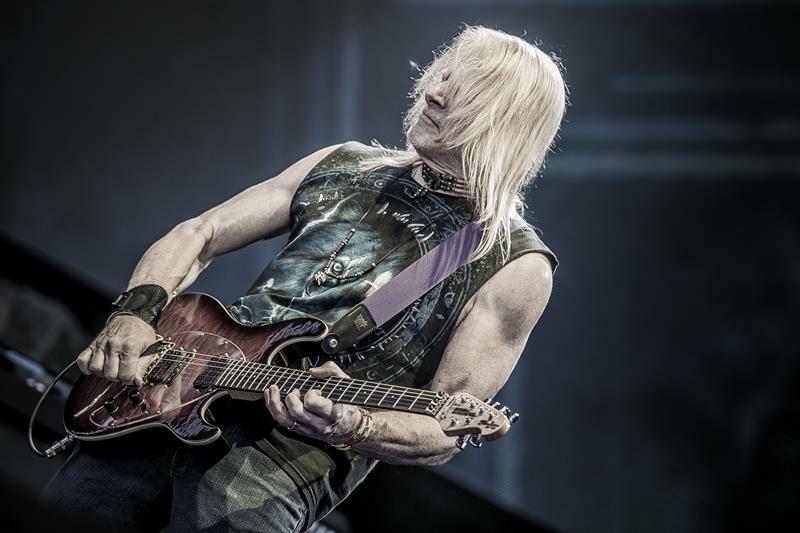 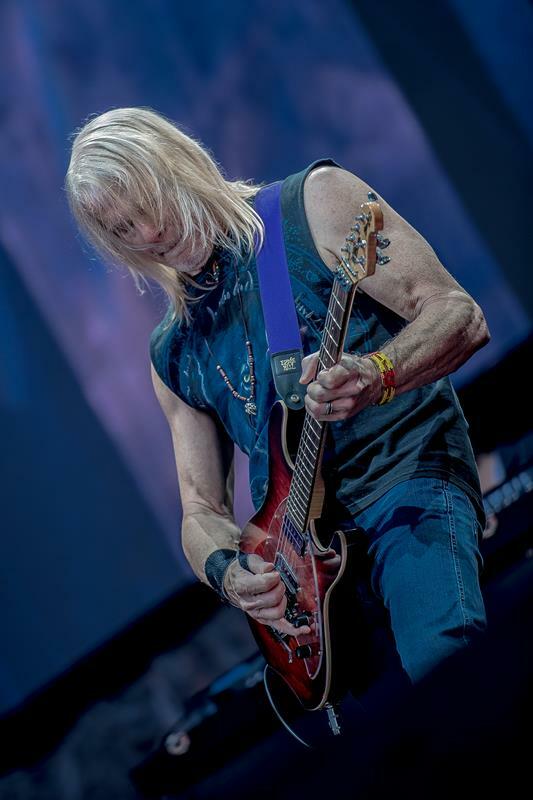 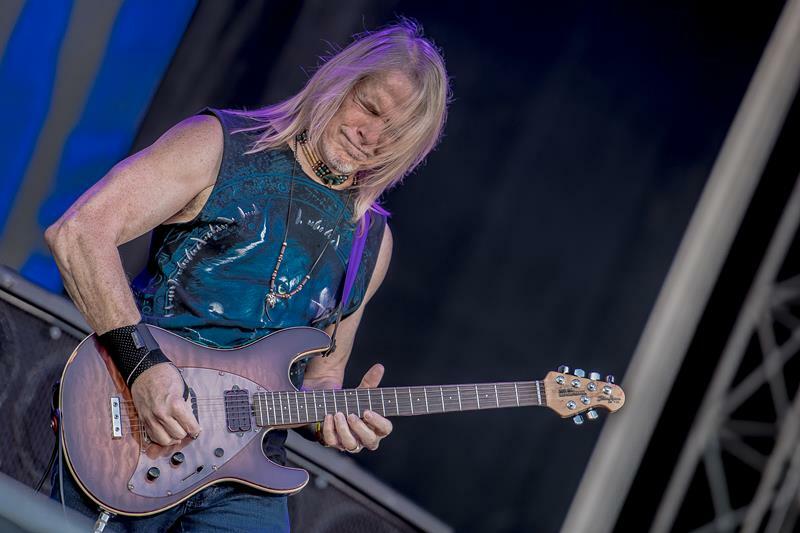 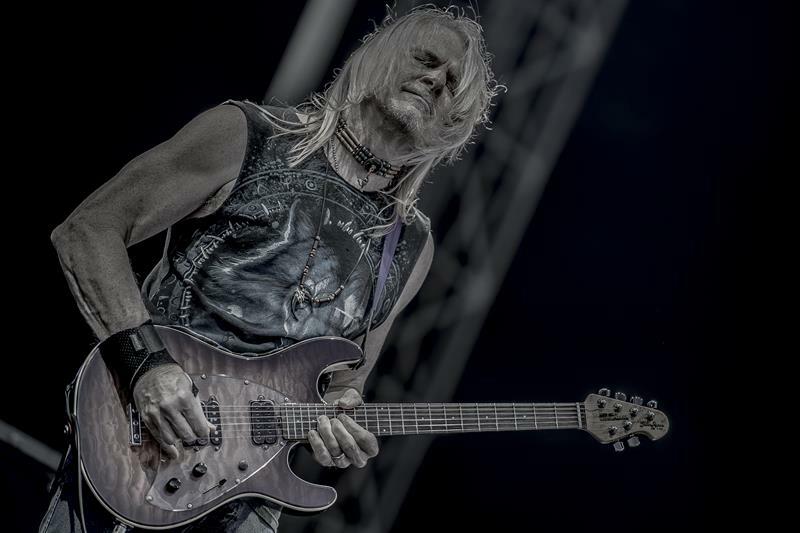 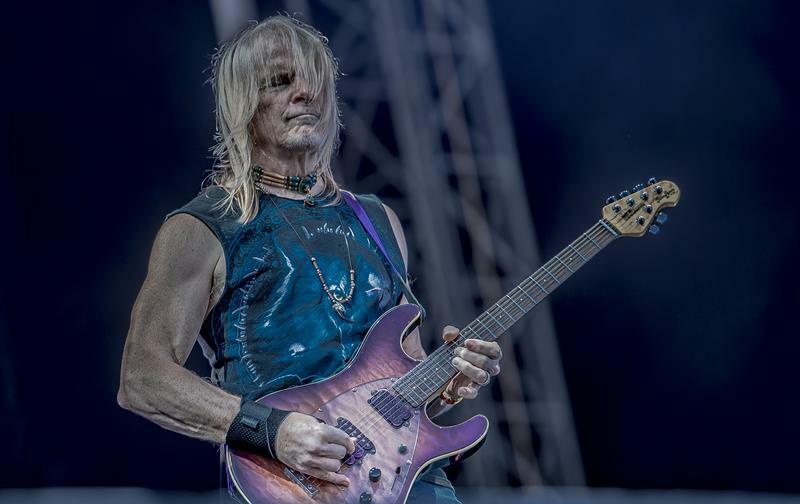 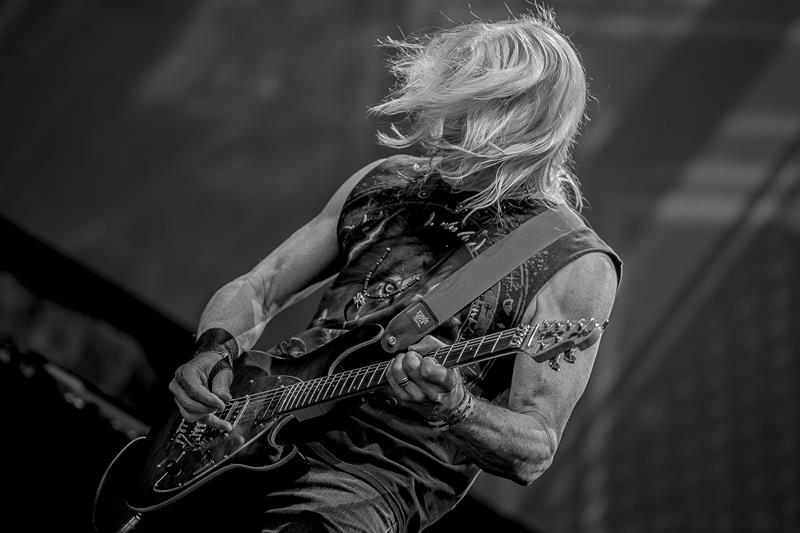 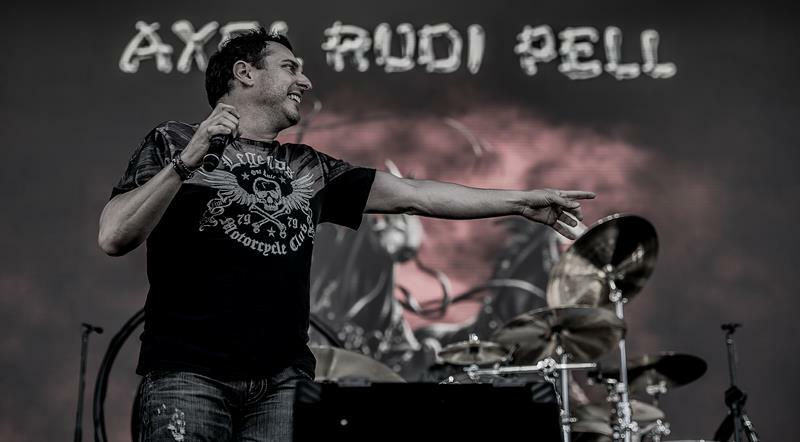 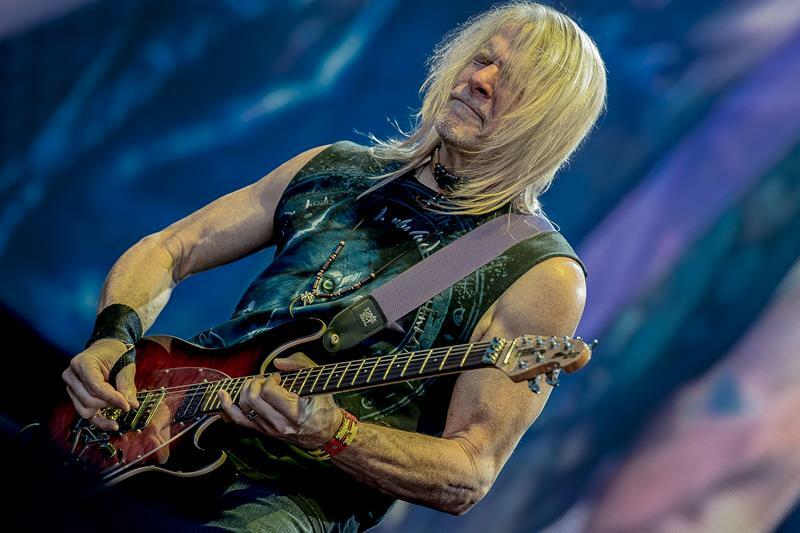 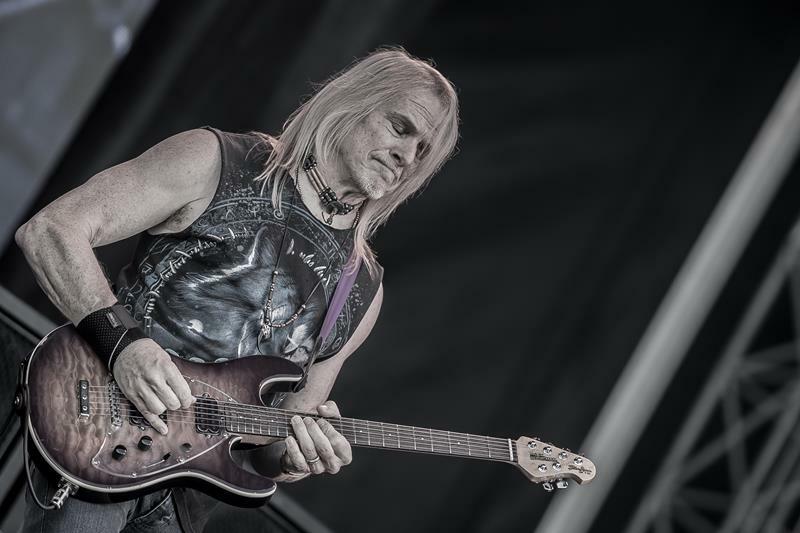 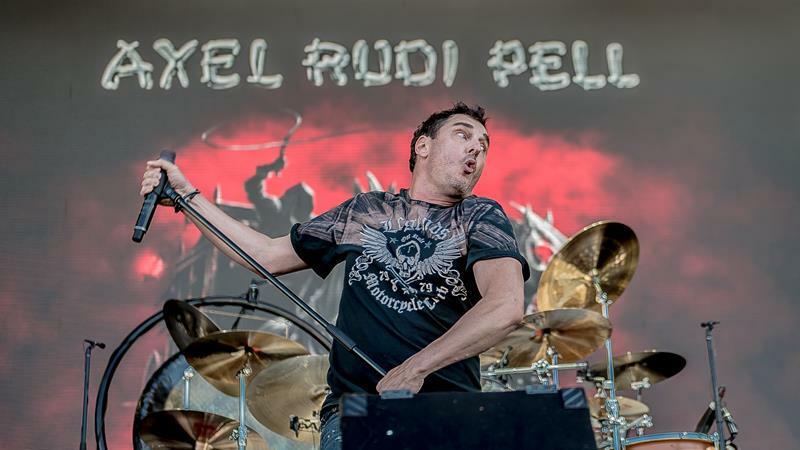 Following Mister AXEL RUDI PELL is a big RAINBOW and DEEP PURPLE fan and belongs to the best guitar players in Germany. 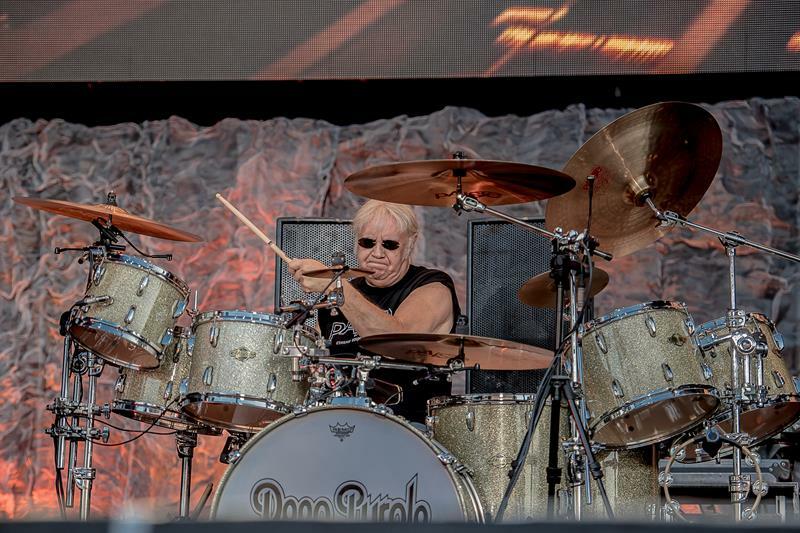 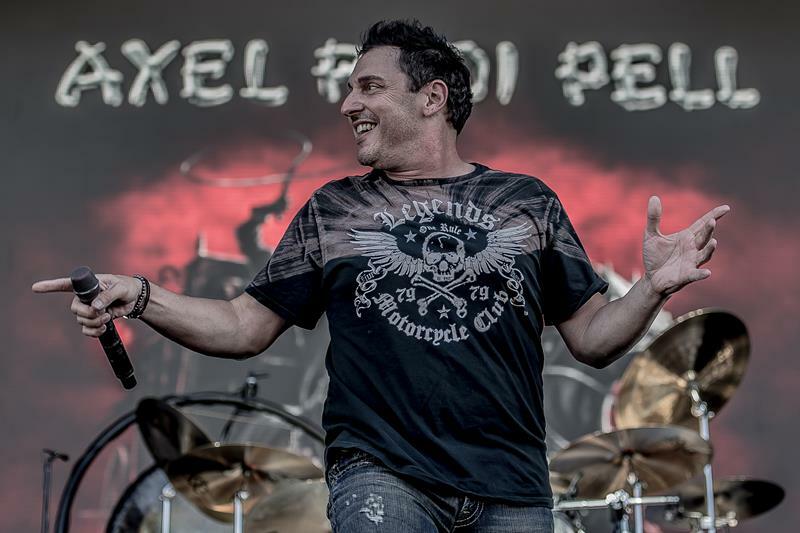 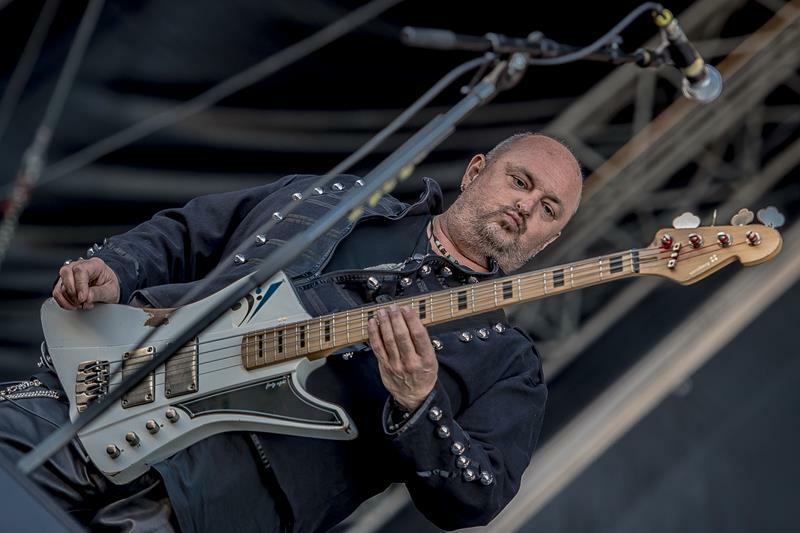 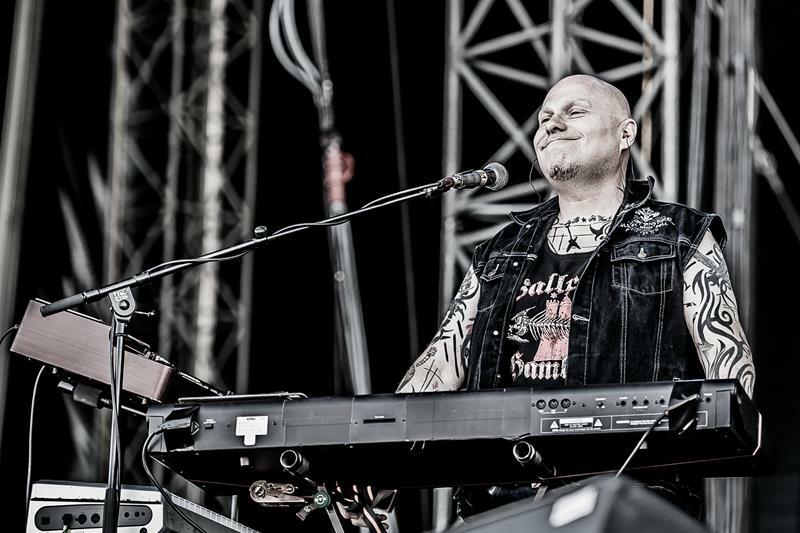 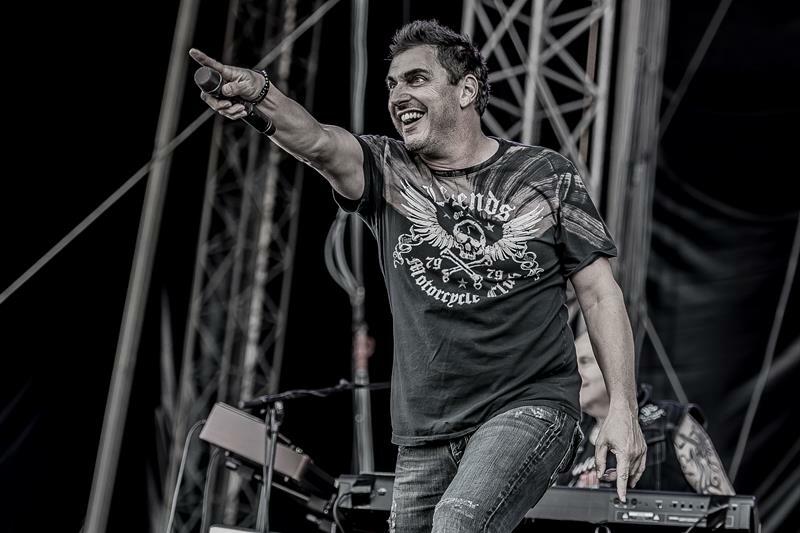 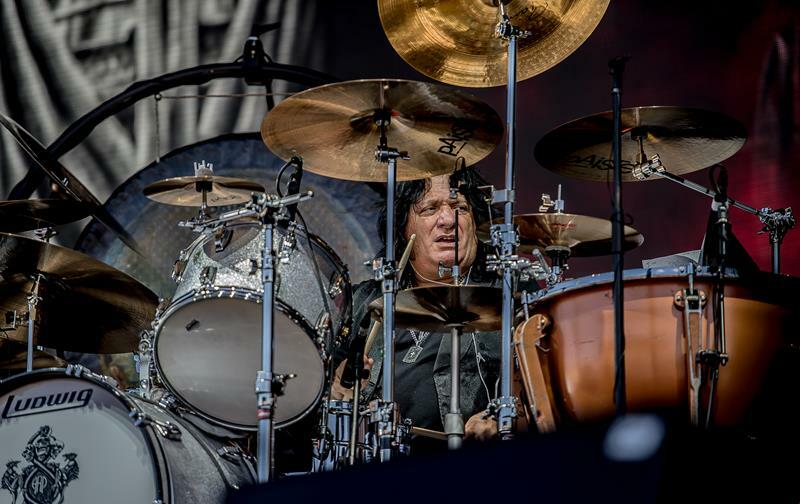 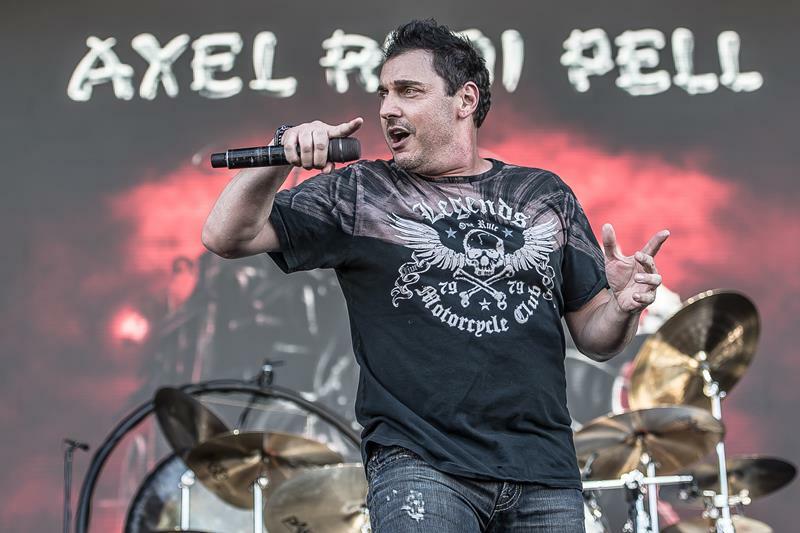 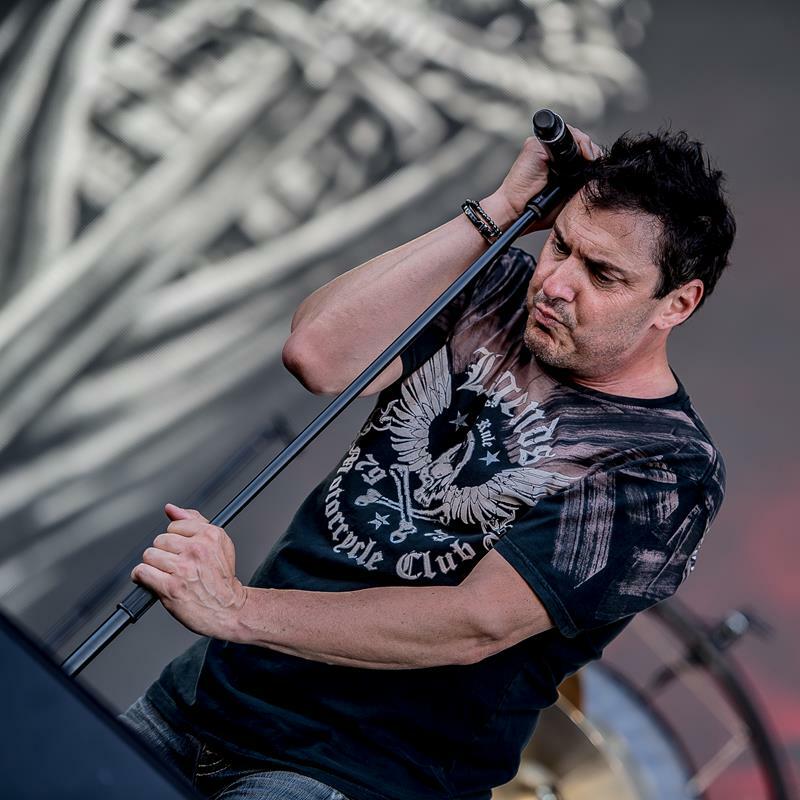 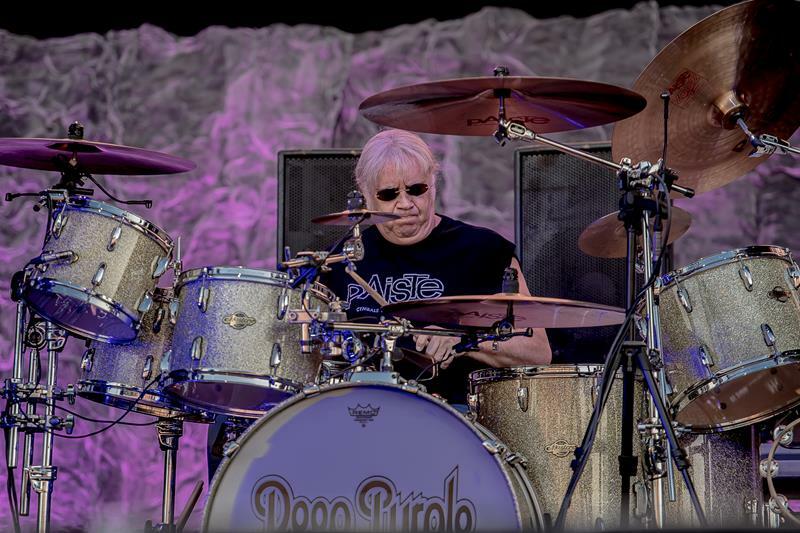 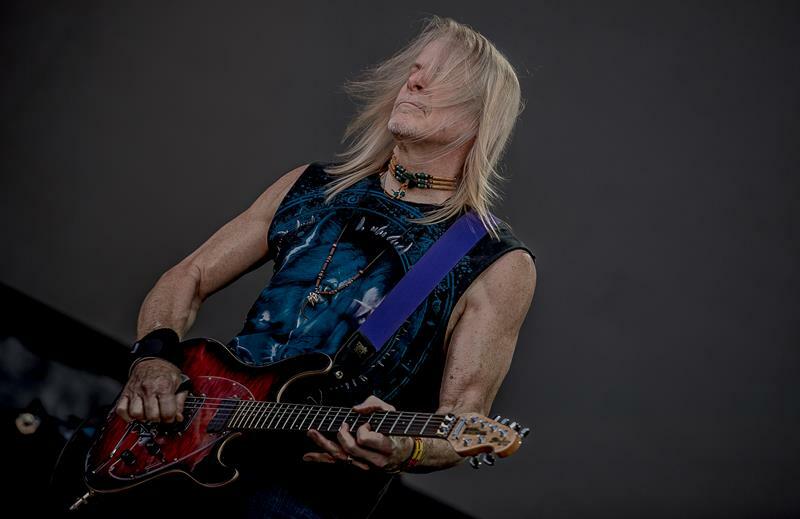 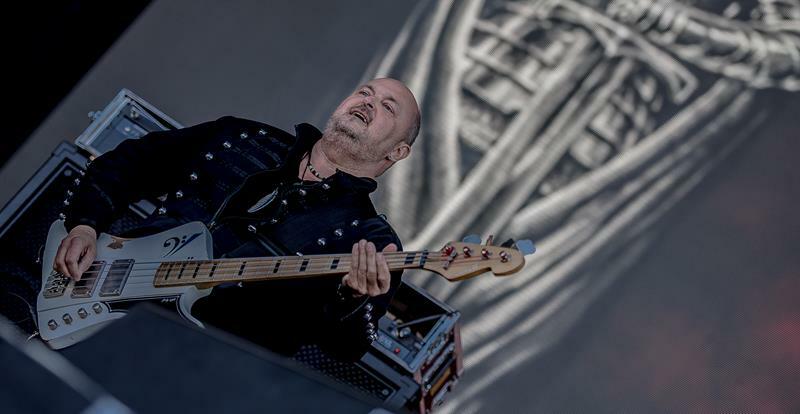 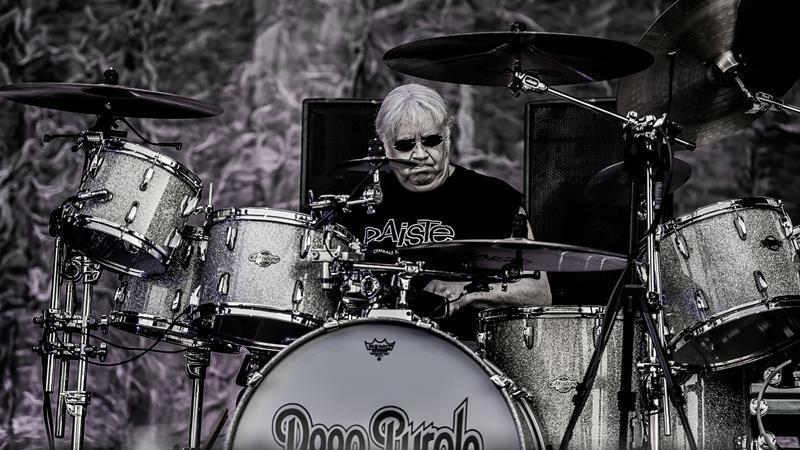 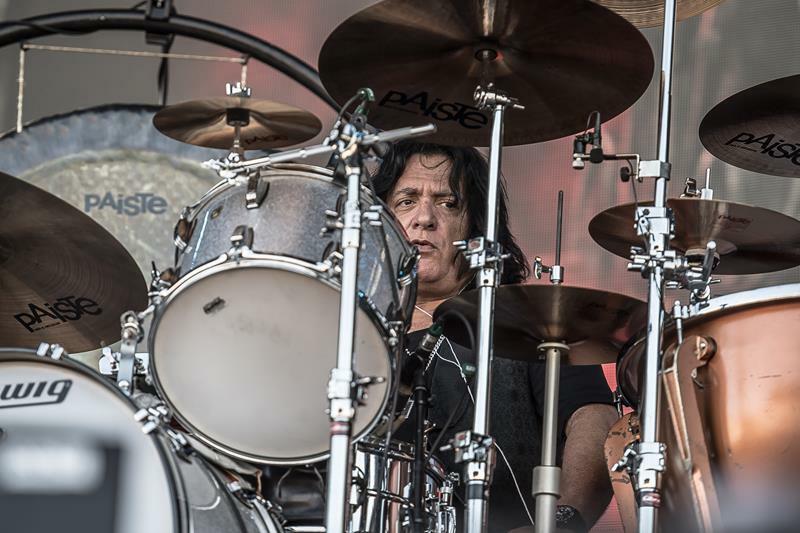 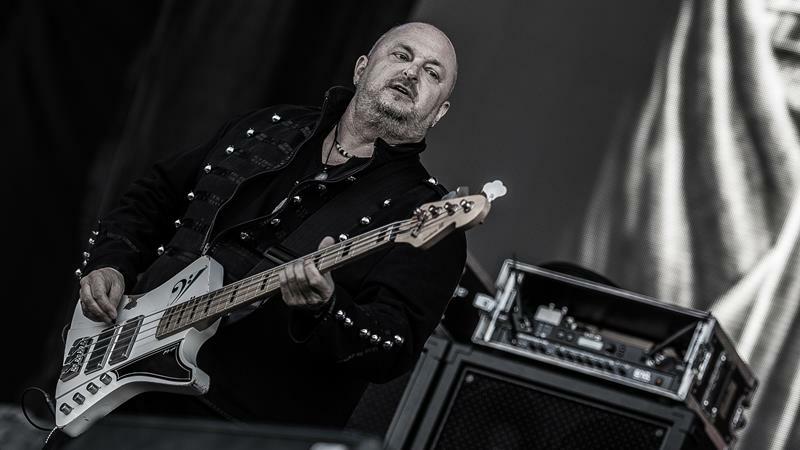 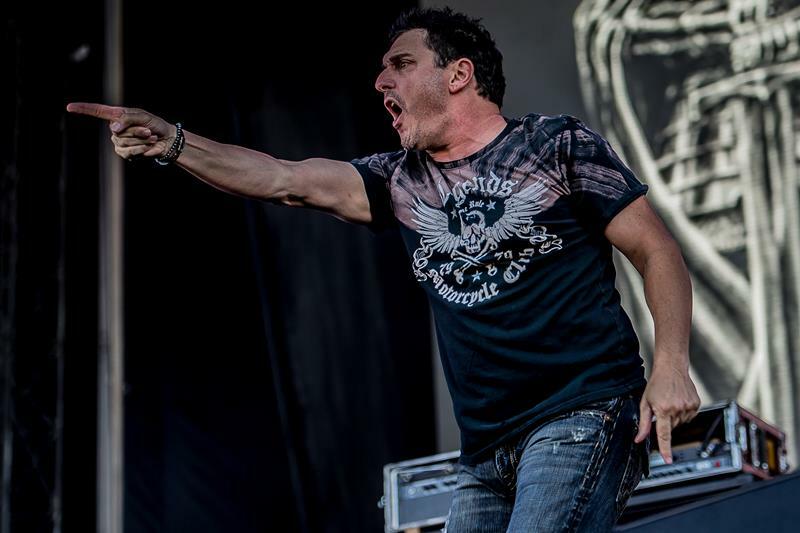 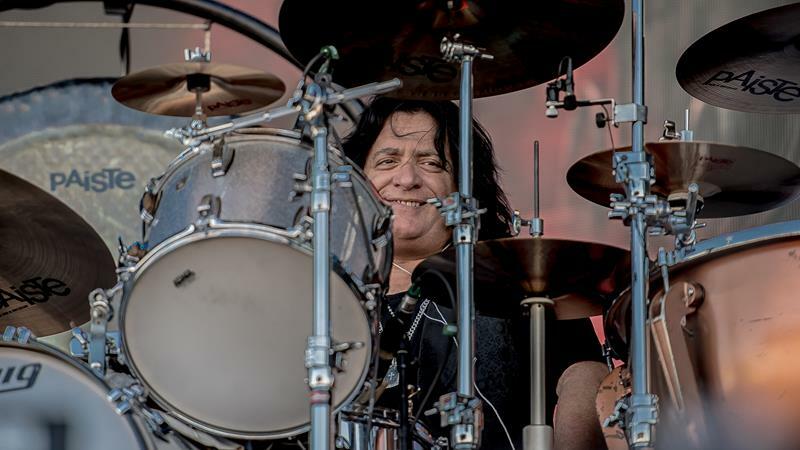 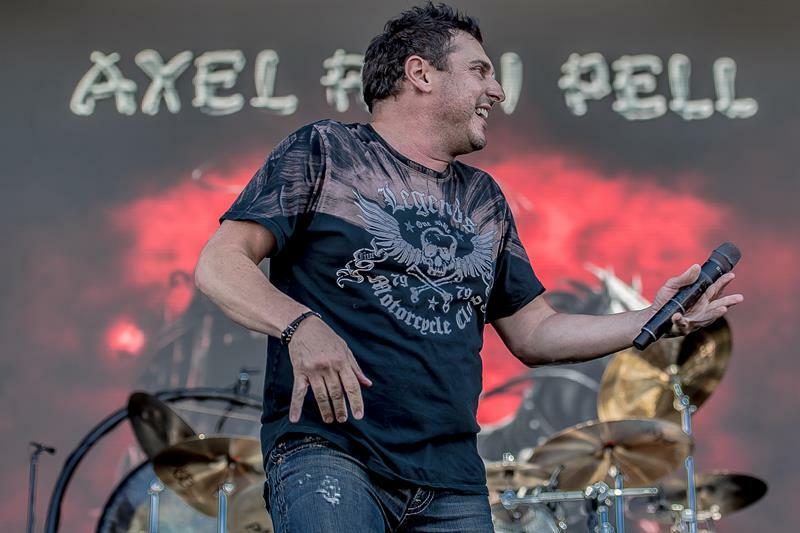 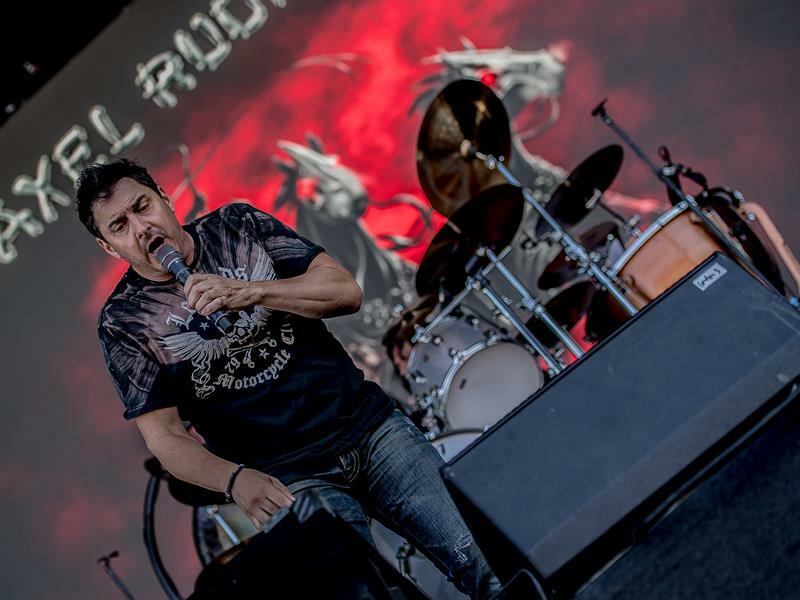 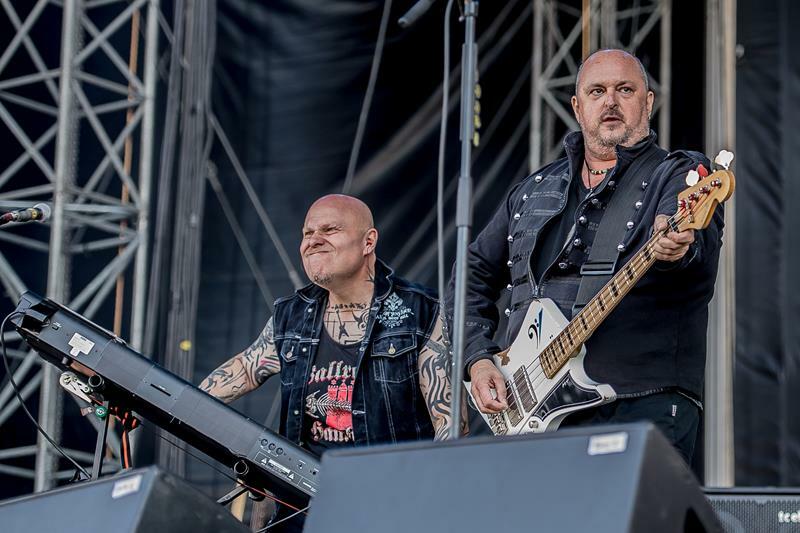 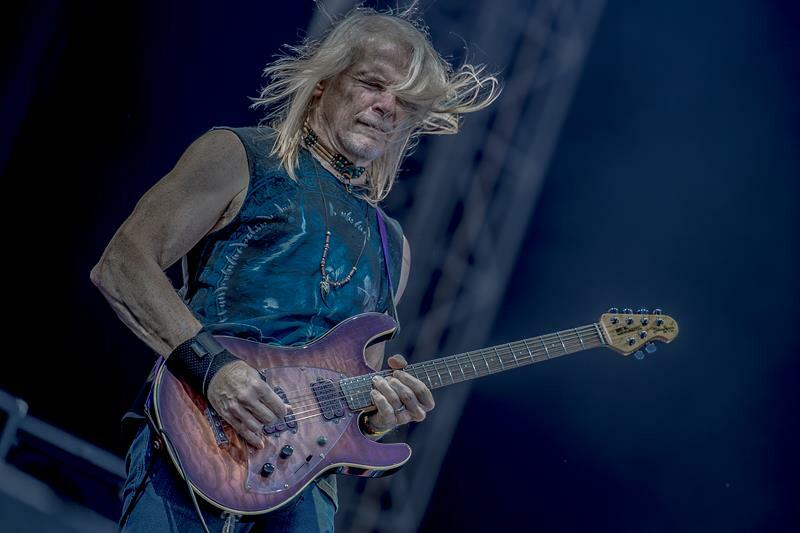 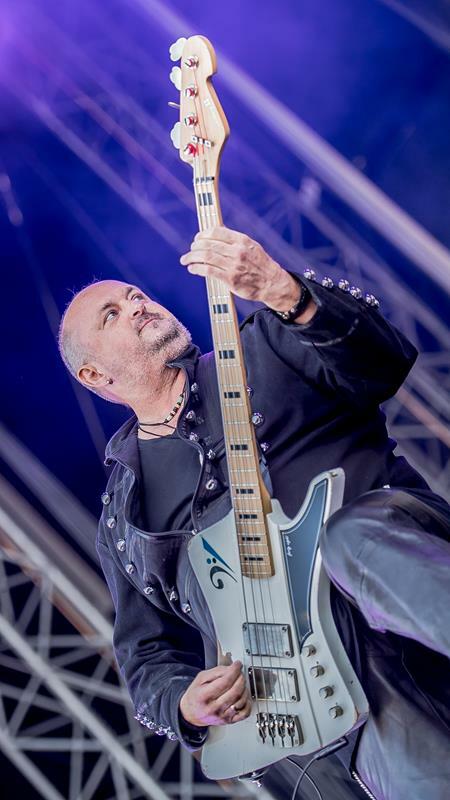 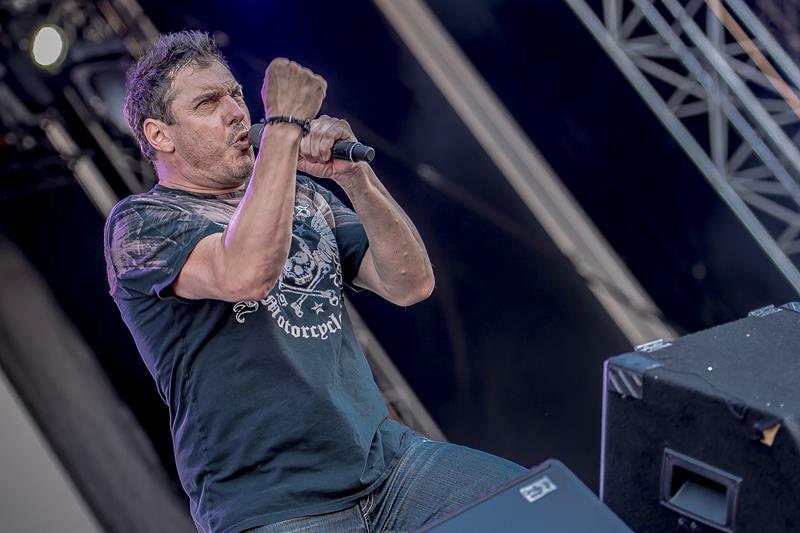 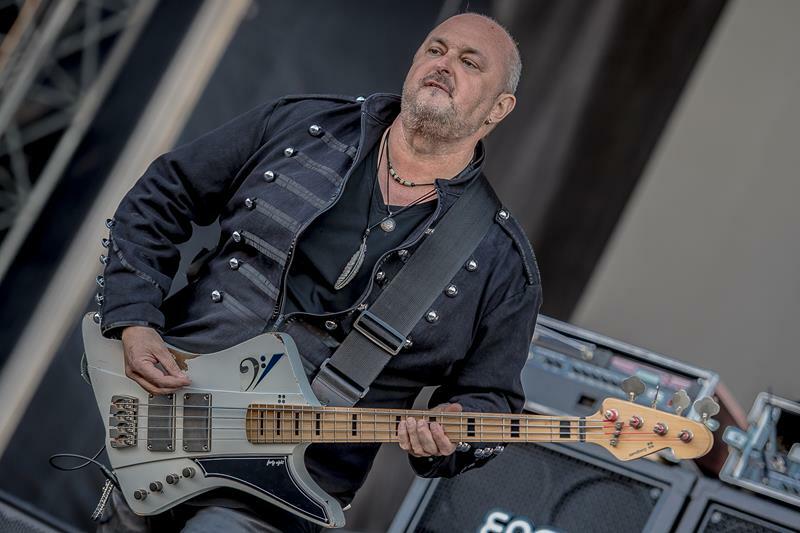 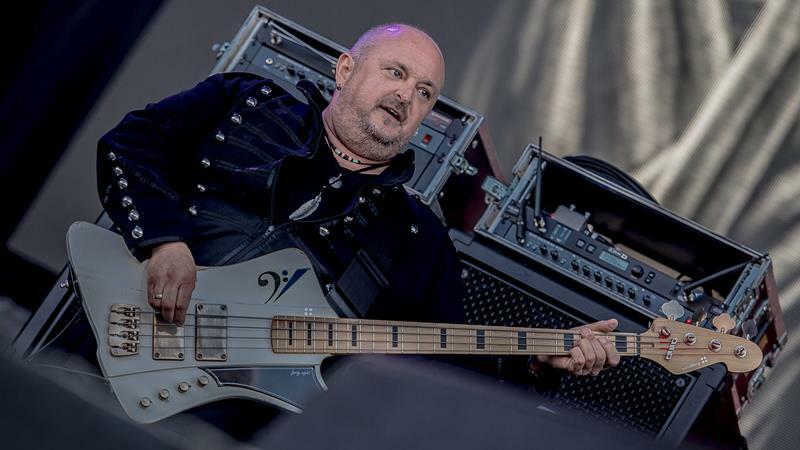 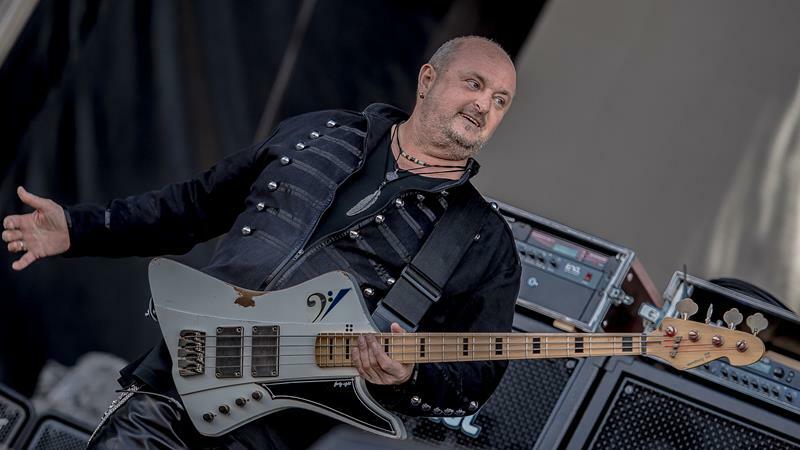 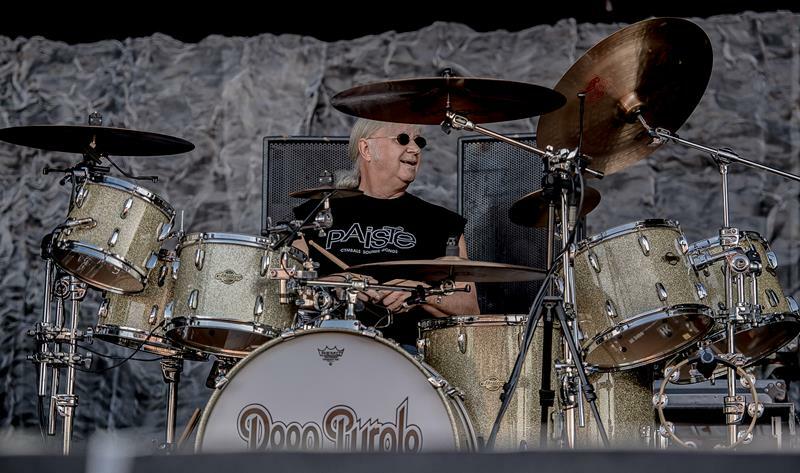 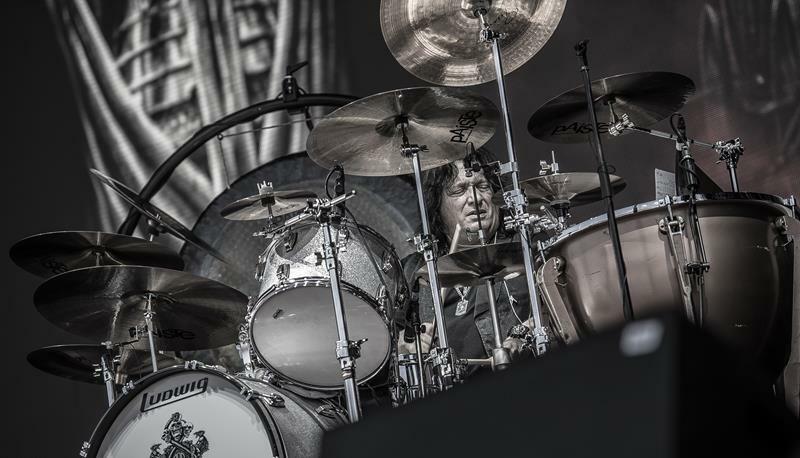 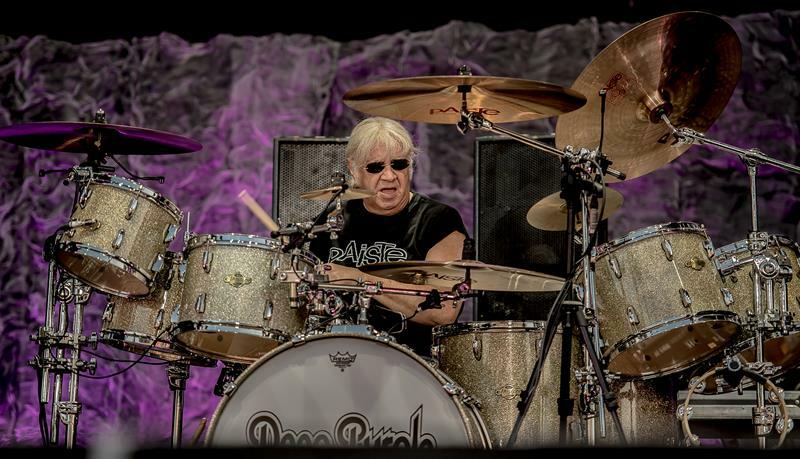 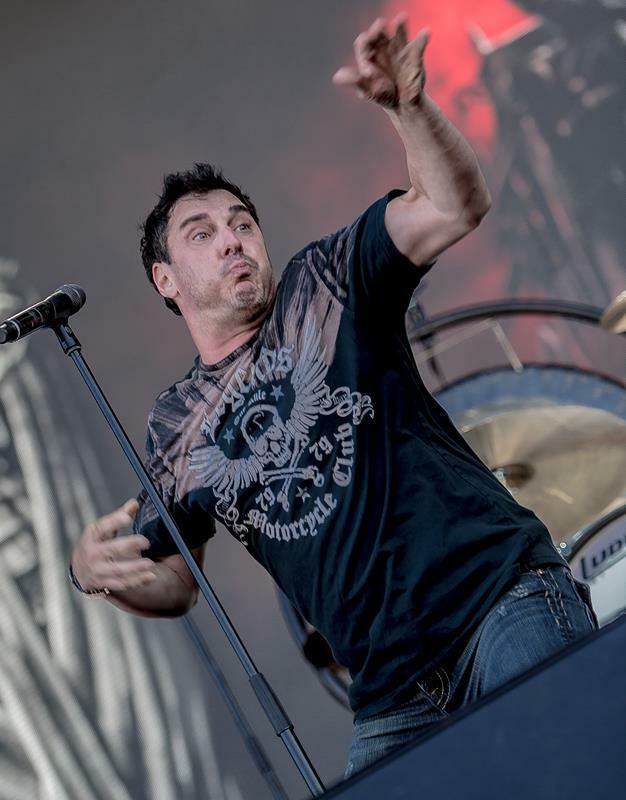 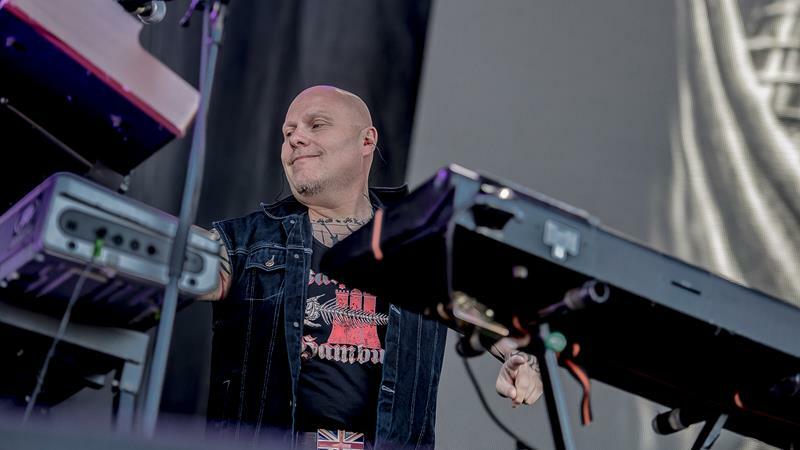 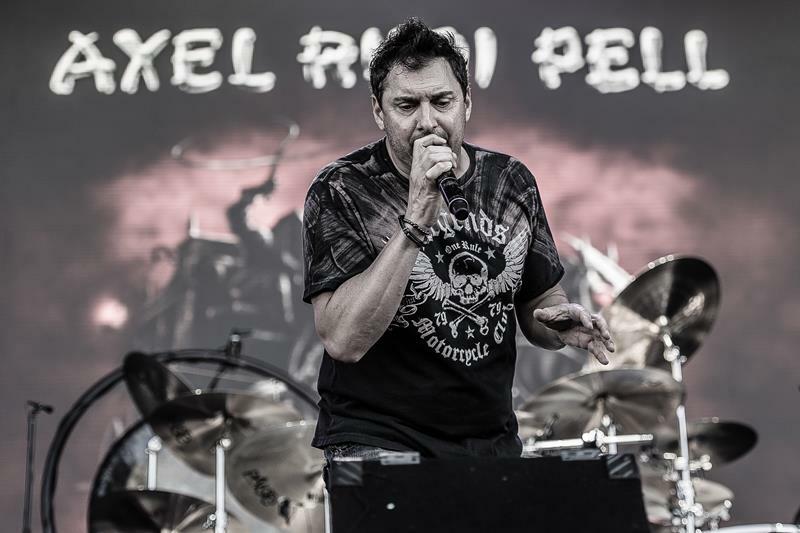 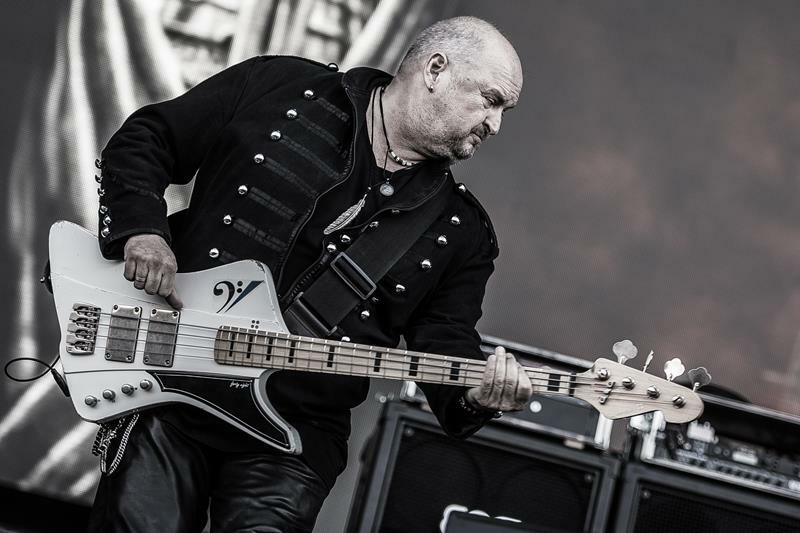 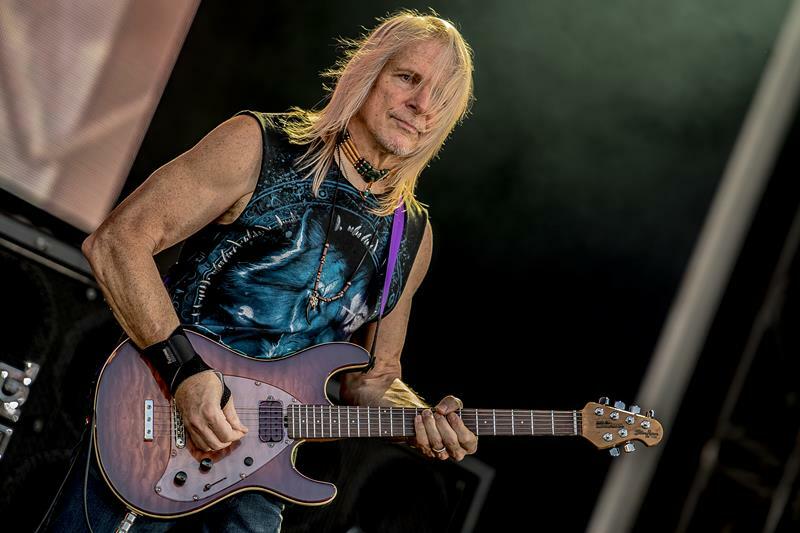 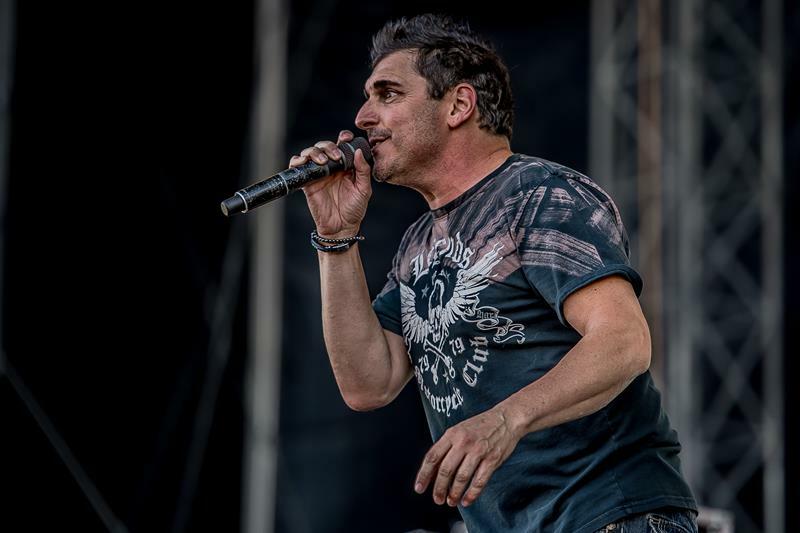 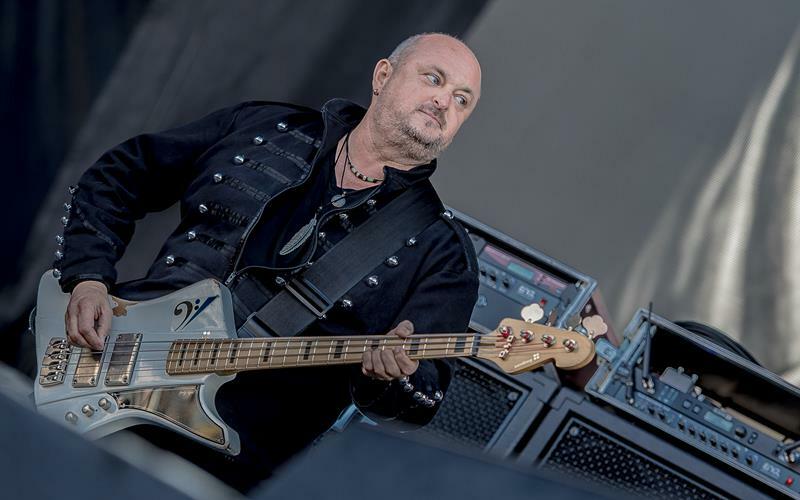 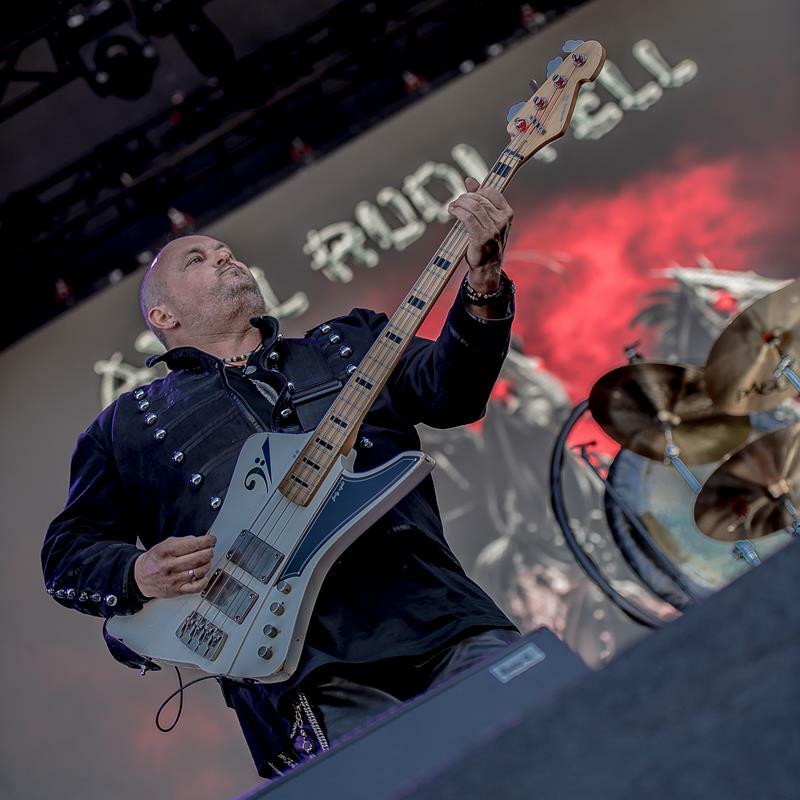 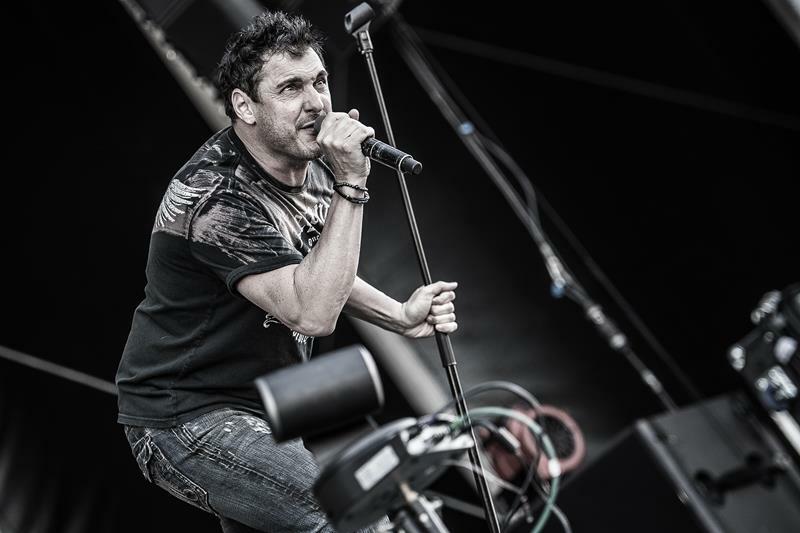 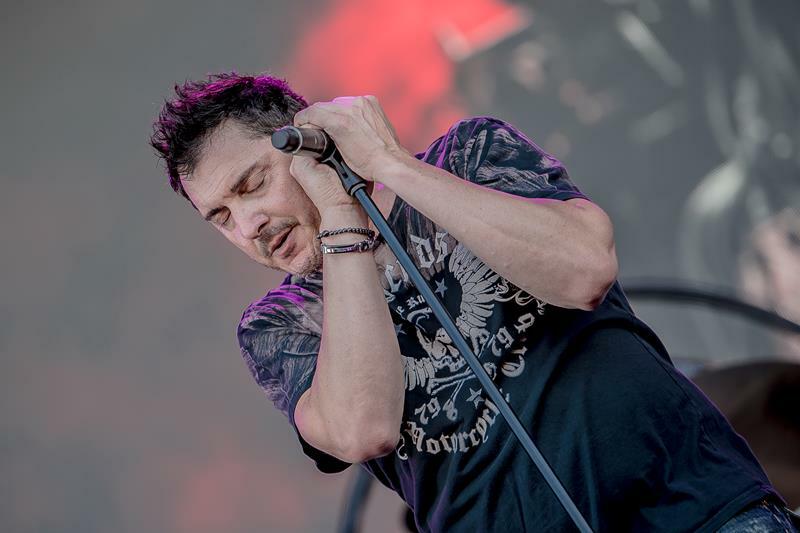 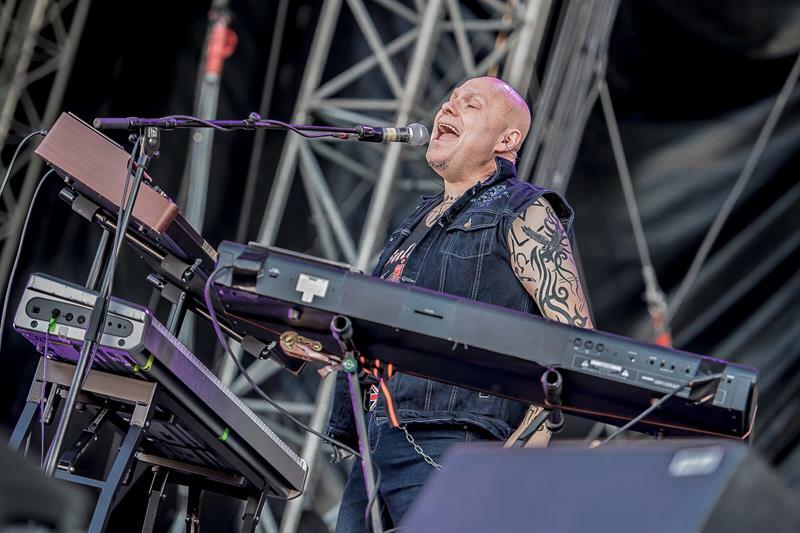 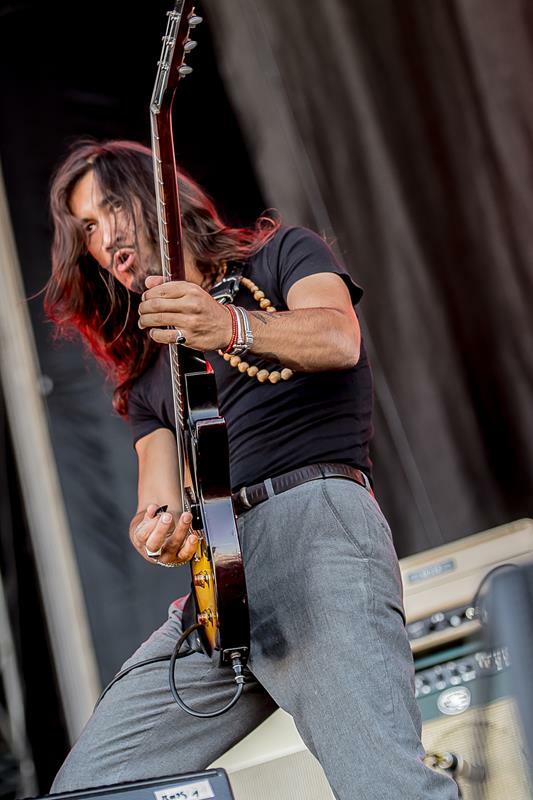 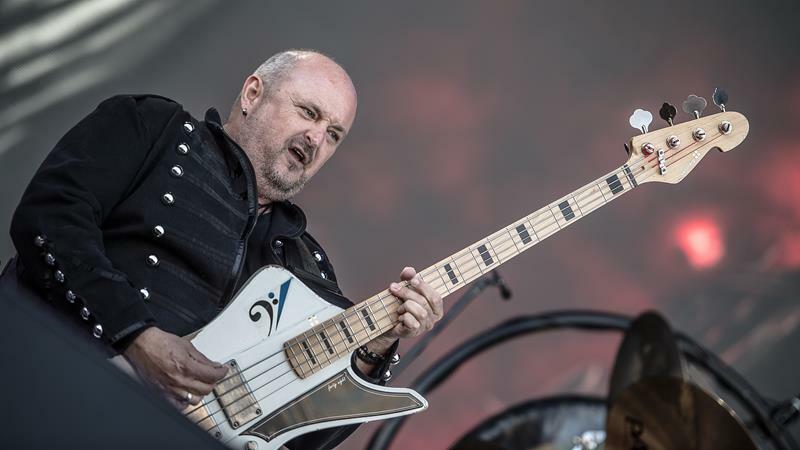 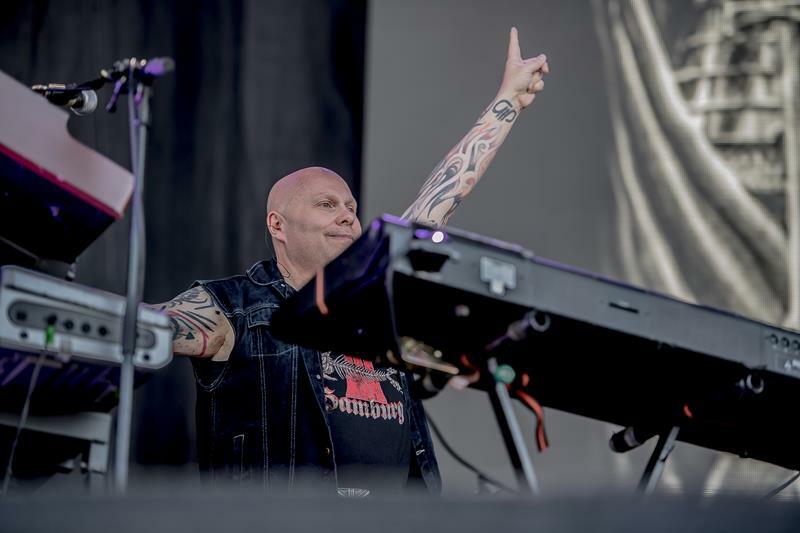 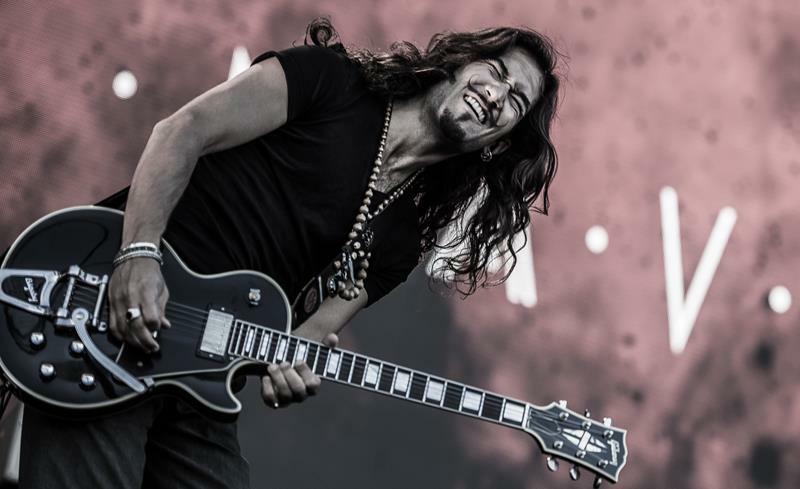 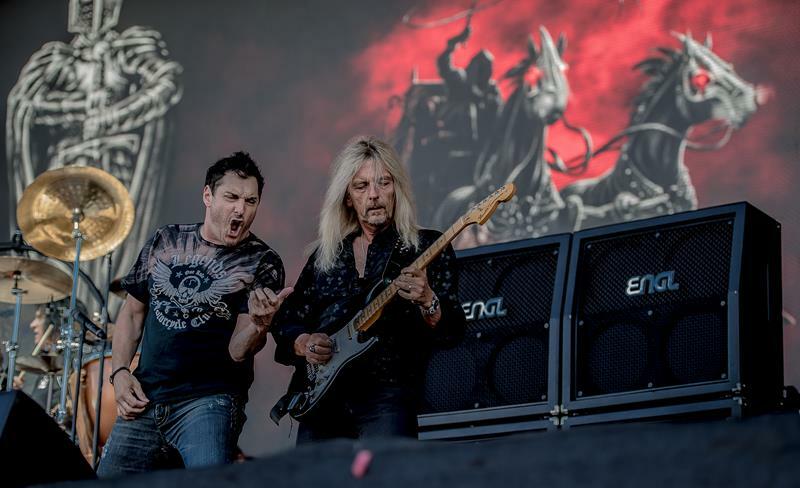 His band with Johnny Goelli (vocals) and the ex-RAINBOW drummer Bobby Rondinelli came out with a new album in March 2018, called ‘Knights Call’, and their music style fits very well to the grooving Rock of DEEP PURPLE. 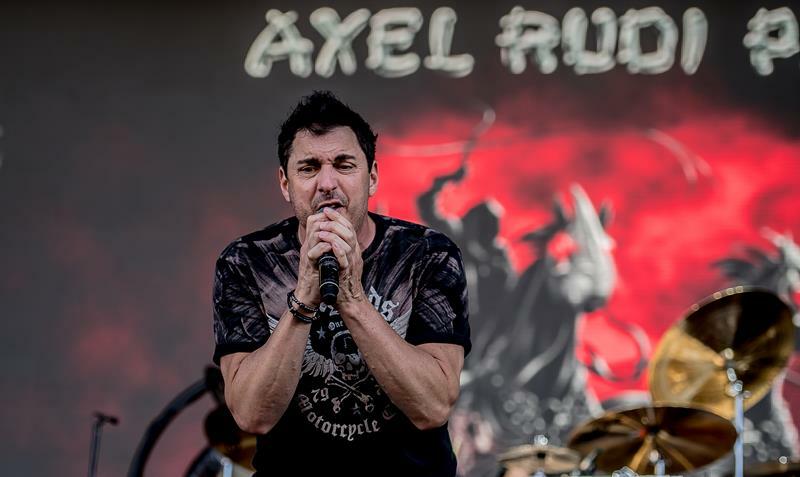 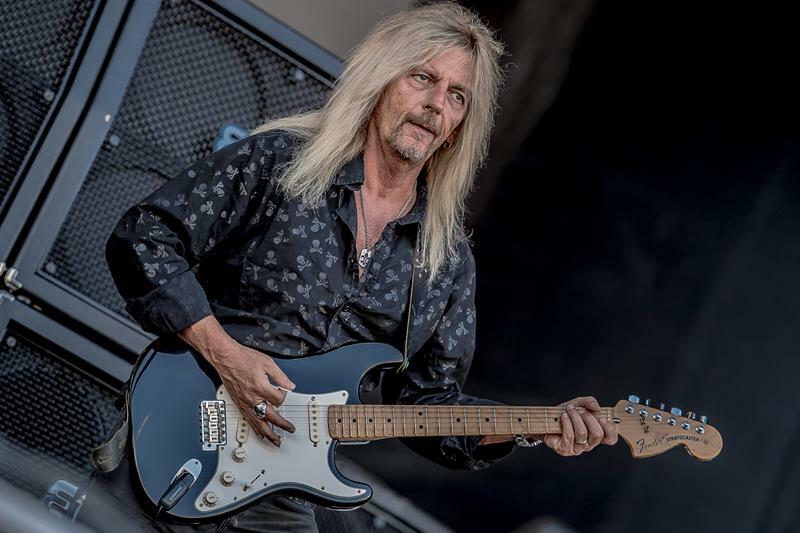 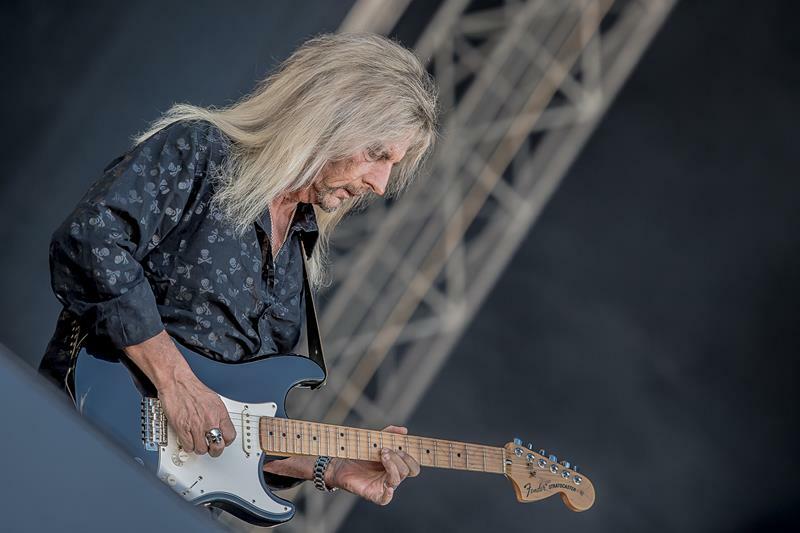 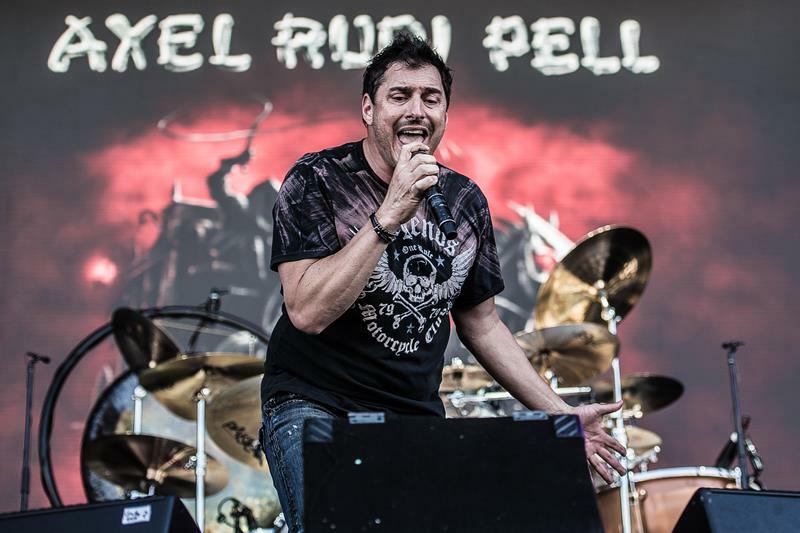 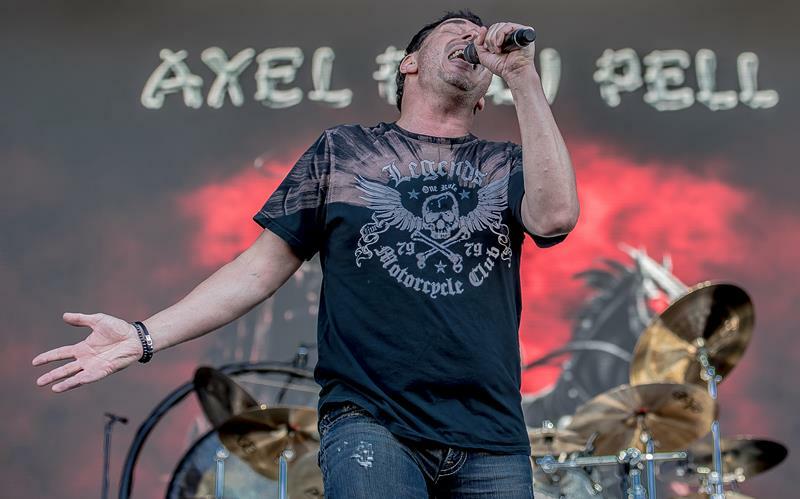 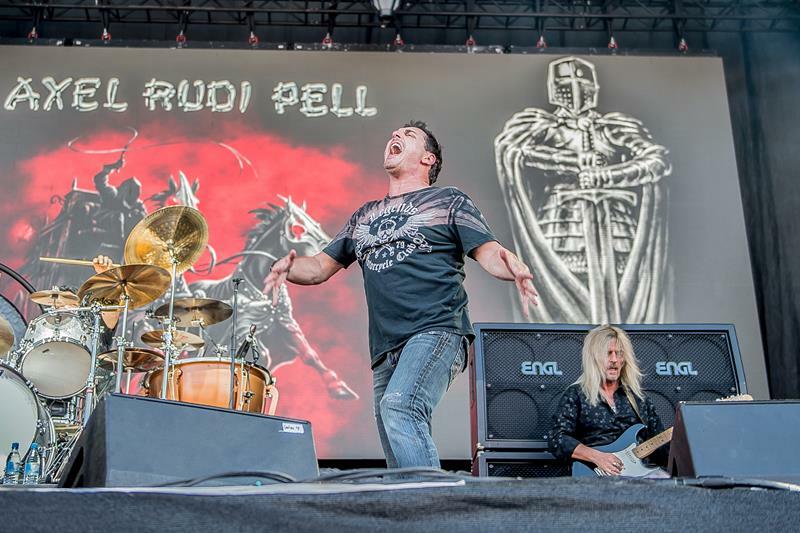 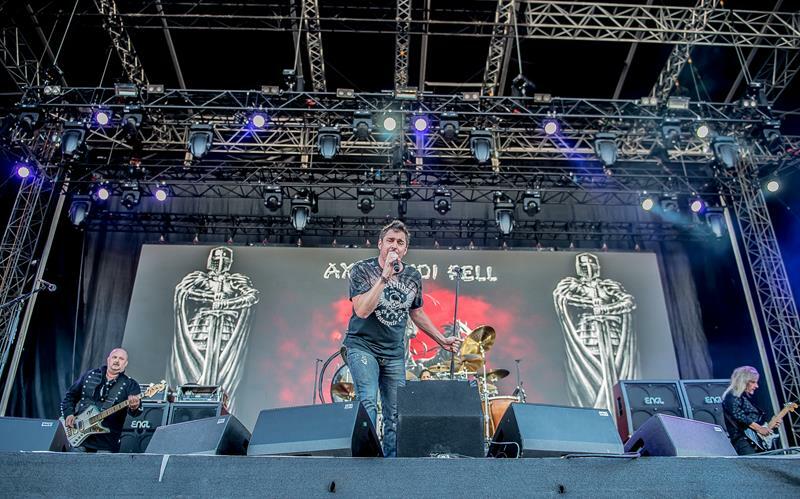 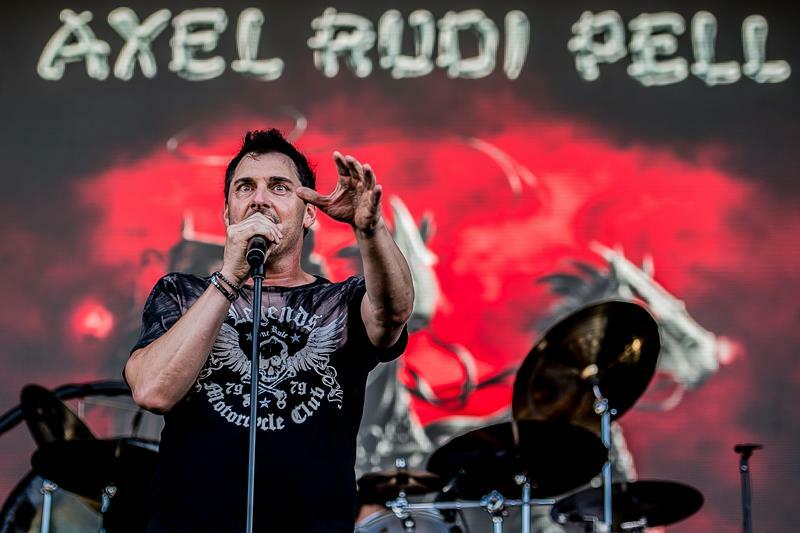 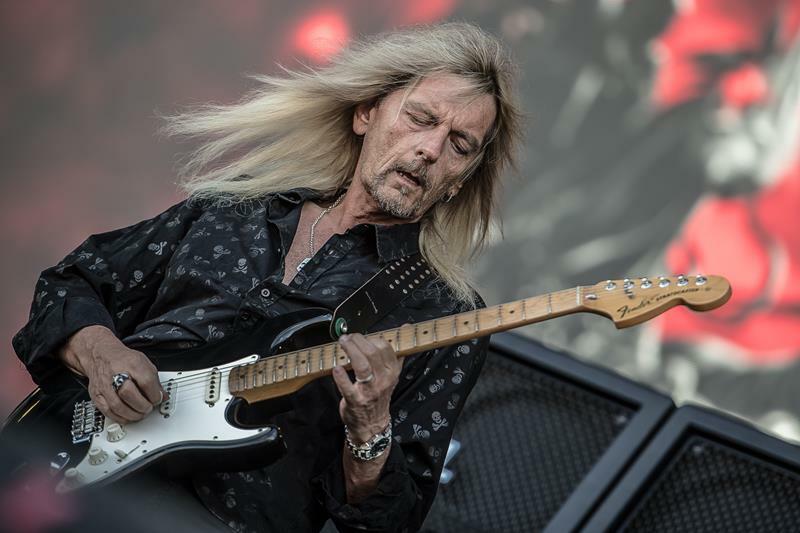 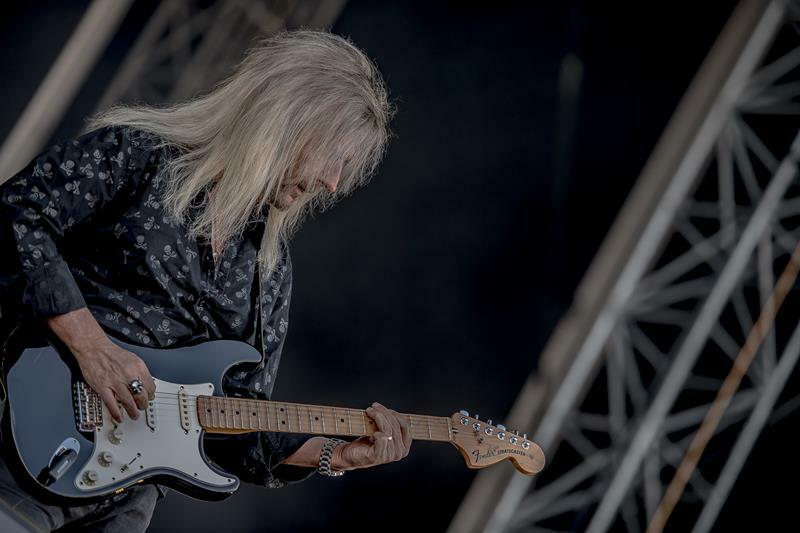 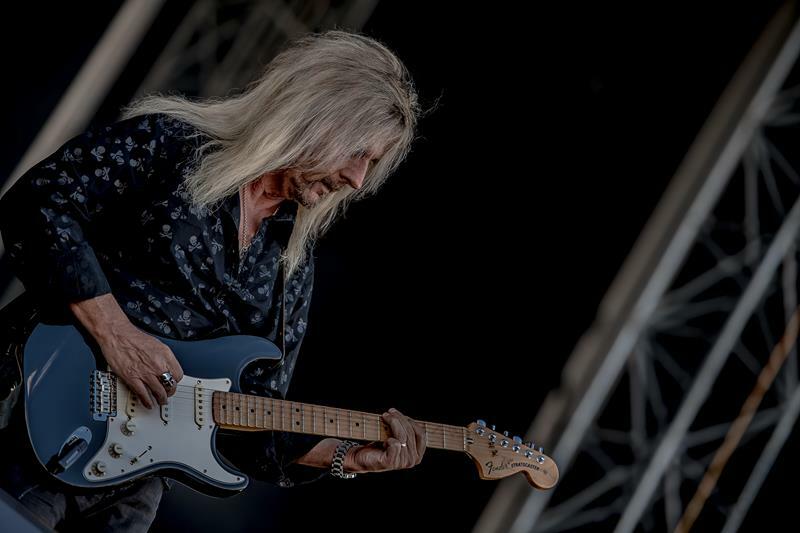 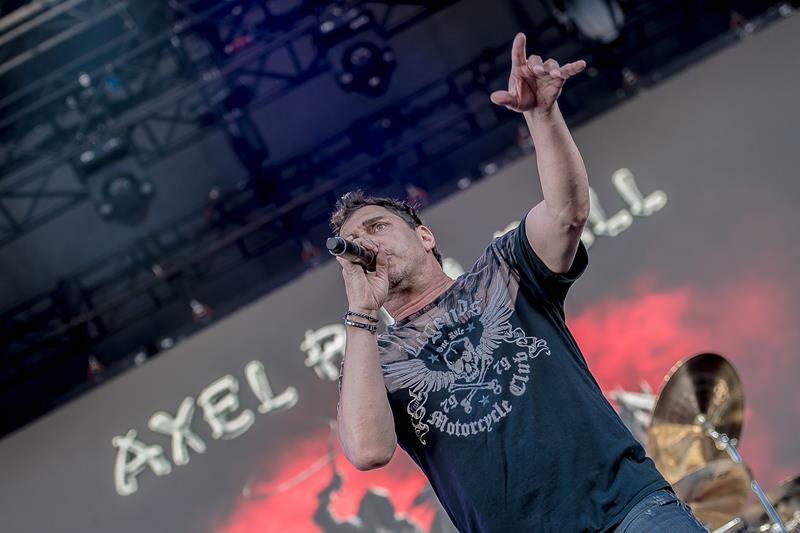 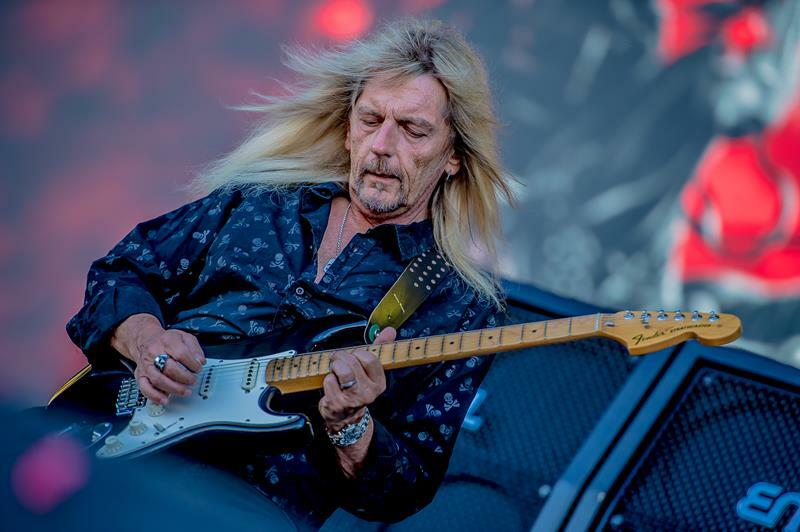 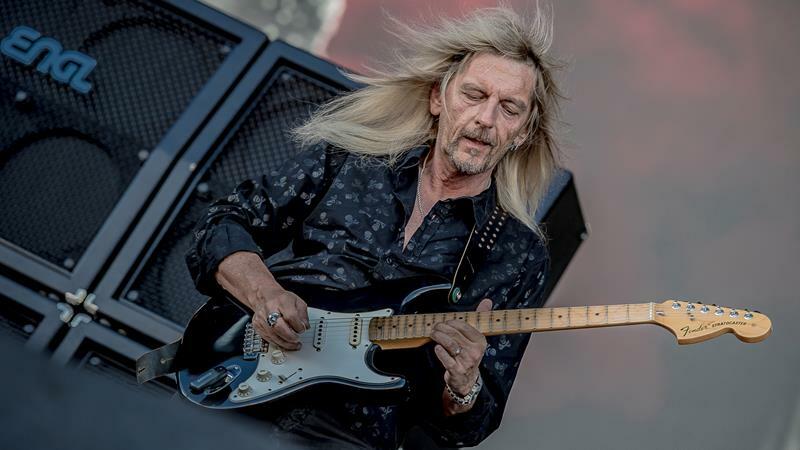 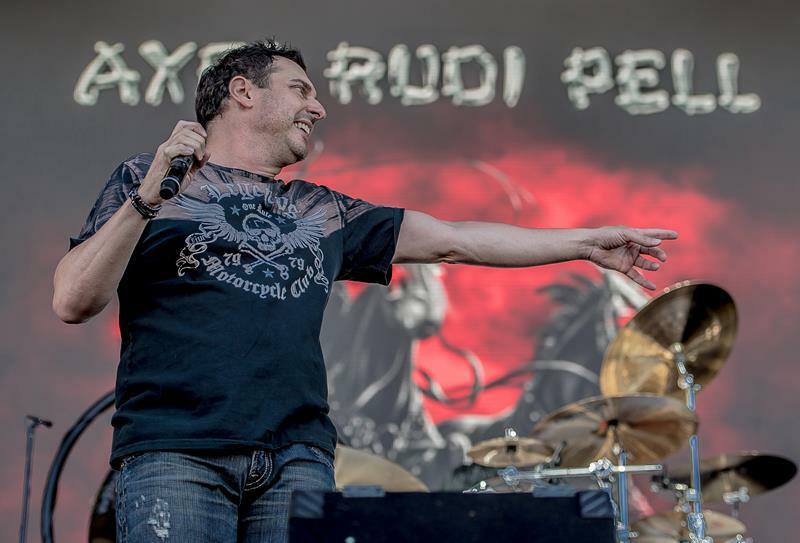 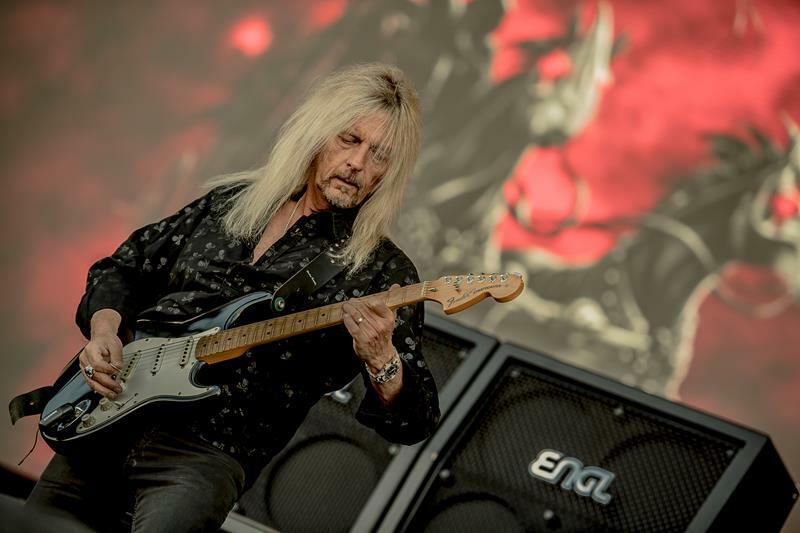 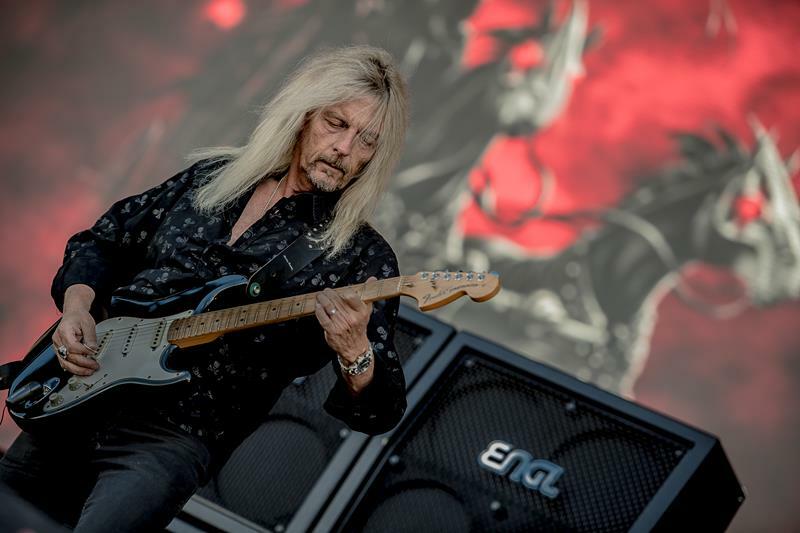 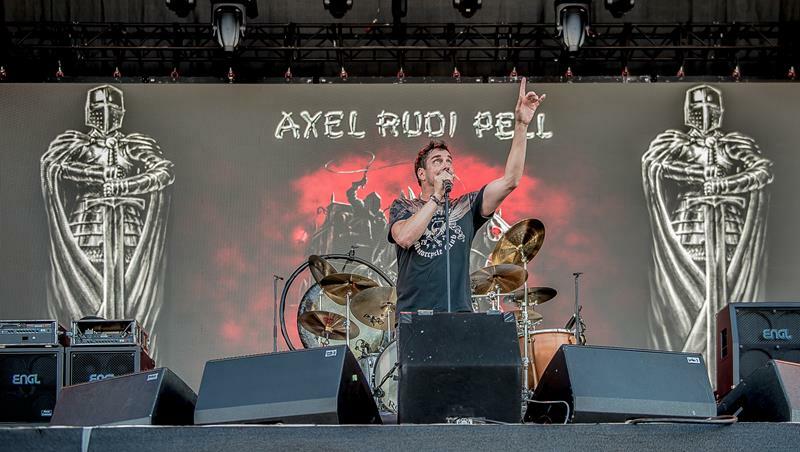 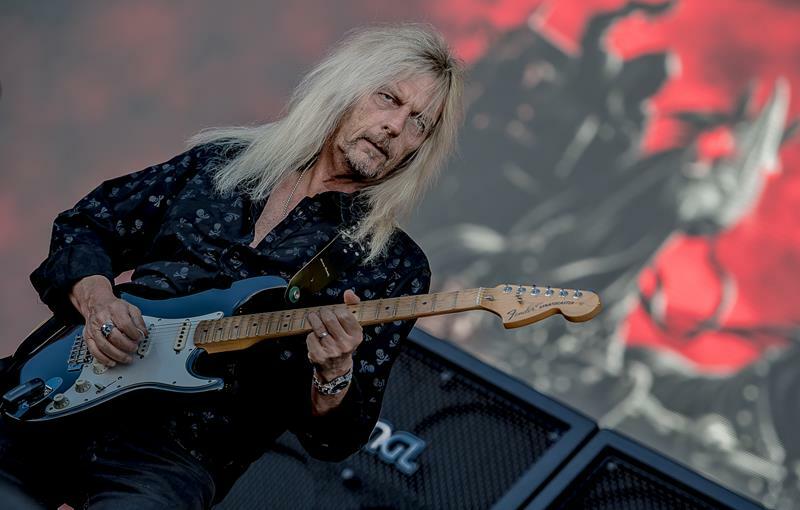 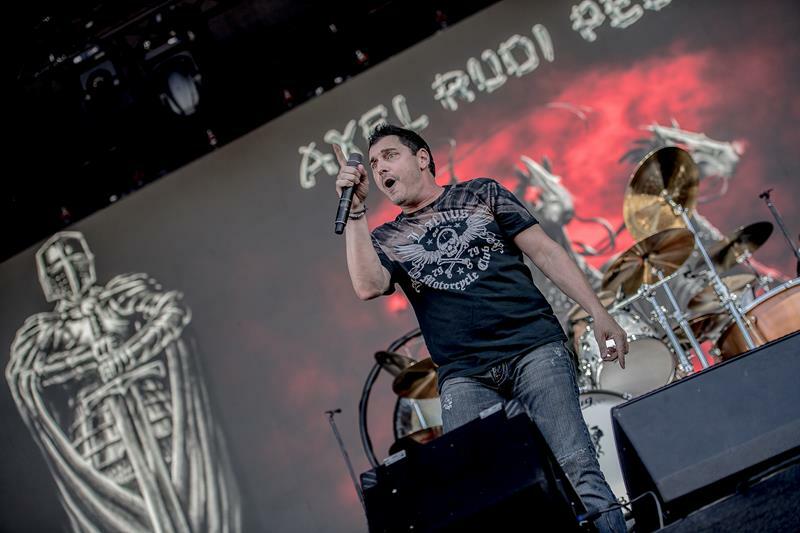 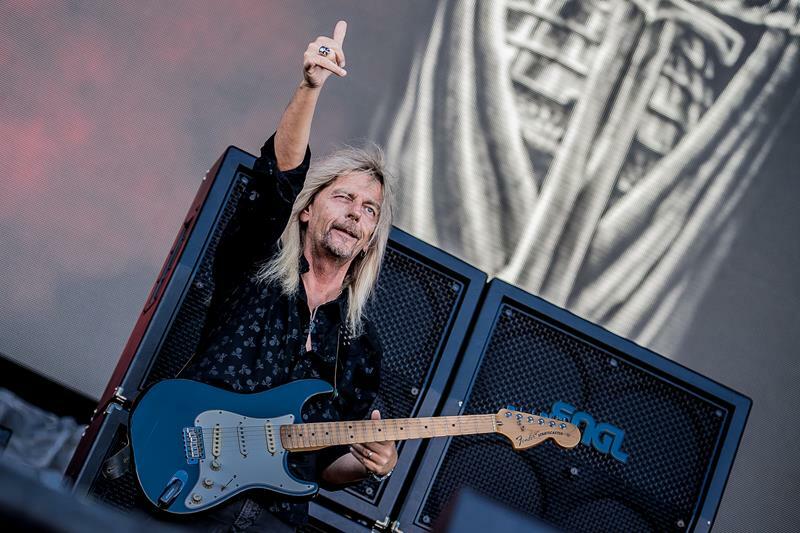 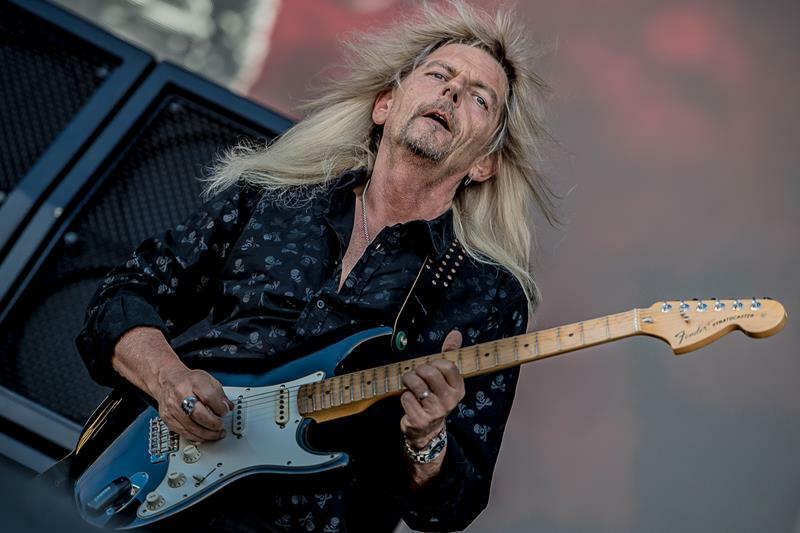 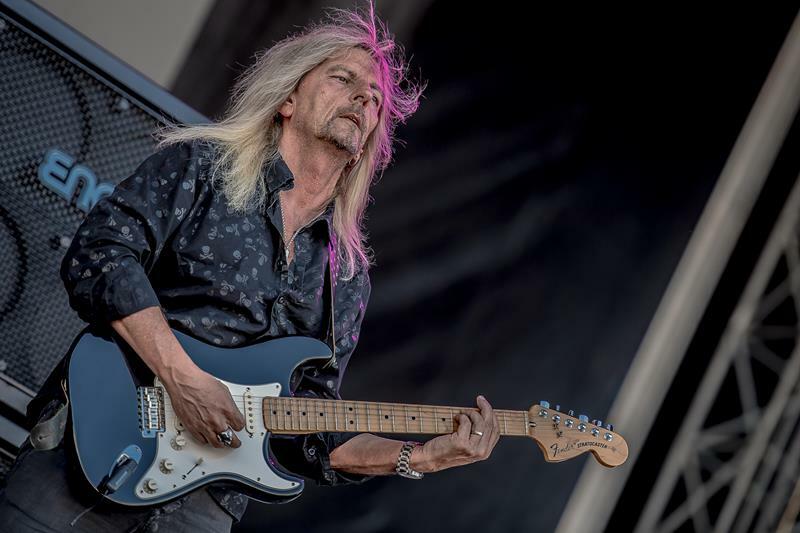 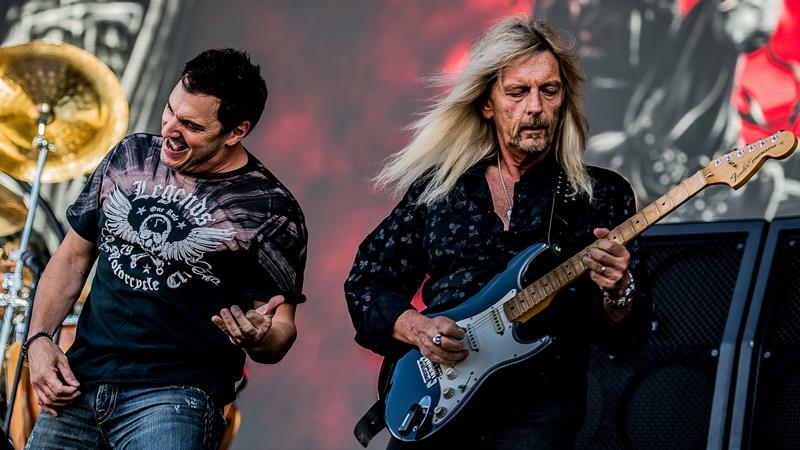 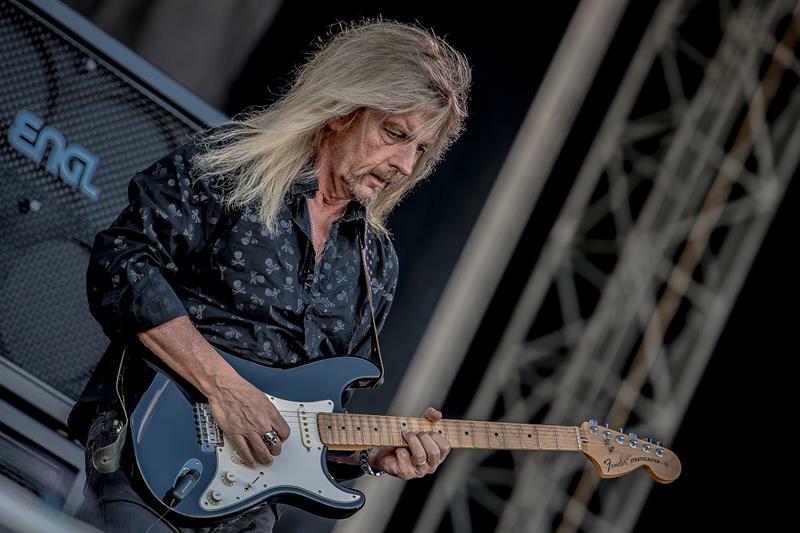 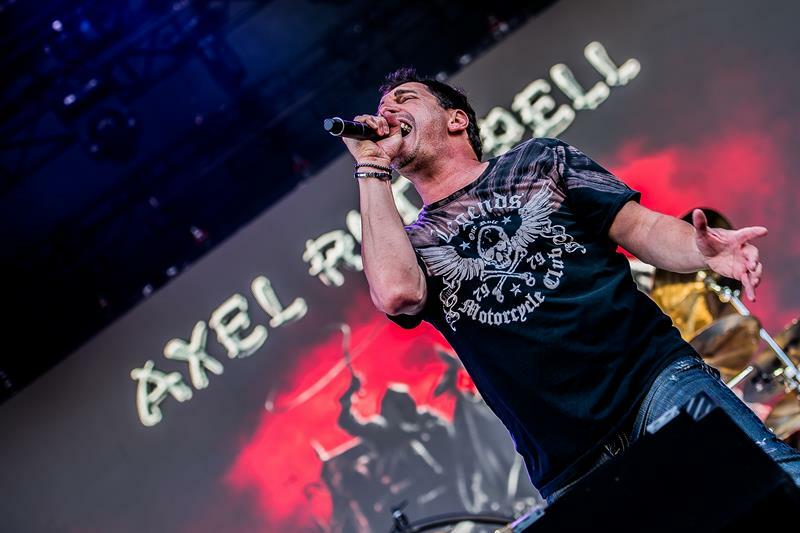 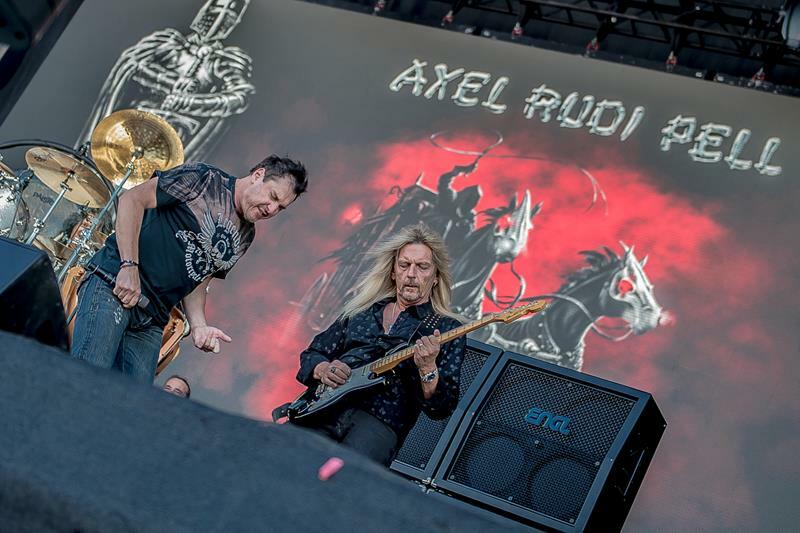 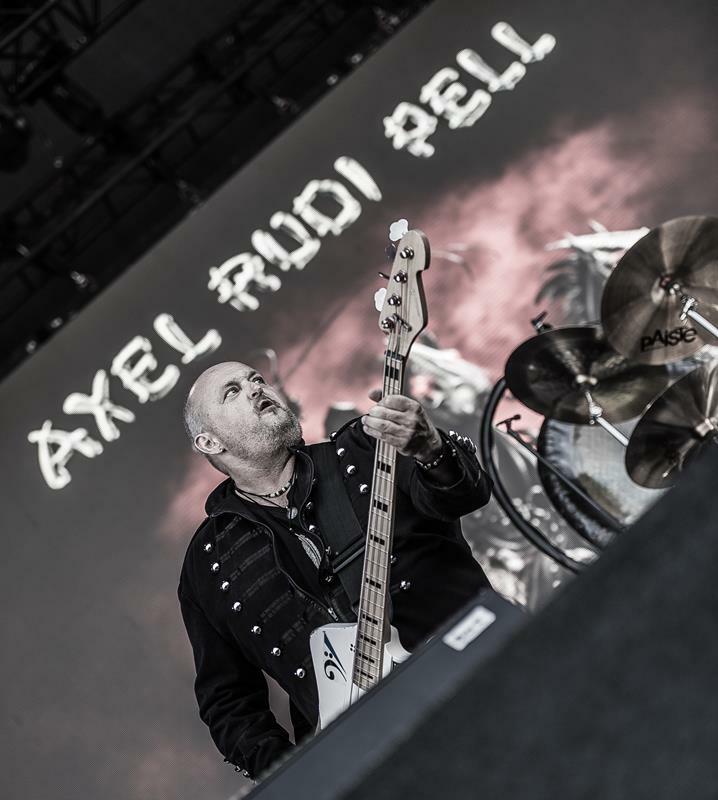 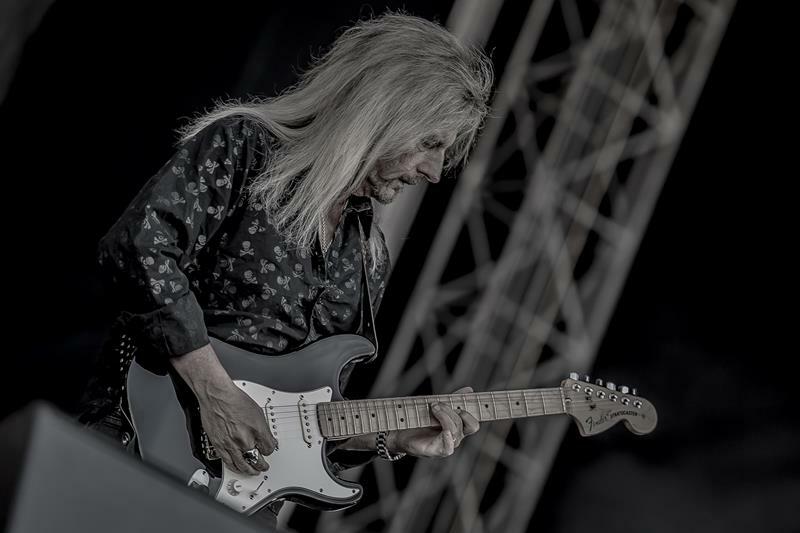 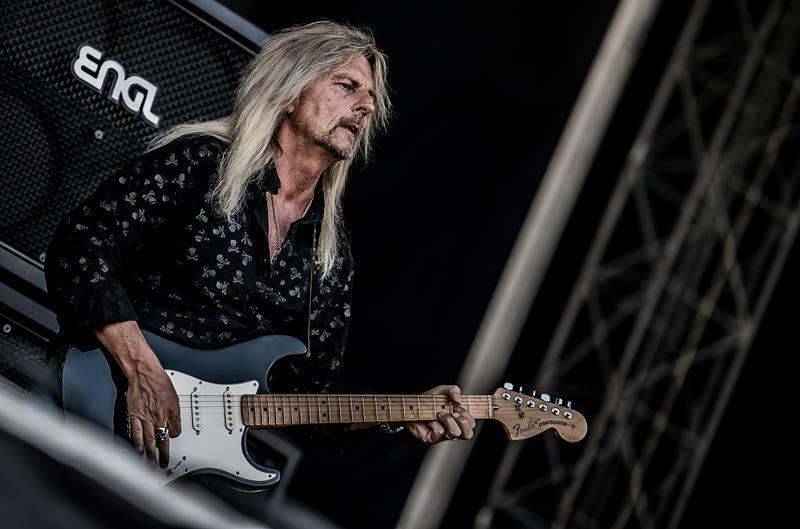 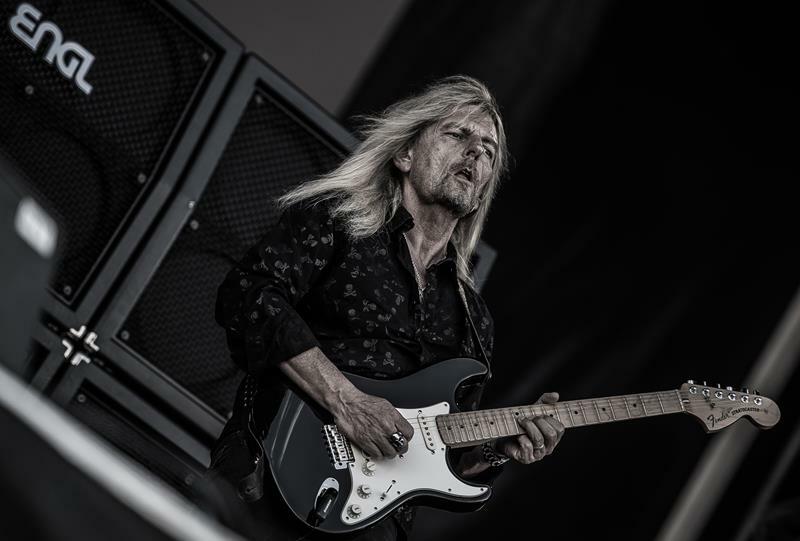 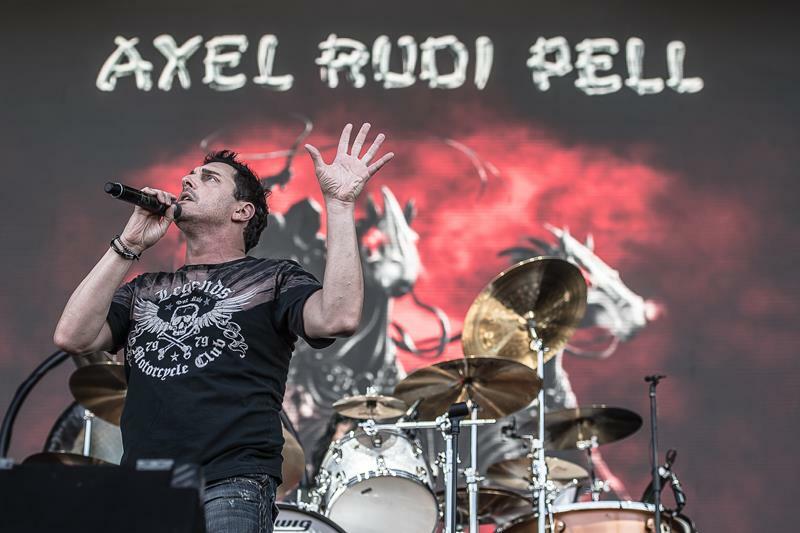 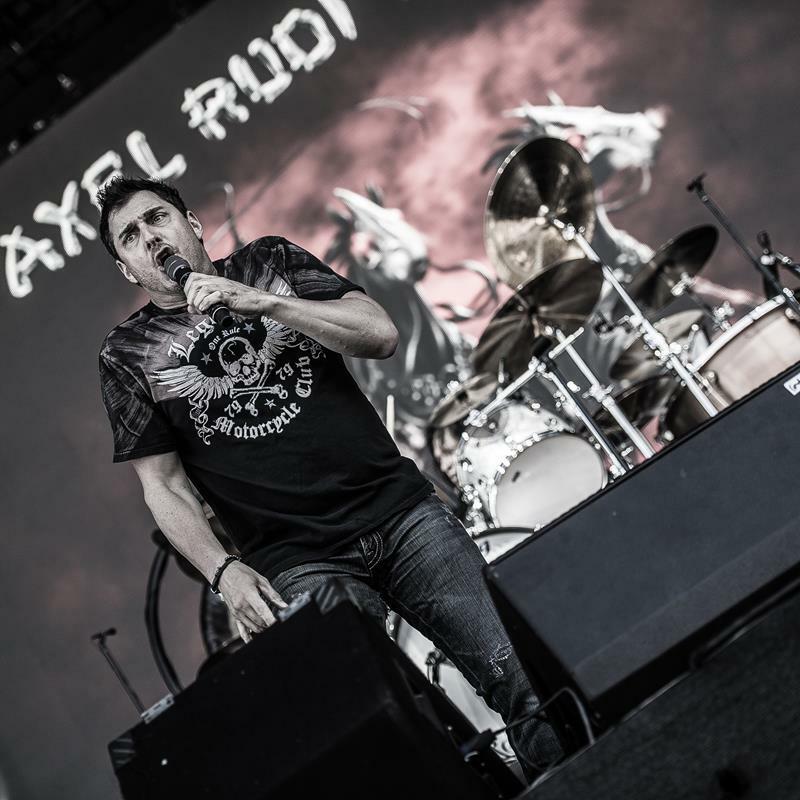 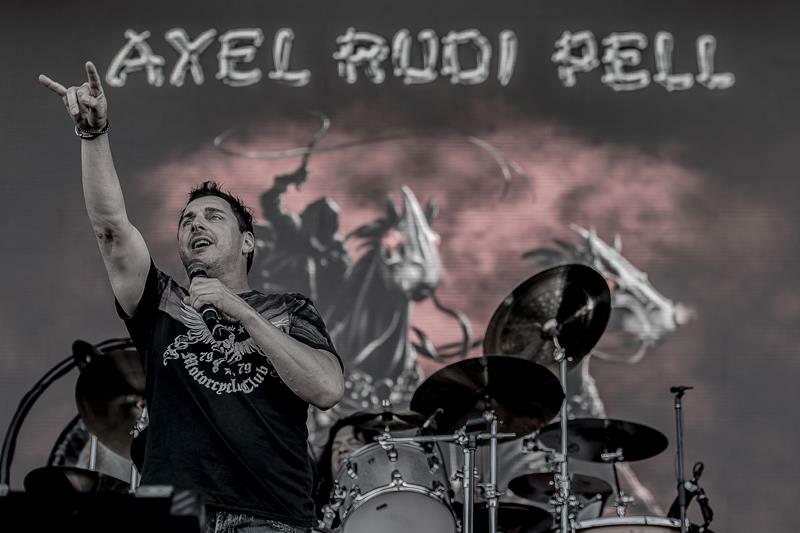 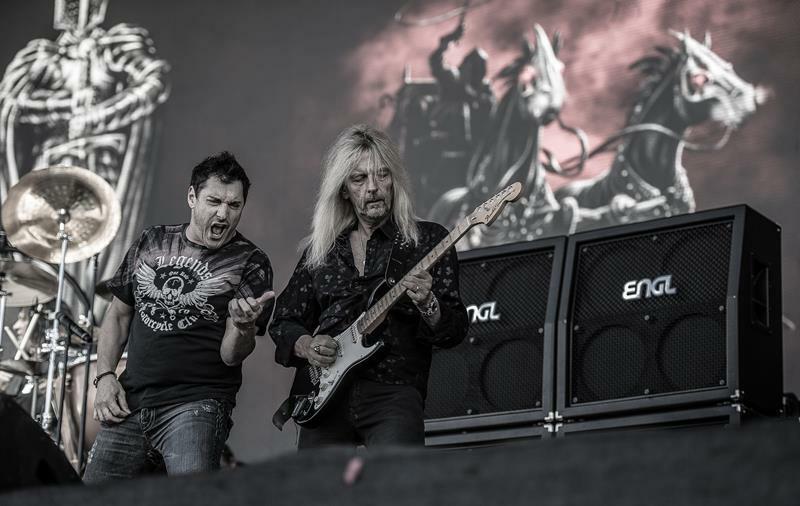 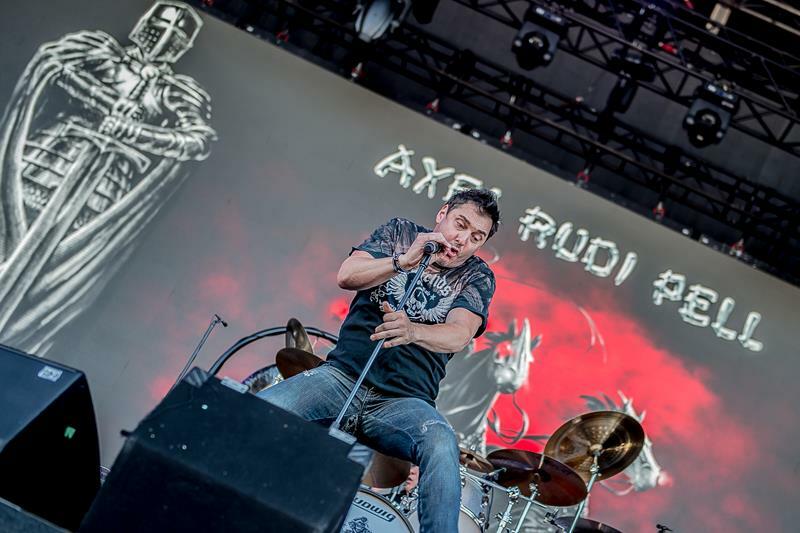 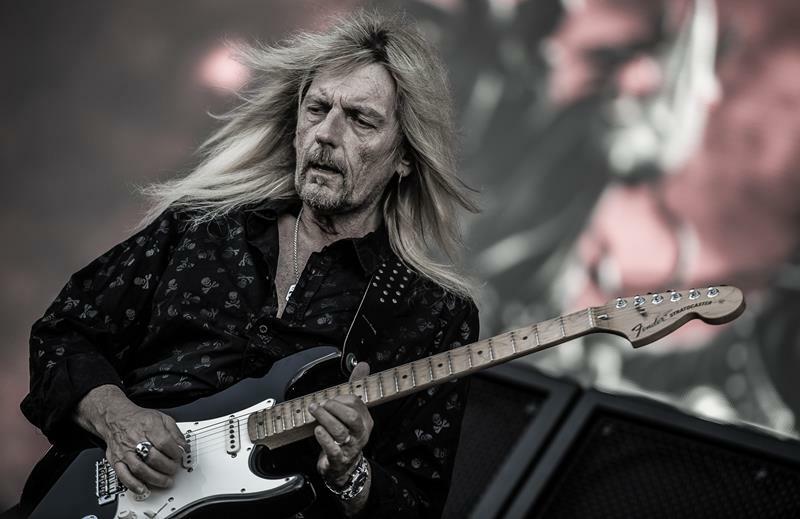 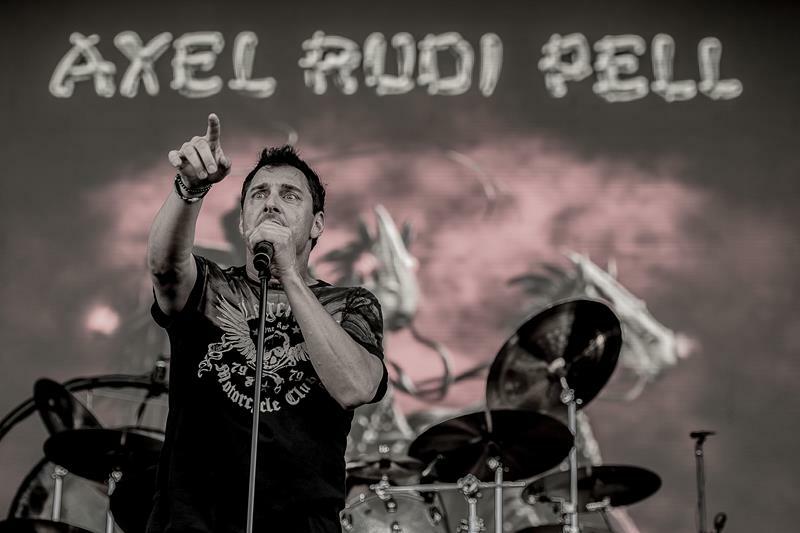 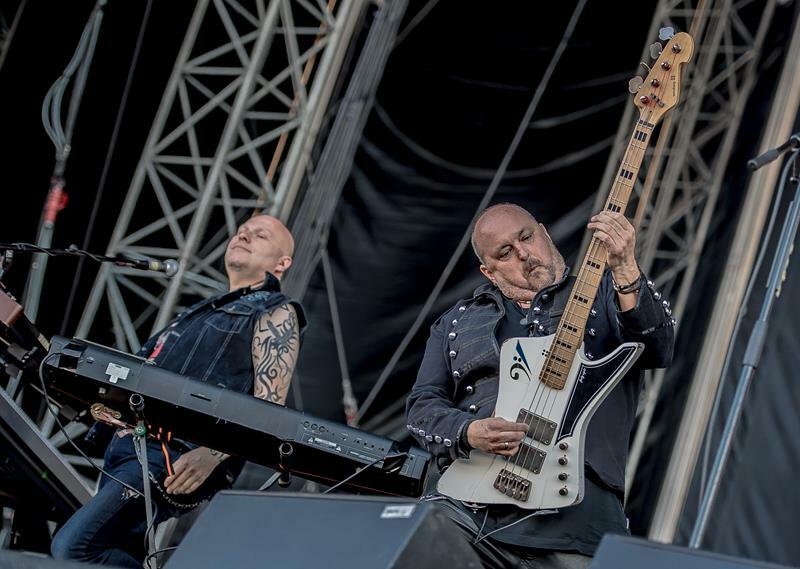 AXEL RUDI PELL started at 18:30 pm and the acceptance of their melodic tunes by the audience was much better.